It's Sunday today and it is the only day of the week where I get to wake after the sun has risen. 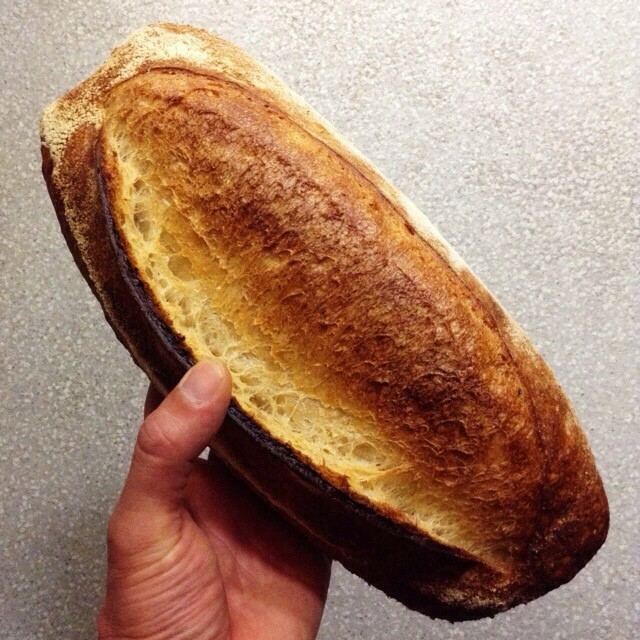 All other days I am up at 2:45am and loading sourdough into the oven 40mins later. I love the rhythm of this profession. I am keenly aware of the seasons and from the moment I wake I am thinking ahead of not only the day but also the week ahead. It is wonderful to be working and have so much satisfaction in the joy of creation. 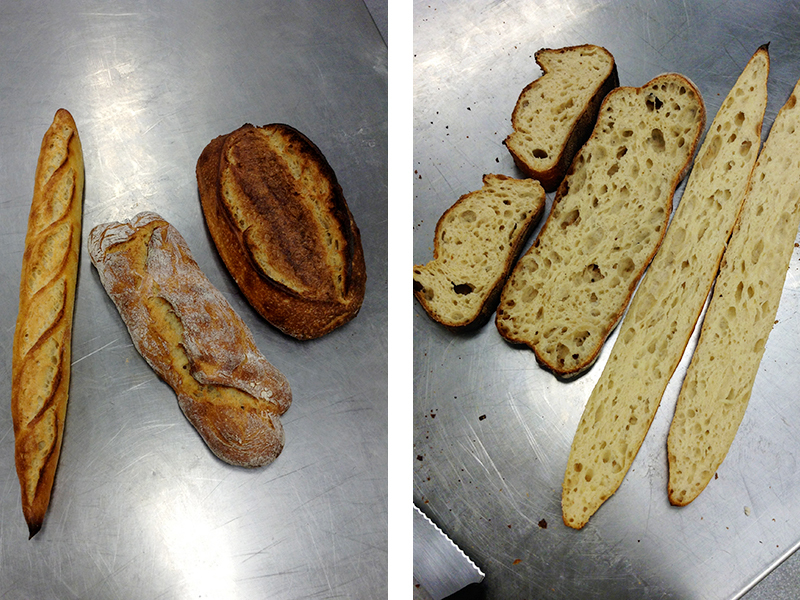 I am always working hard on finding improvements in the bread and efficiencies in my workflow. 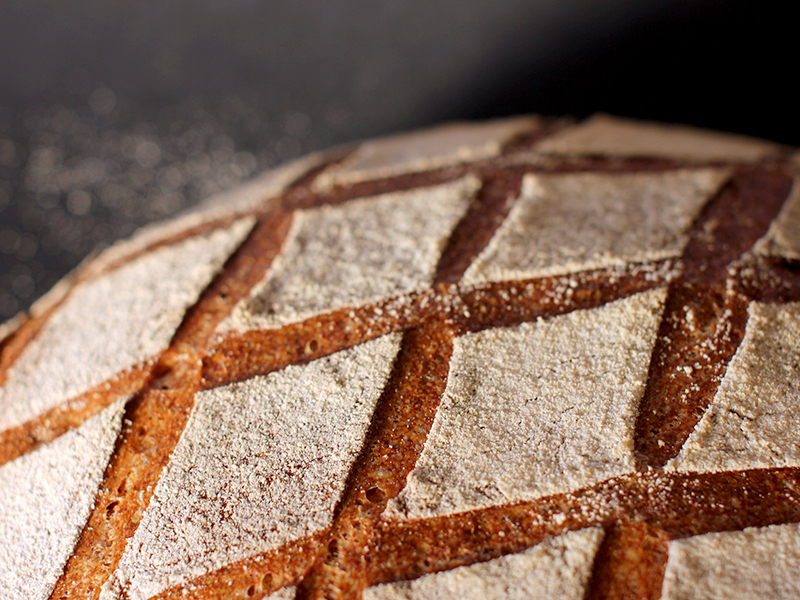 My bread production is still in its early days but I am receiving positive feedback and have made some fantastic and productive relationships with suppliers and producers. 2014 should be an exciting year. 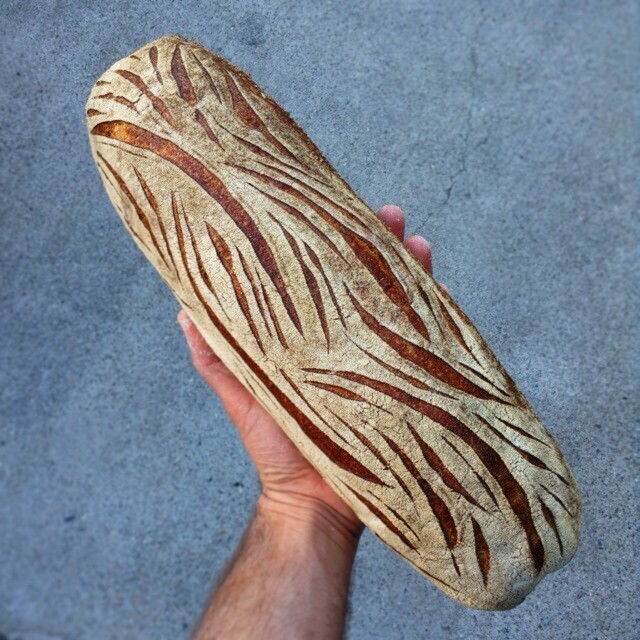 My best wishes to all at the freshloaf. 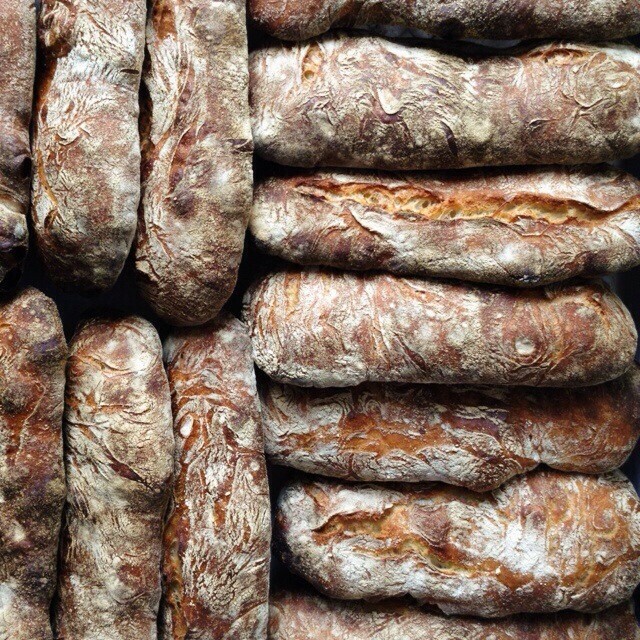 I am lurking here almost everyday quickly having a look at what is happening in the world of bread. Always inspiration to be found. ... if you would like a quick catch-up with what I am up to, I have set up an Instagram account where I hope to share snapshots of my days. Sorry for my absence ... I have been rather busy over the past few weeks. 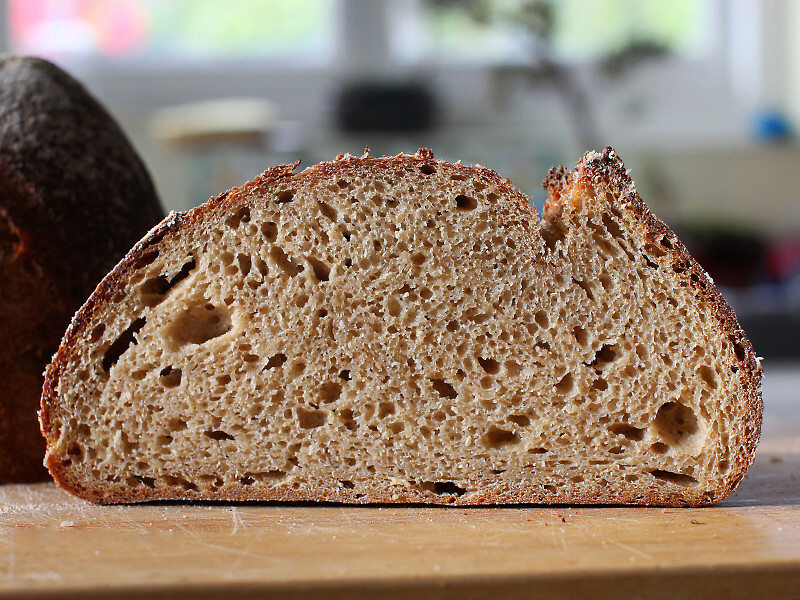 This is the first loaf I have baked using flour from my new Grainmaker mill—and the last loaf I will bake in this kitchen that I have been posting from for almost two years. 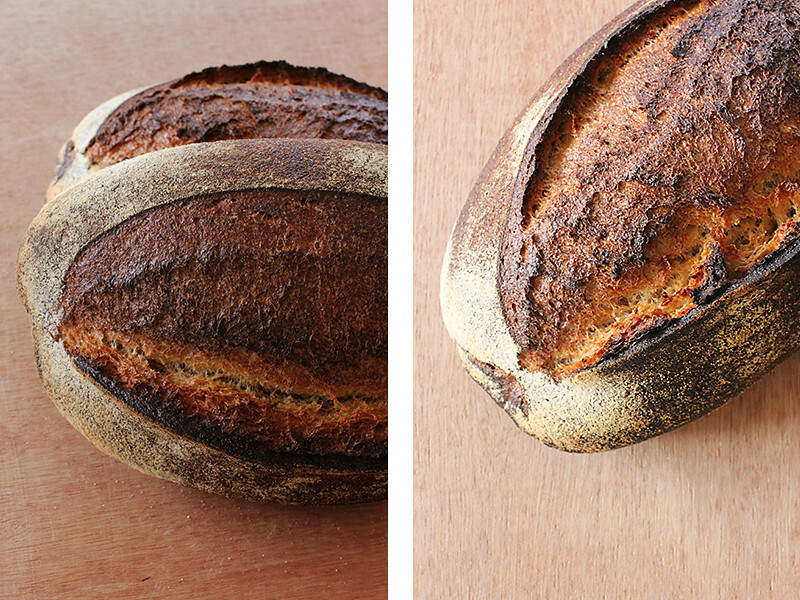 We are moving house this weekend and amongst the piles of packed boxes and chaos I thought it might be a fitting end to try and find some time to bake a loaf and upload a post about it. 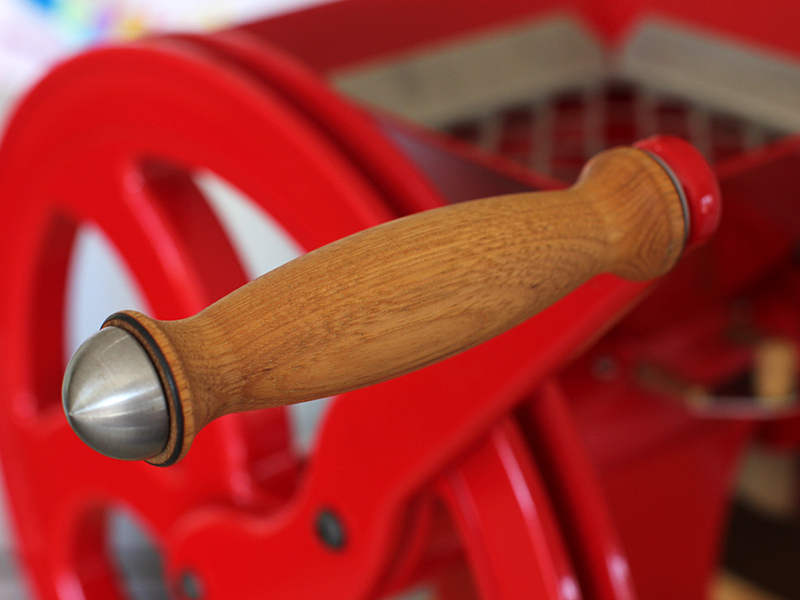 You see, it was my new Komo mill and the excitement of milling my own flour that encouraged me to start actively contributing—after many years of lurking—on TheFreshLoaf. So it seems the thrill of my new Grainmaker mill should be a fitting close to the time we have spent in this lovely old house. ... anyway, best get back to it ... these boxes aren't going to pack themselves. 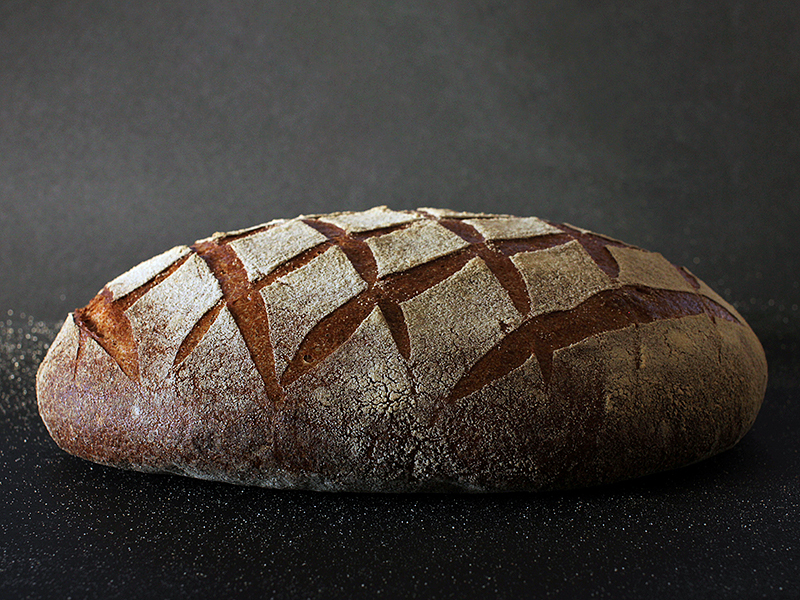 I hope to be baking full-time again reasonably soon ... within weeks hopefully, and I can't wait to post a photo of the first loaf coming out of the oven. ... but this has meant some patience and waiting on my part. 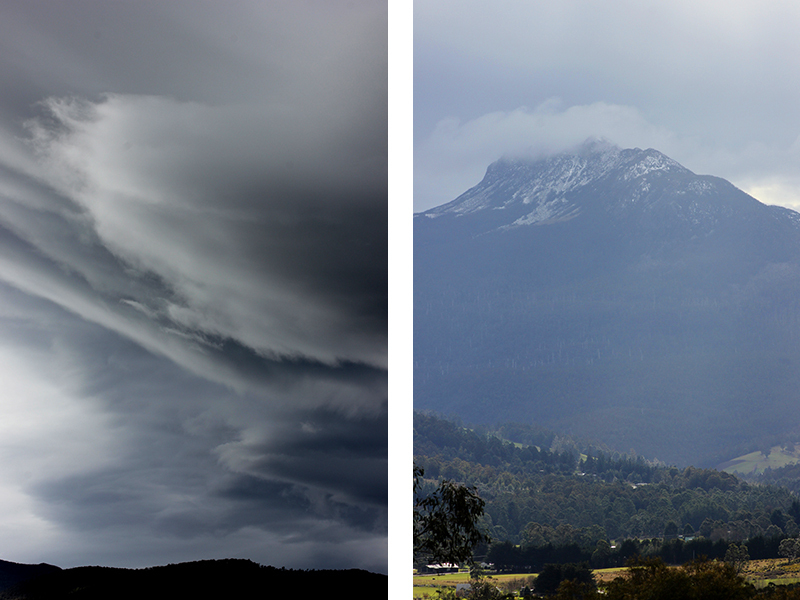 So while we were waiting, Nat and I decided to head south to Tasmania for a chilly winters holiday. I am not sure how many of you have heard of Tasmania or know it's history ... but I live in Australia and seemed to know very little of this island tucked beneath the mainland of Australia. With a push from Ian at Ars pistorica we planned a weeks holiday full of road trips, relaxation and good food. 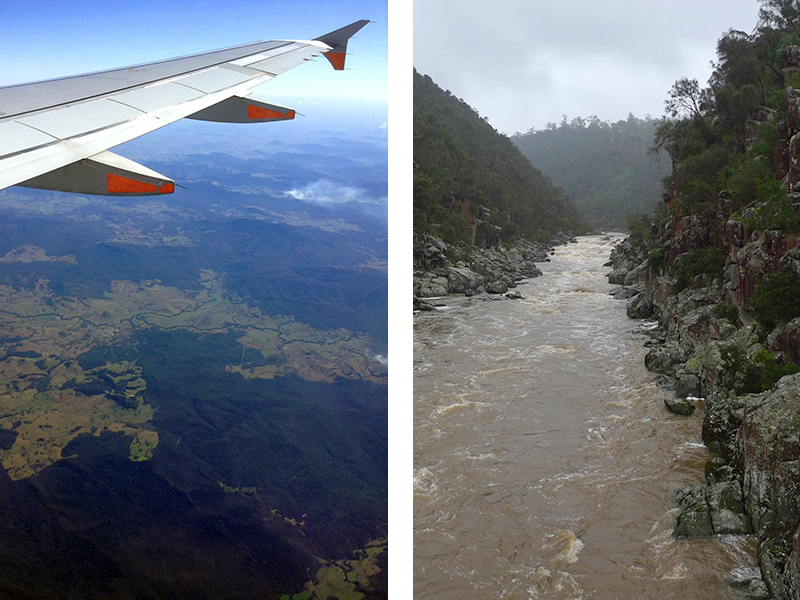 We left Brisbane on a warm 24°C afternoon and landed in Launceston on a wet and cold 10°C evening ... and then the weather proceeded to get even wetter and colder. 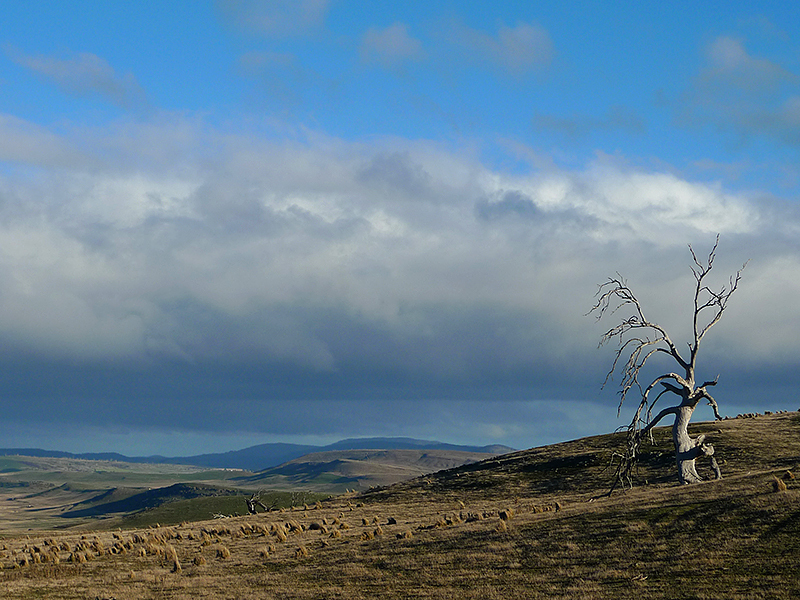 Tasmania's climate compared to northern states of Australia is very changeable. A clear cold winter morning can quickly change to horizontal rain by mid-morning followed by clear skies and a wicked wind at lunch before dropping to even cooler temperatures by early afternoon and evening. We dressed in layers! 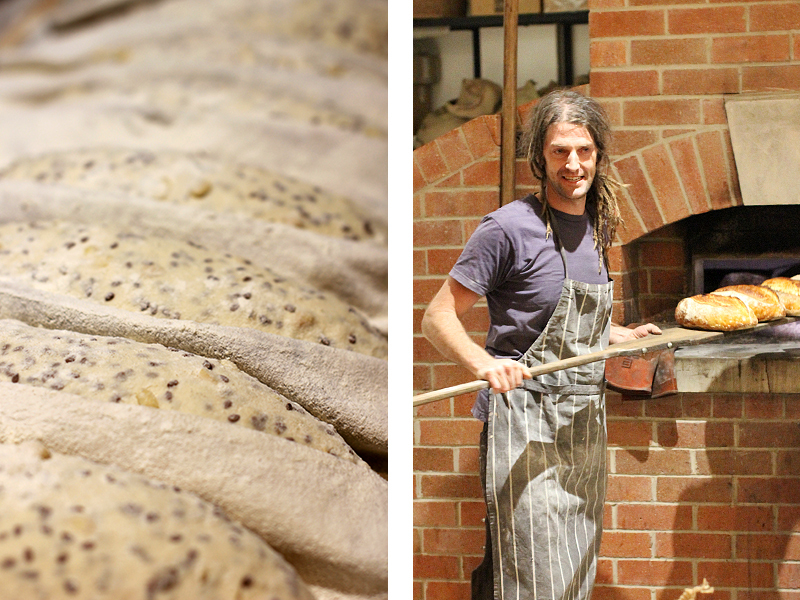 We spent a few days with Ian in Launceston where he proudly showed us through the construction of his new bakery. 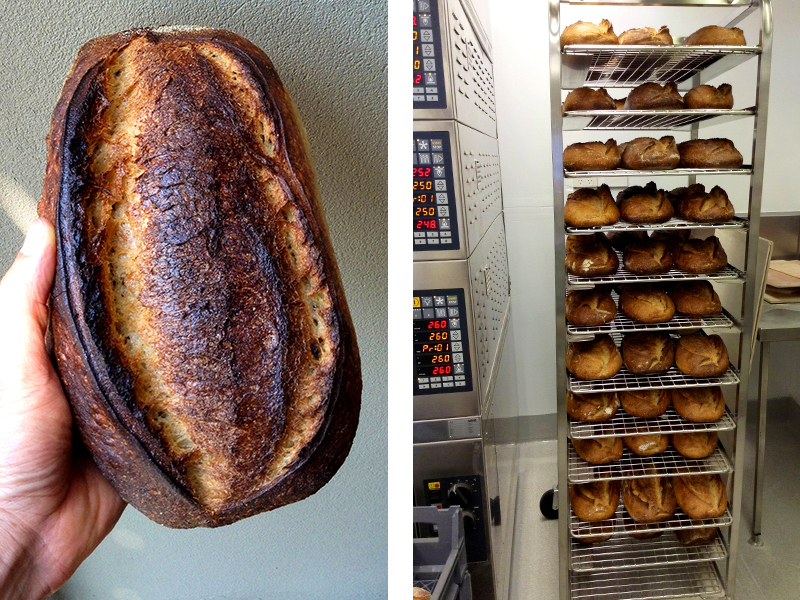 Launceston is about to be treated to some great bread. 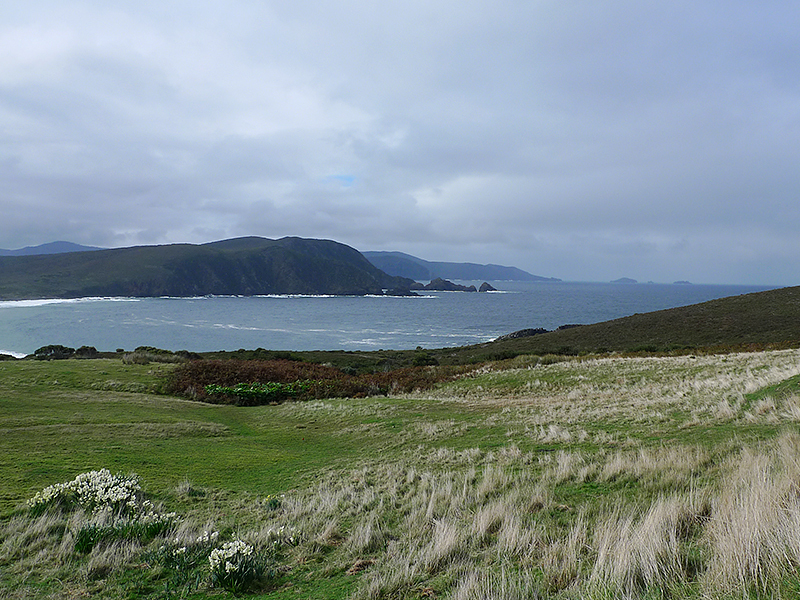 It is very apparent that Ian loves this state and that it breaks his heart to see it struggle compared to the mainland. From Launceston we travelled south through the centre of Tasmania. Large forests opened out into clear rolling hills that reminded me of the darling downs where I grew up except that these were super-sized and saturated versions! 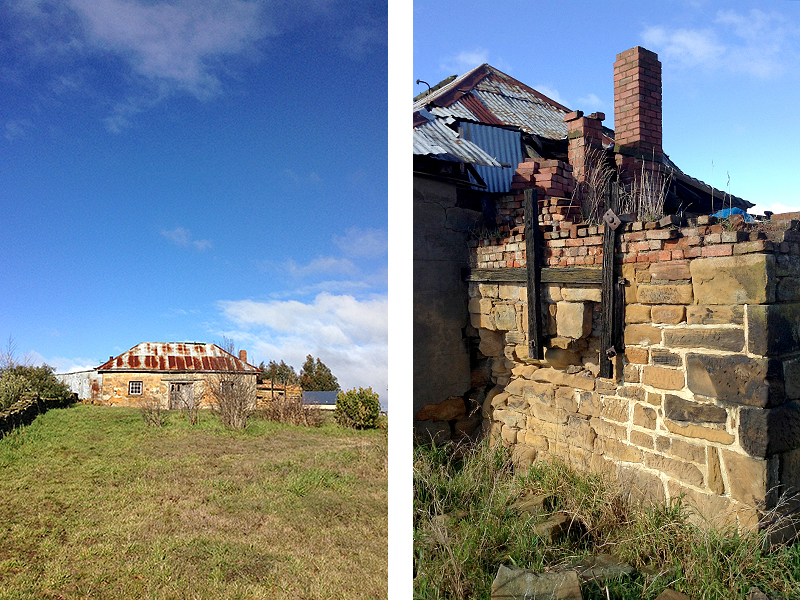 Probably the place I was most excited about visiting in Tasmania was a town called Oatlands. 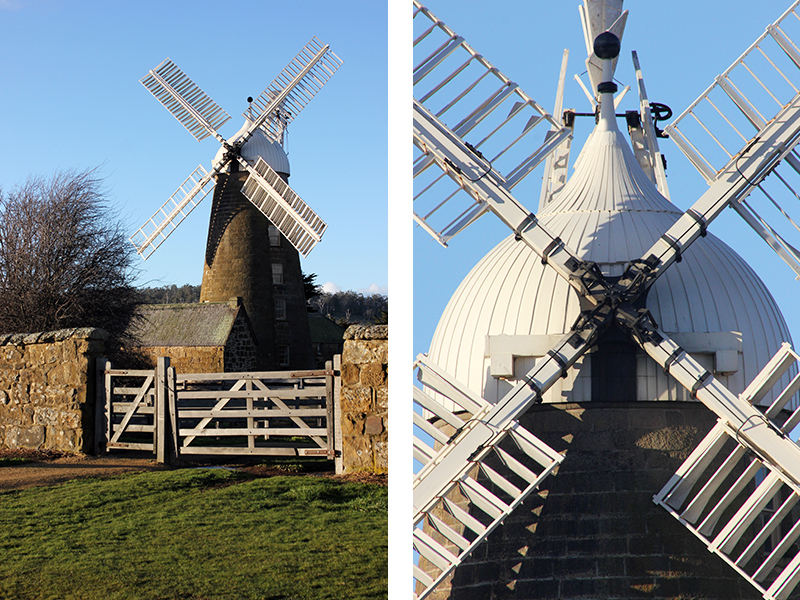 For many years I have watched the restoration of the towns windmill, Callington Mill which had been built in 1837. 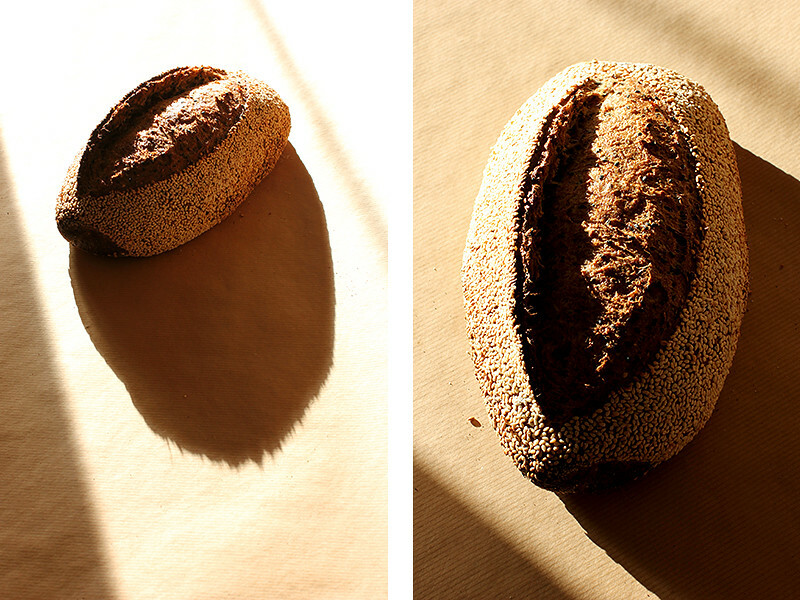 Three years ago the mill was finally complete and once again had begun to produce stone-milled flour from locally grown grains. 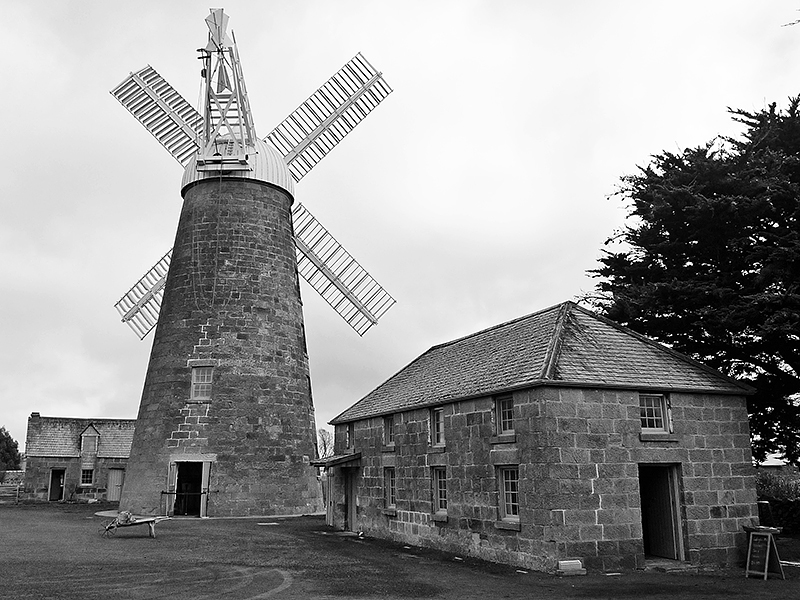 I also knew of Oatlands as being the home of Companion Bakery which was started by Graham Prichard a few years before the completion of the mill. 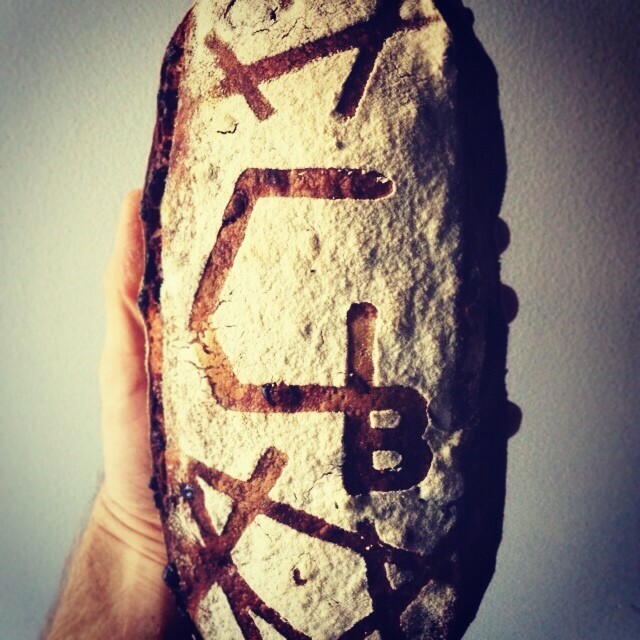 Graham may be well known to many of you as the founder of sourdough.com. 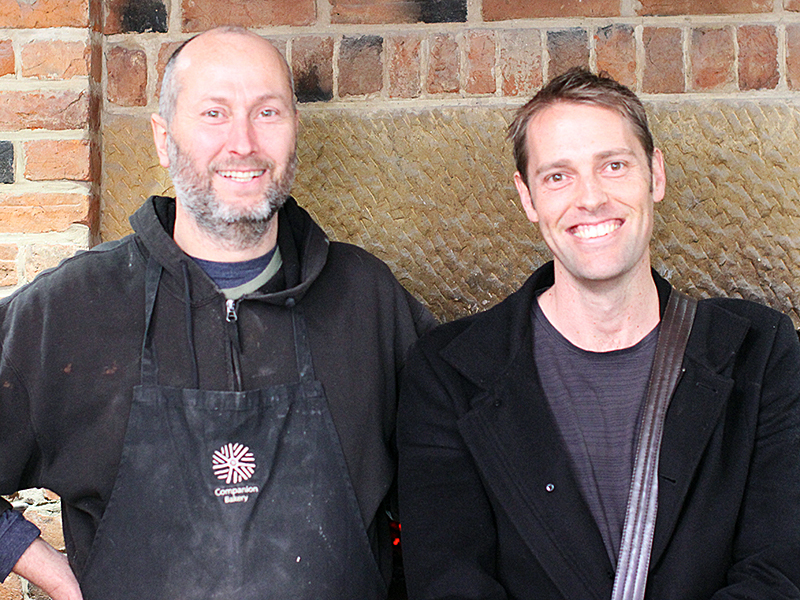 Graham's bakery has a 6ft x 8ft Alan Scott oven built by Dennis Benson of Chester St fame that fits perfectly within the sandstone buildings that line the streets of Oatlands. Graham very generously invited Nat and I into his bakery and even let me shape a few of his loaves before we rushed over the road to do a tour of the mill. Due to health and safety regulations I was unable to take my camera on the tour as flour is combustable and electrical equipment is a fire hazard. 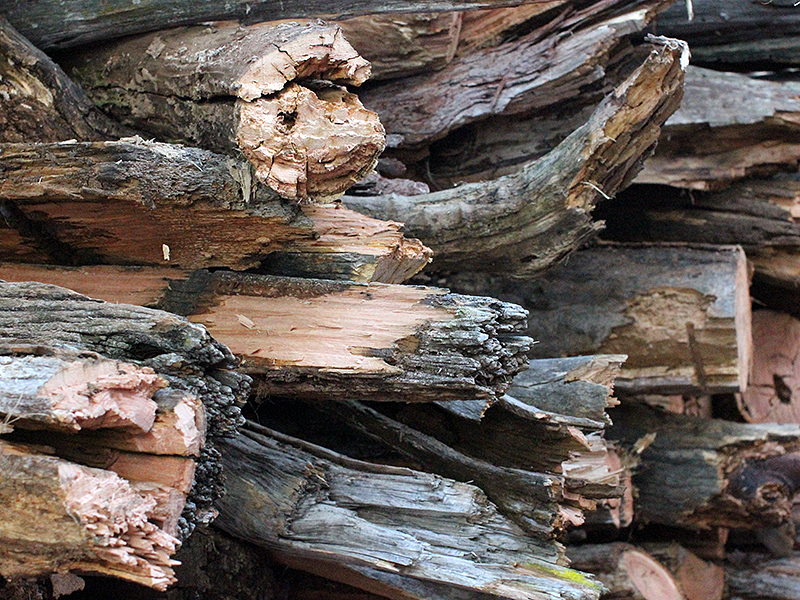 A mill wright from the UK had been flown out to take measurements and over see the restoration of the timber work—the sounds of creaking timber throughout the mill is reminiscent of an old sailing ship—the craftwork is breath taking. 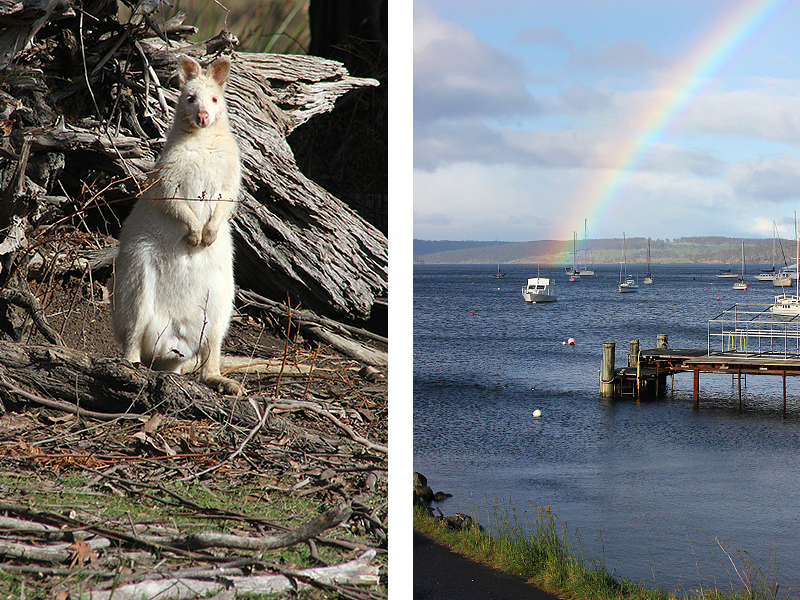 From Oatlands we travelled further South past the capital city of Hobart and caught a ferry across to Bruny Island. Apparently summer is the time that most tourists visit Tasmania and this was most evident on Bruny Island. The environment and quietness were spectacular. 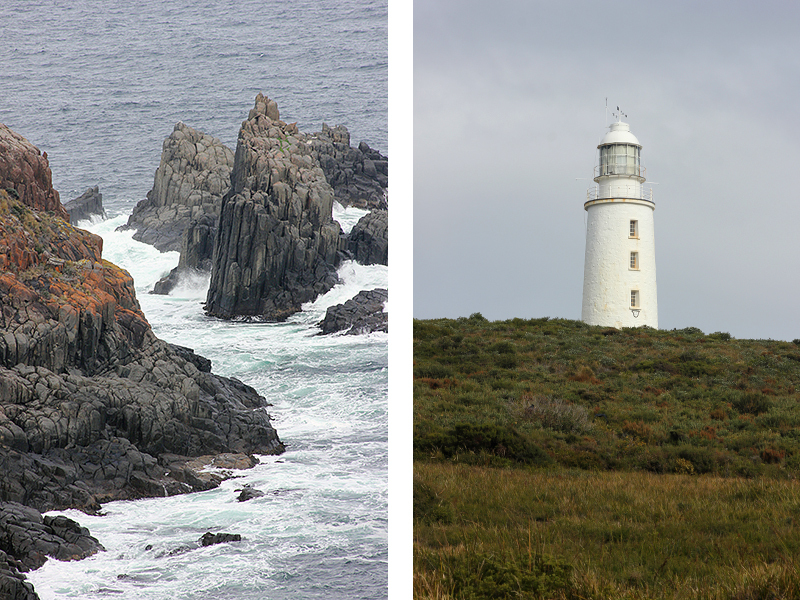 At the Bruny Island lighthouse on the very most southern tip we looked out over the southern ocean in horizontal rain and felt a solemn appreciation for the people who manned these stations so many years ago. It must have been rugged for them. After almost drifting into a relaxing state of nothingness we departed the island and travelled back to Hobart to visit the world class Museum of Old and New Art: MONA. This was almost a mind melting experience. Sheer amazement is the only way to describe the feeling as you descend into the gallery. After three hours of exploring I was exhausted and at the point of being overwhelmed. An amazing experience! 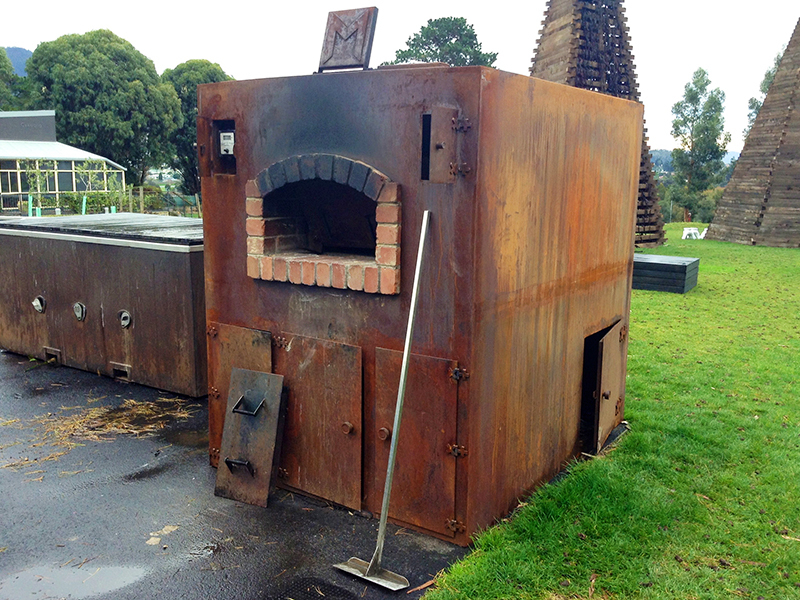 As we left MONA I noticed they had a fantastic looking pizza oven finished with a rusted metal enclosure. Stunning! 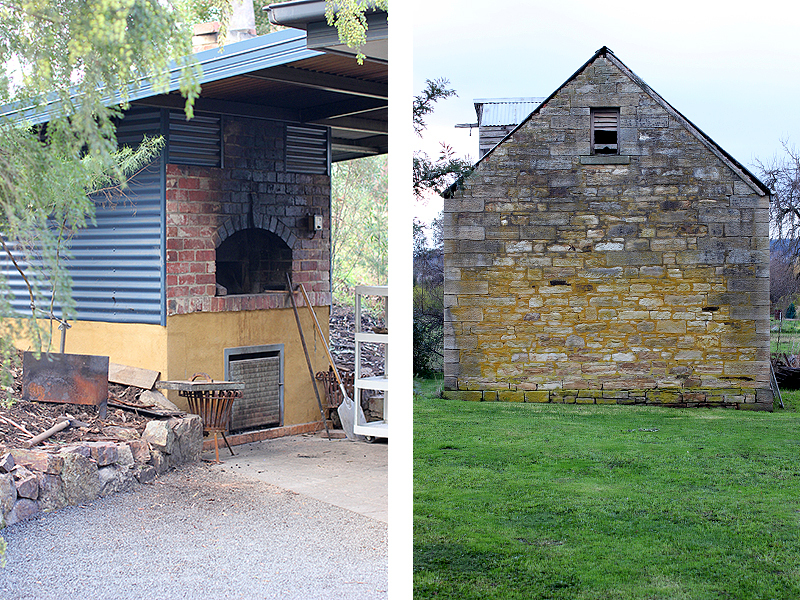 Actually, we found many wood ovens across Tassie and there were more that I didn't have time to visit and even many, many more that I am sure I have not even heard of ... even now I am discovering stories of ovens that have been lovingly restored. One such oven is in a small village called Ross. 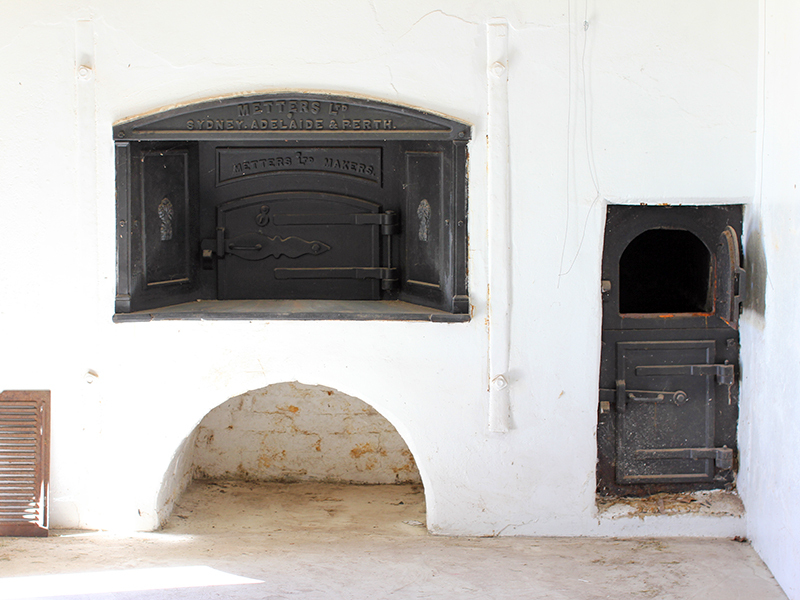 The semi scotch oven is the centre of the Ross Village Bakery which may have a connection to many of you that you didn't realise. 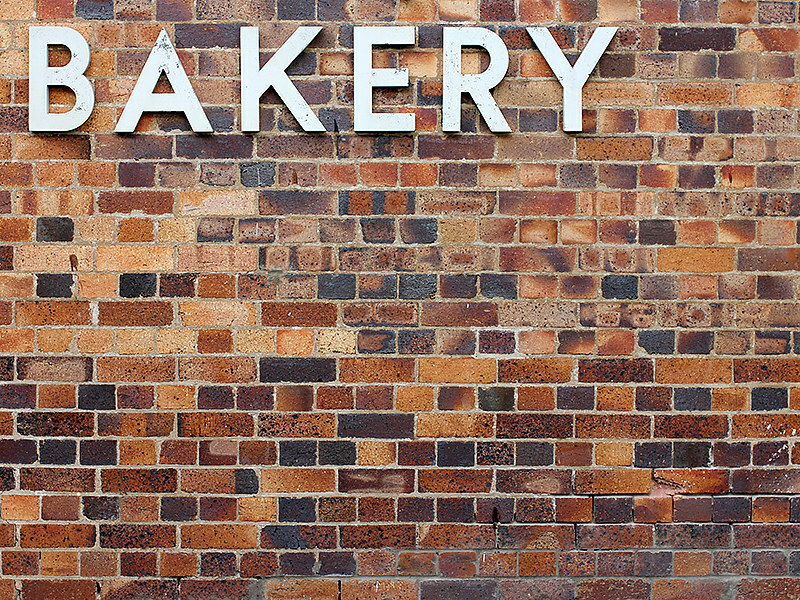 It is rumoured to be the inspiration for the bakery used in the movie Kiki's Delivery Service. If you have not seen this movie, please do ... it is a beautiful movie for young and old. After many more road trips full of discovery (and even snow) we finally had to head for home, and as we walked across the tarmac again in horizontal rain, it was hard to believe that in a few hours we would be landing back home in a city that is twice as warm and has almost four times the population of this little state of Australia. Lucky for me I had a little (actually it was large and heavy) package awaiting my arrival to beat the post holiday blues. I have decided to join the ranks of Proth5 and her band of manual millers. 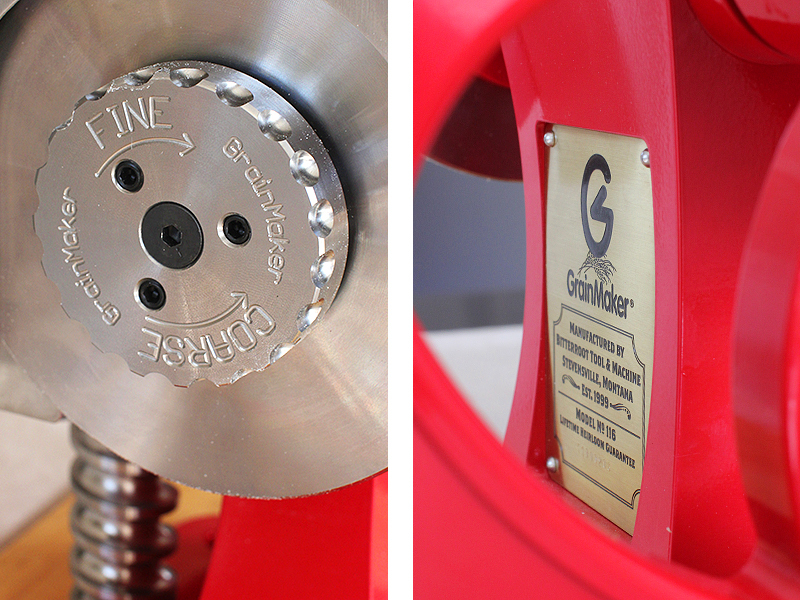 I pondered the purchase of a manual grain mill for quite a while and after much research decided upon the Grainmaker 116. 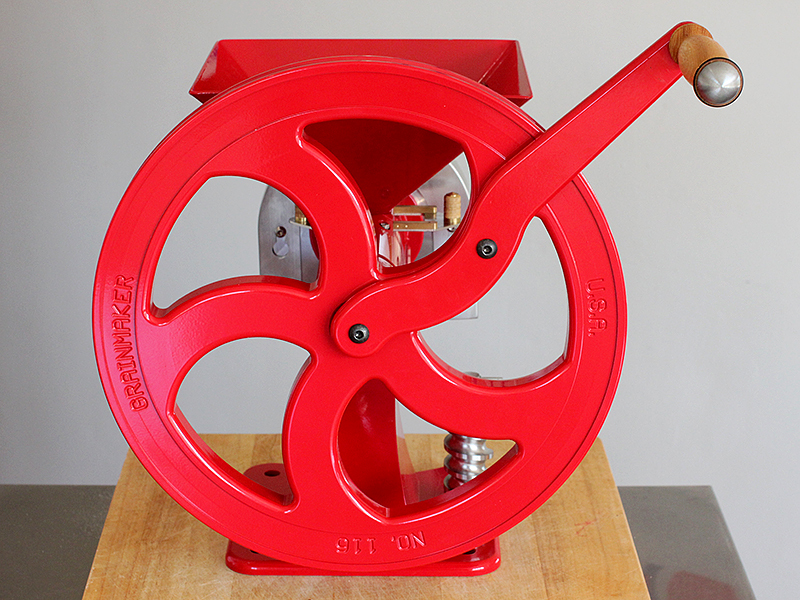 I hope to achieve the control over my flour milling that I am currently unable to develop with the Komo mill. I will be sacrificing speed for quality. 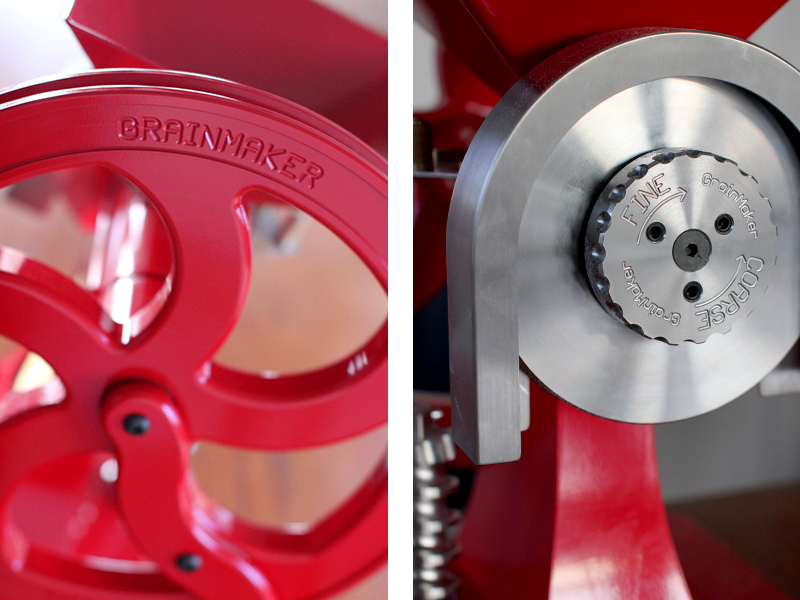 With the Grainmaker I can control the speed of the crank, the fineness and even the flow rate of grain. 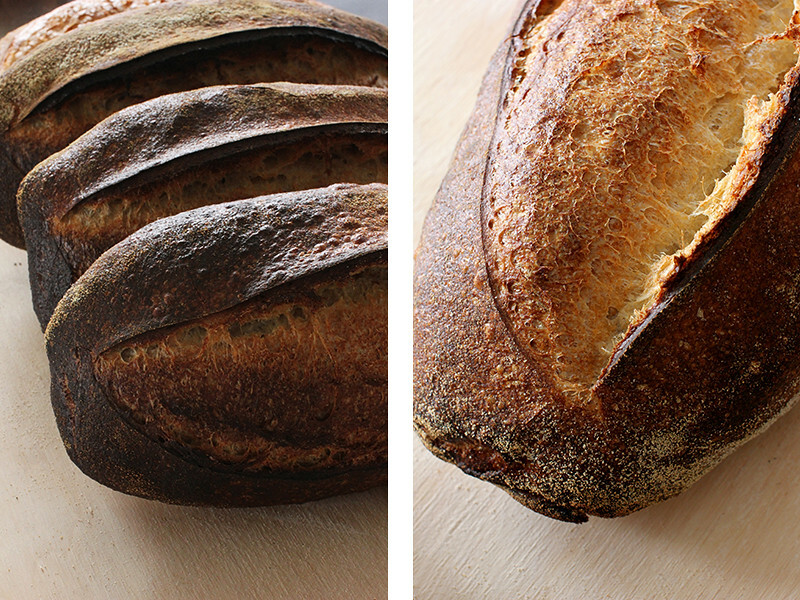 The first batches of flour have been very impressive with lovely room temperature flour and excellent bran separation. 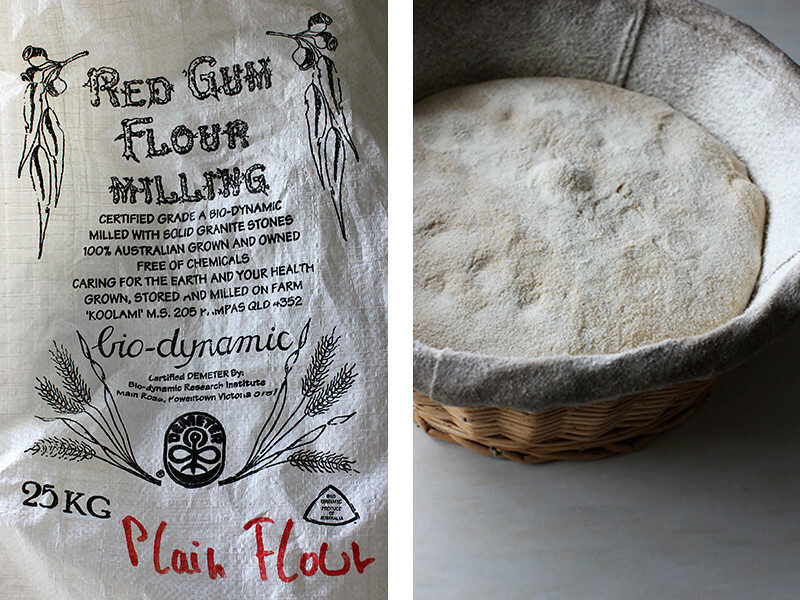 In the coming weeks I hope to find some time to do some whole-grain baking with it and see just how well this flour performs. 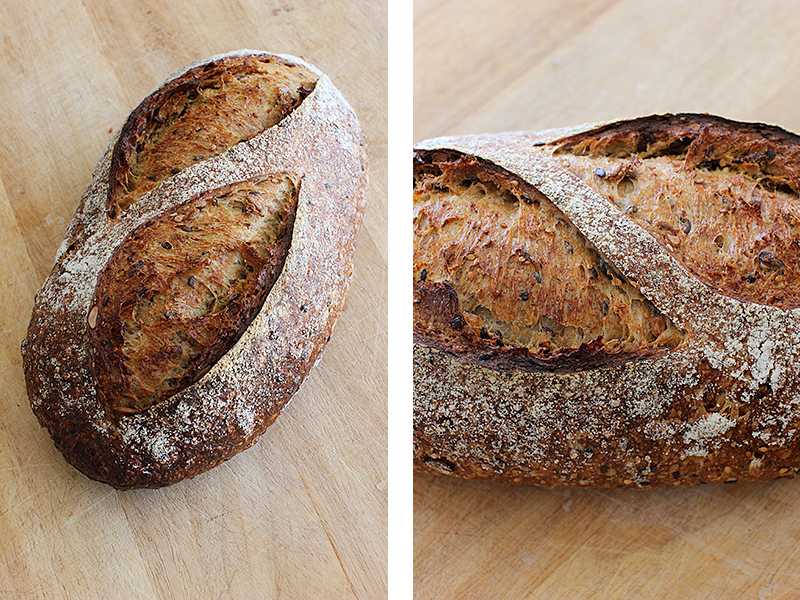 On a brief side note I knocked up a version of Andy's seeded sourdough ... 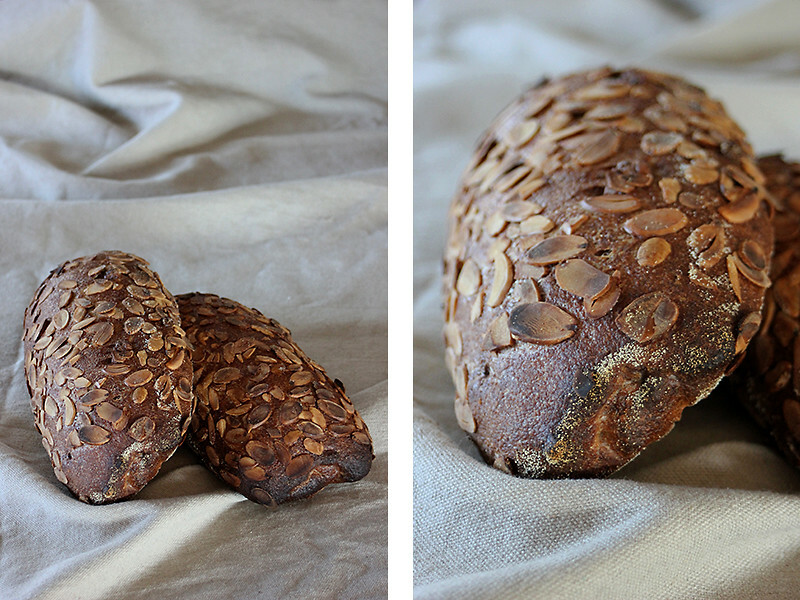 I will do a post on this bread in the near future ... I highly recommend it! 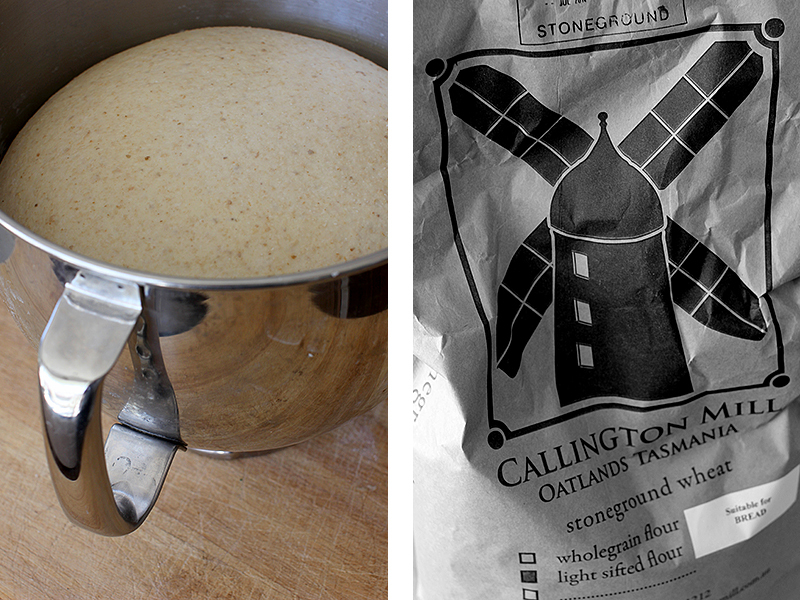 While at Callington Mill I couldn't help myself but purchase some of the light sifted stoneground flour they produce. I didn't get the chance to talk to the miller about their process but it seems that they are milling the grain in one pass before it is sifted through three grades of mesh to produce this flour. 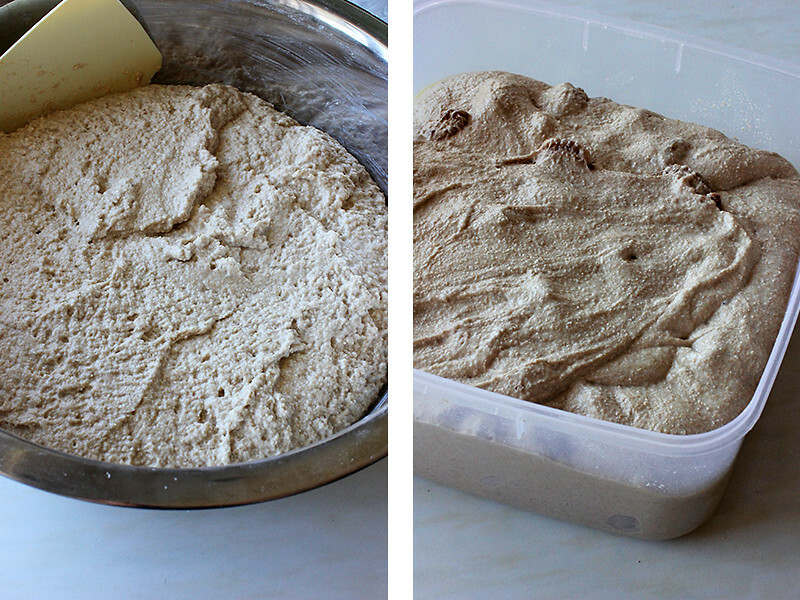 I decided to try this flour in a fairly safe formula that I use quite often. 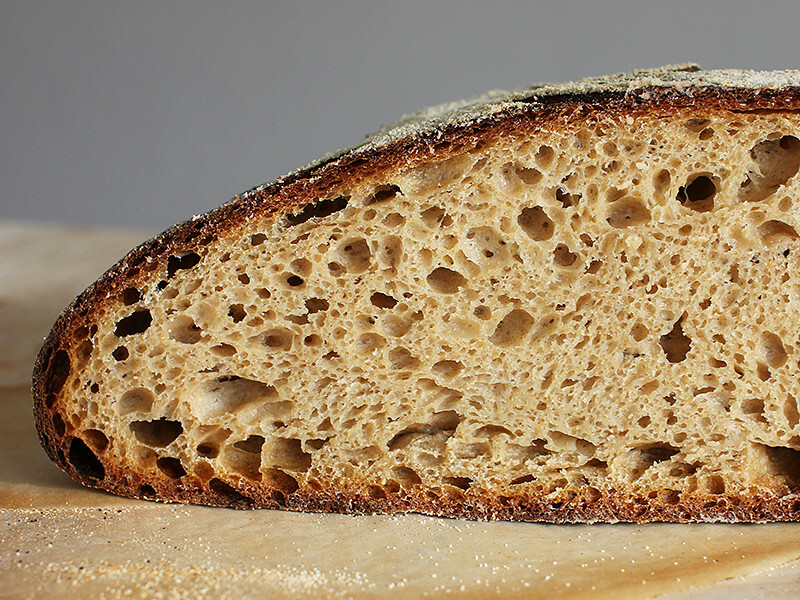 I mixed a dough at roughly 75% hydration with 25% of the flour pre-fermented in a stiff starter. The dough had a little more strength than I anticipated and after a few minutes of slap-and-folds I left it for two hours in bulk with one fold half way through. 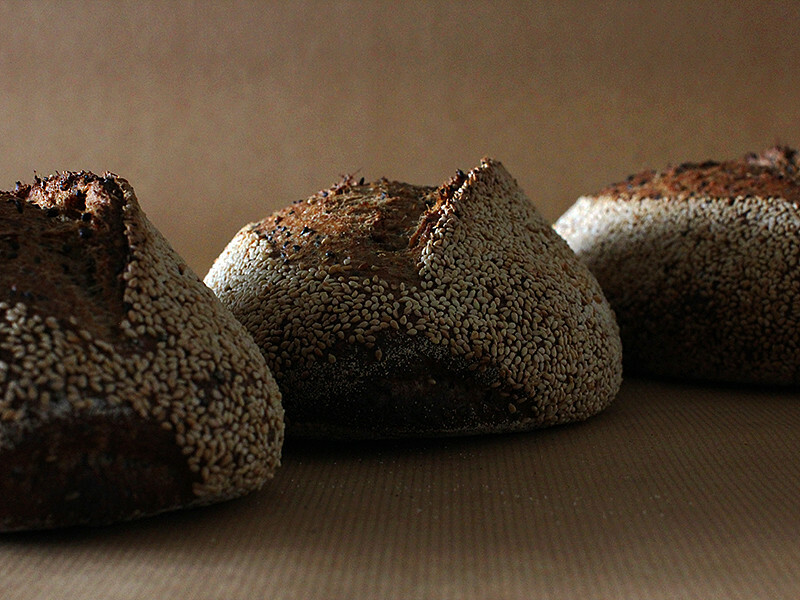 The shaped batards were retarded overnight before being baked off in a hot oven. 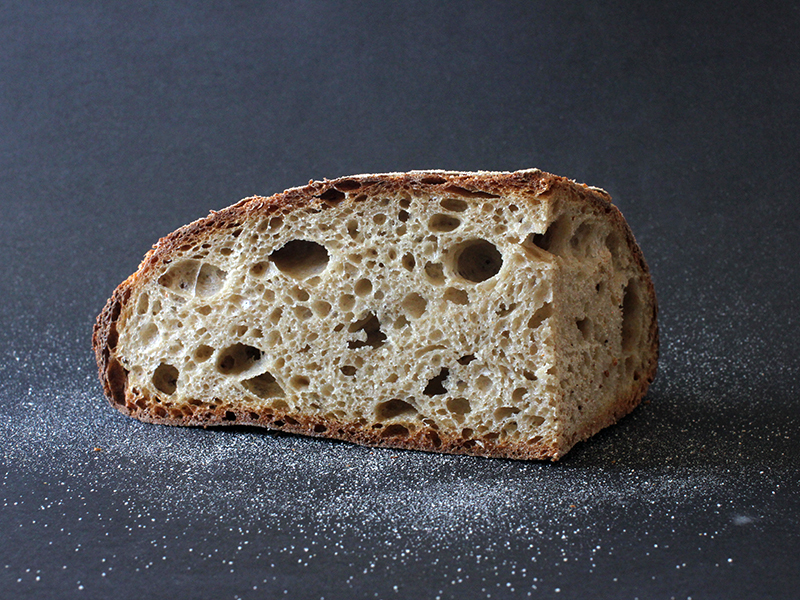 The stoneground flour produced a loaf with a little less volume than with roller milled flour ... but the flavour and crumb texture is to die for. YUM! 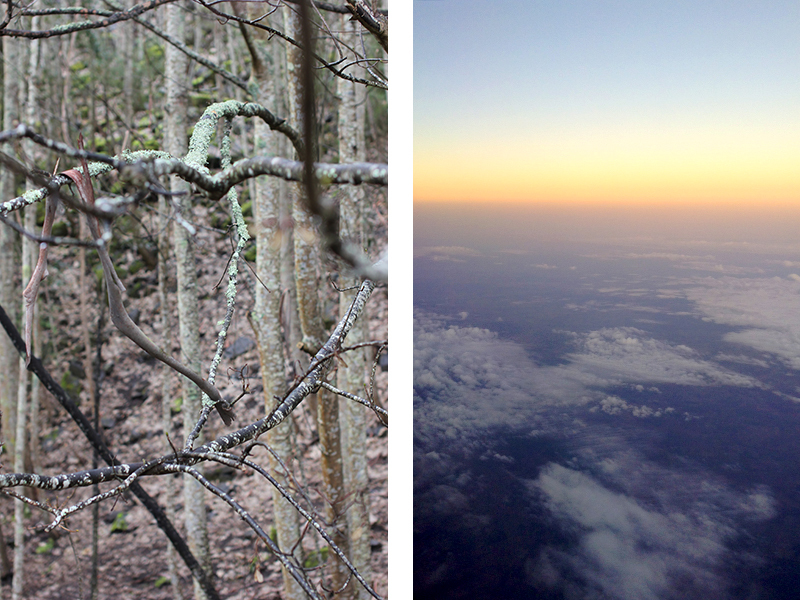 I have just returned home from a weeks trip in the New England tablelands. 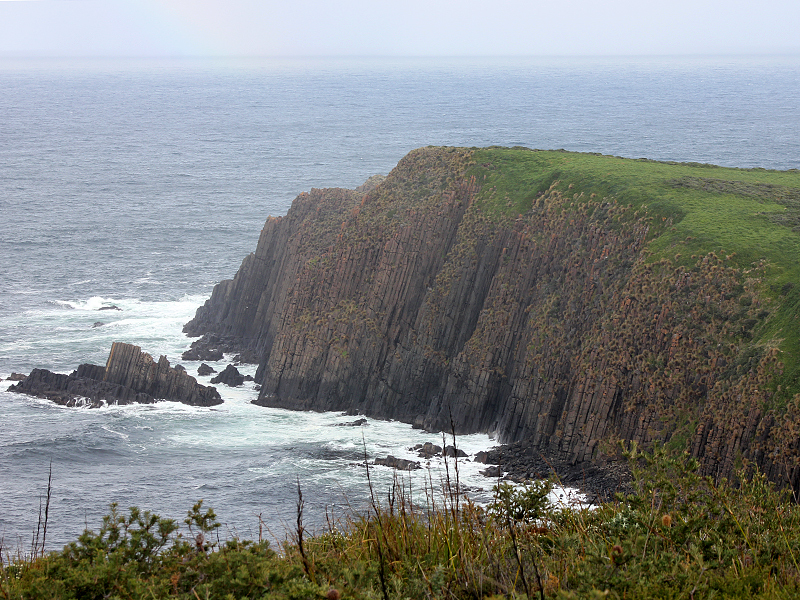 This region is south across the border into New South Wales and roughly six hours drive from Brisbane. 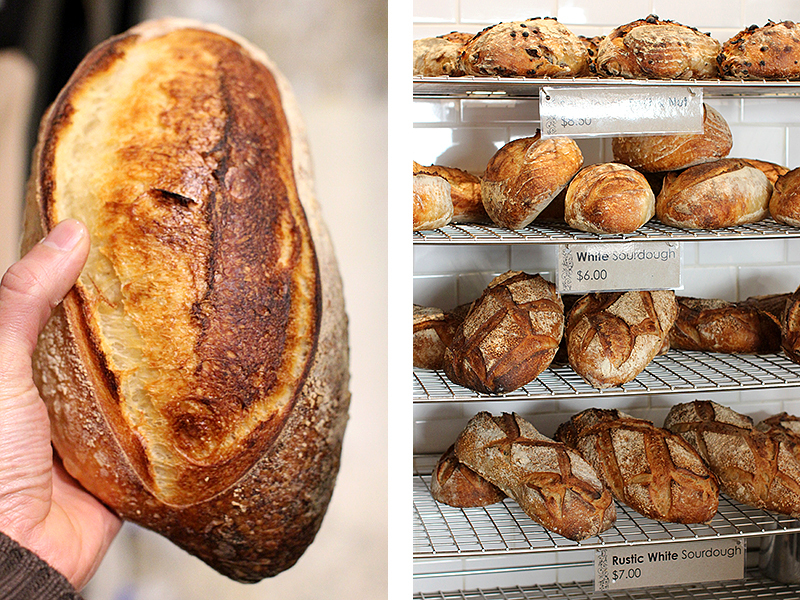 Even though it has some of New South Wales most renowned national parks and world heritage areas I was travelling for my usual reasons ... bread. Dennis (the fantastic oven builder from Chester St) was driving to Sydney and had offered me a lift to Armidale which is the centre of the New England area. 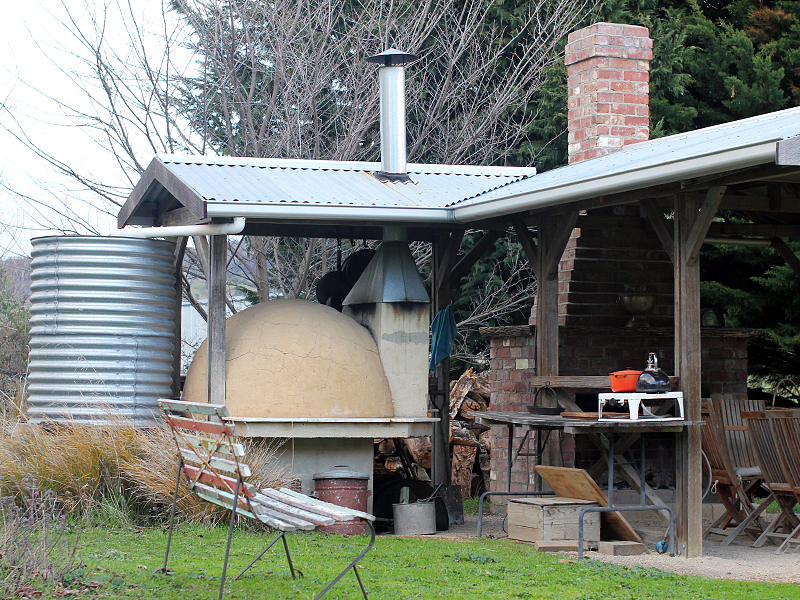 Roughly five years ago Dennis built a beautiful 6x8 ft Alan Scott oven for a business in Armidale called the Goldfish Bowl and I was invited down by one of its owners Nick Oxley to spend a few days baking and taking some photos. 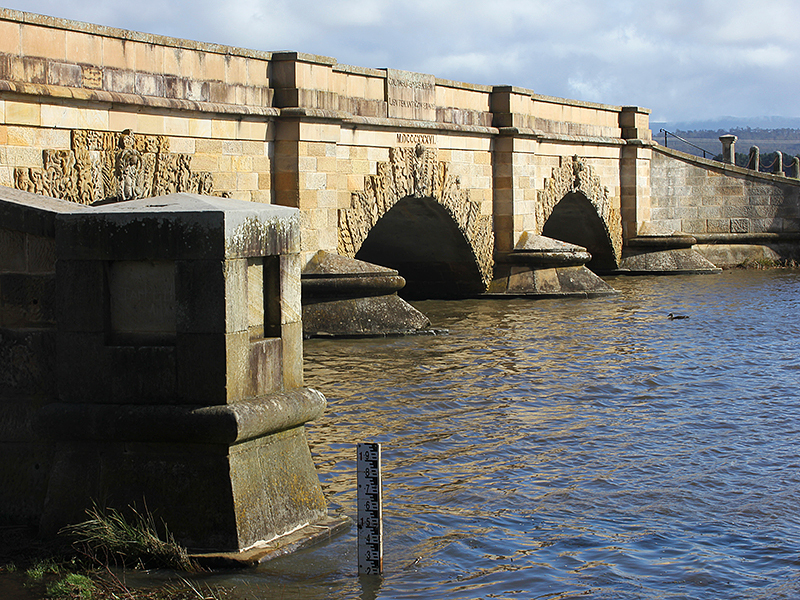 The trip down to Armidale passes through my childhood town of Warwick and then further south through picturesque towns full of history and character. 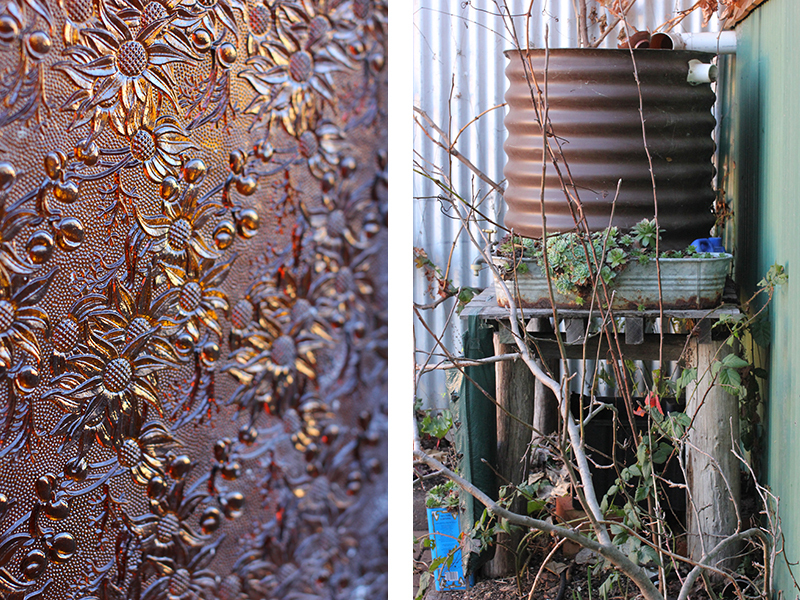 We stopped in the pretty town of Tenterfield and spent some time wandering around an old bakery that was sitting in disrepair behind a hairdressers. 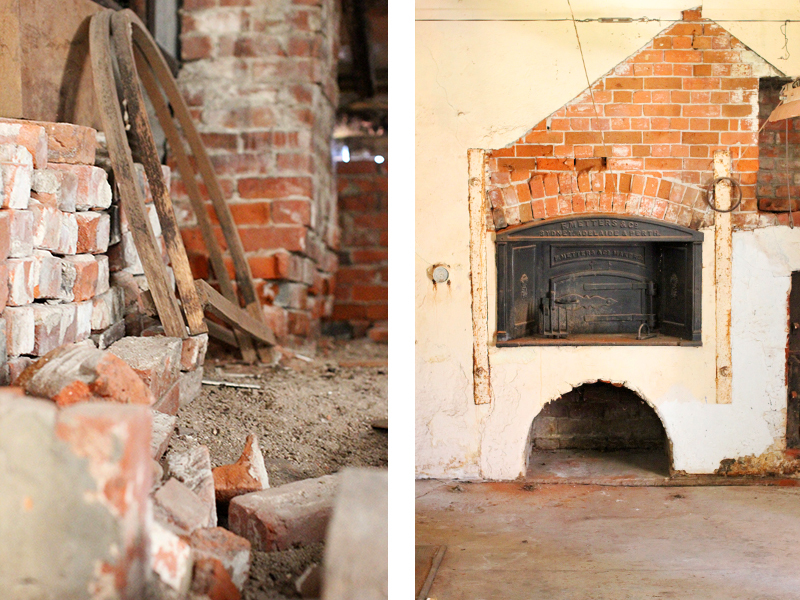 Two large masonry ovens called scotch ovens would have been part of the bakery though only the facade remained of one. 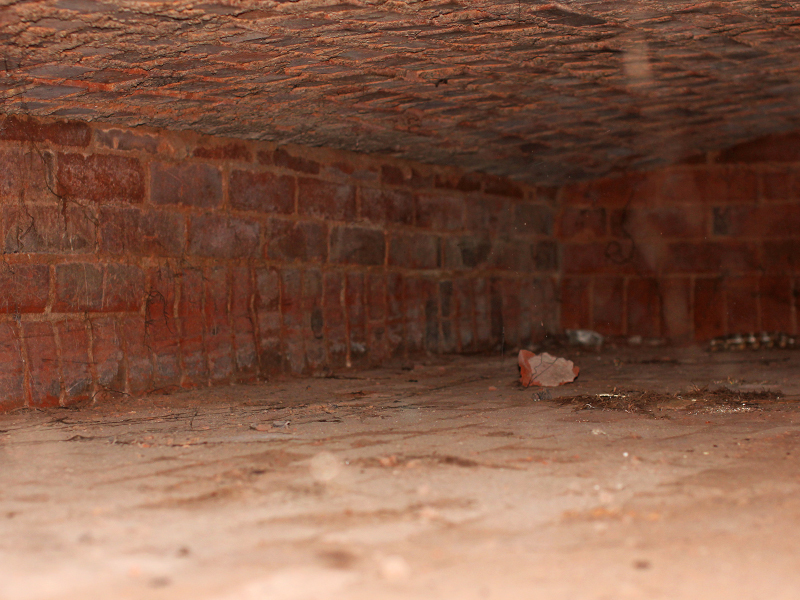 Dennis estimated the remaining oven's hearth to be 3m x 5m and though the bricks showed obvious signs of wear it seemed in reasonable condition. 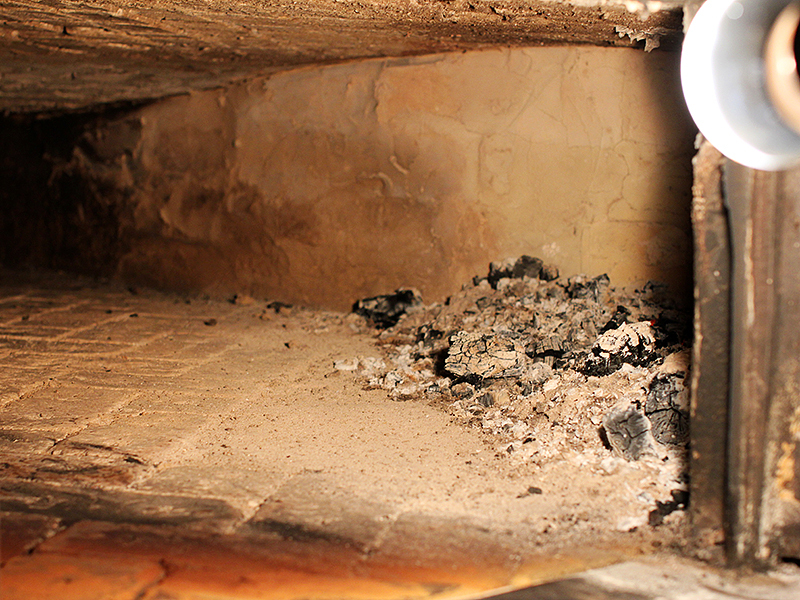 A rusty firebox was situated to the right side of the oven mouth and was vented at the rear into the side of the oven. Rusty flue controllers were still visibile and rusted tight and the bed of sand that covered the oven roof was littered with debris and damage from the elements. 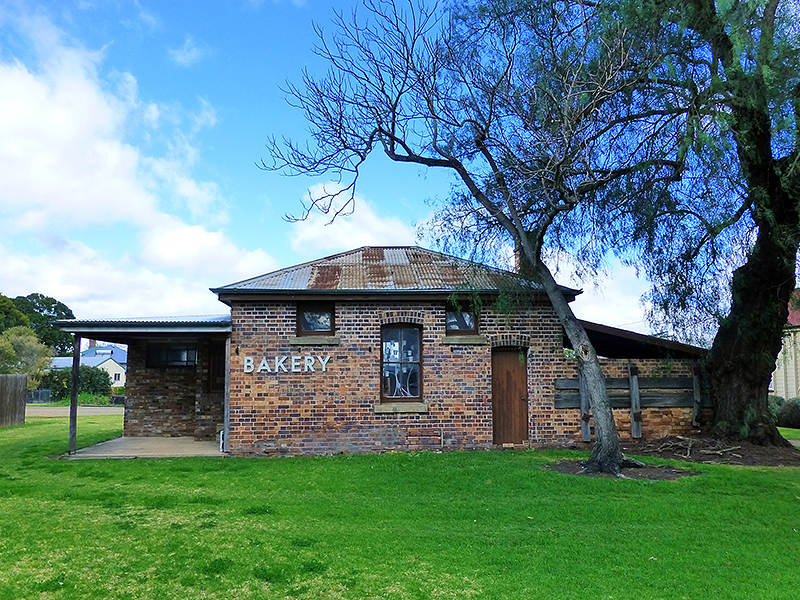 These were the standard bakery ovens in most small towns across Australia until the larger the industrial bakeries put many of them out of business.The usual practice would be for the local bakery to be bought out by a larger industrial bakery then shut down. 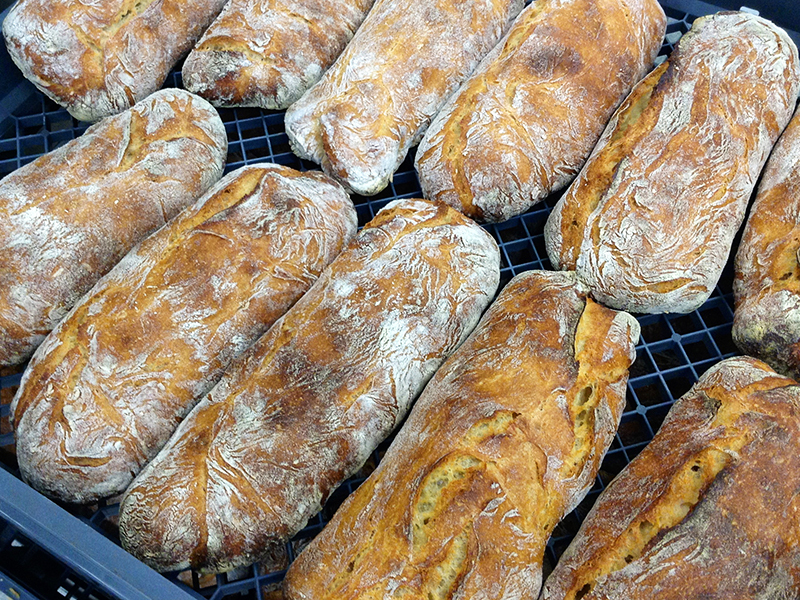 Industrial bread would then be shipped in from larger towns nearby. 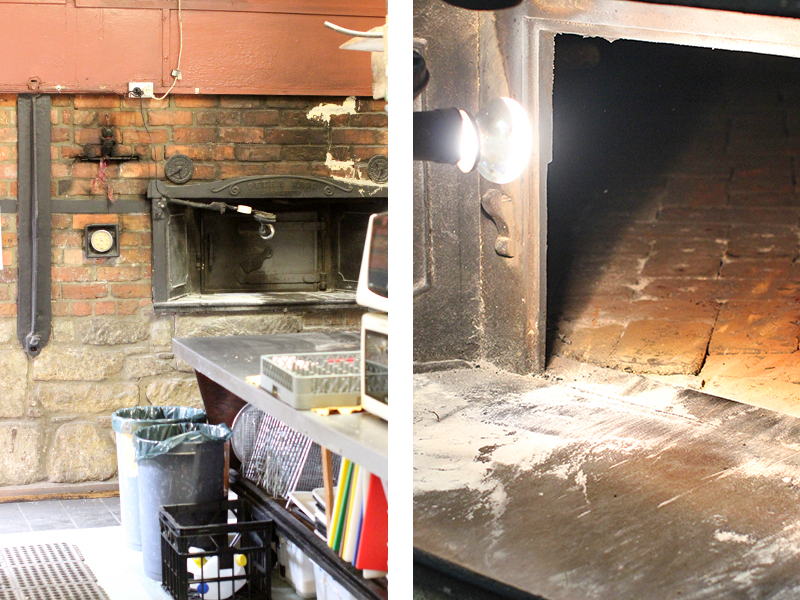 We don't know the history of this particular oven but it was an eery feeling standing in the dim bakery room imagining the smells and sounds of yesteryear. We arrived in Armidale later that day after driving up over the rolling hills of the Northern Tablelands through cooling temperatures. My Grandparents lived in Armidale for some time and was one of my Grandmothers favourite places. She would talk lovingly about the bracing winters, snow and her rose gardens. The temperatures had already started to fall by the time we had caught up with Nick and his family for a Sunday evening dinner and by the following morning when we arrived at the bakery at 4am it was -7°C. 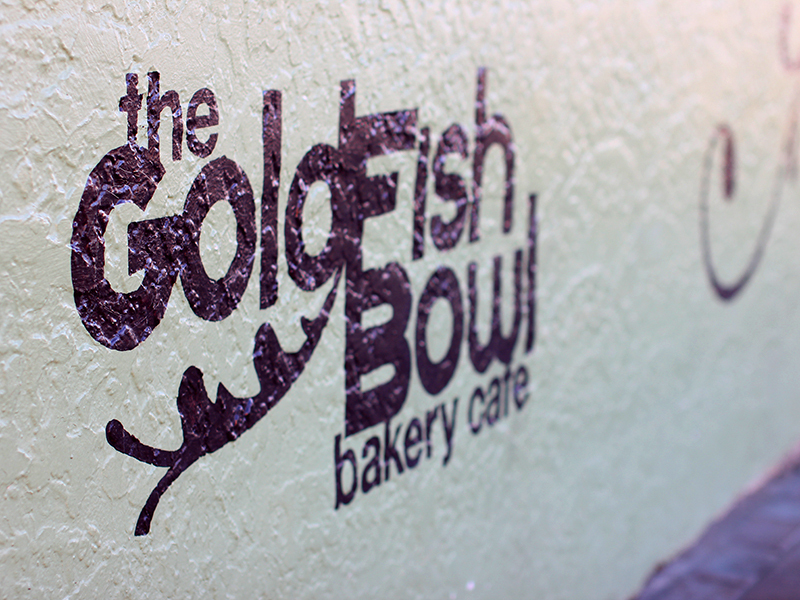 Nick and his brother Josh have been running the Goldfish Bowl in its current form for about 5 years and before that as a hole in the wall coffee shop. 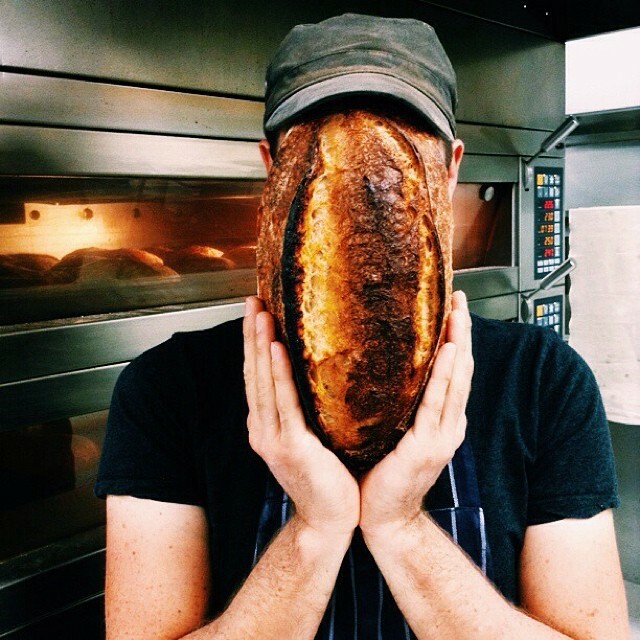 Not only do they produce delicious woodfired sourdough but they also roast their own coffee and have a fantastic kitchen team serving breakfast and lunch. 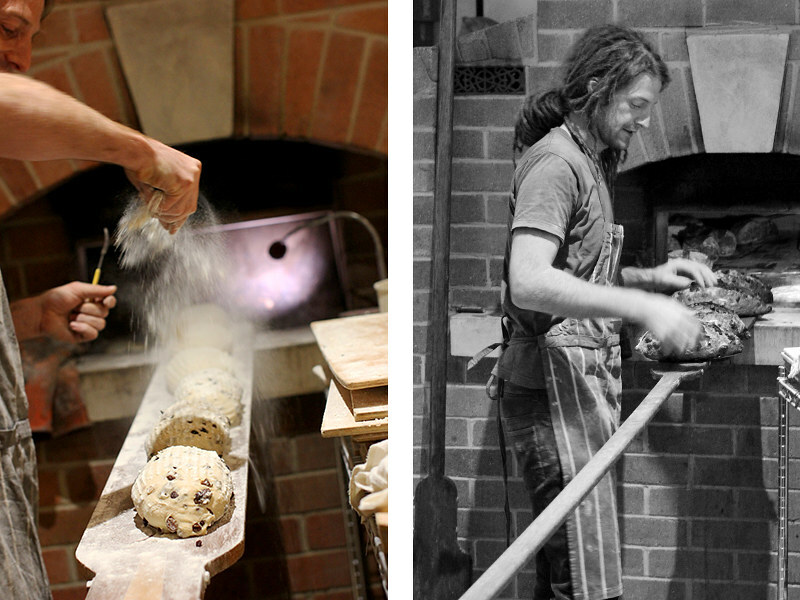 The Alan Scott oven is the centrepiece of their cafe ... bread is baked early in the morning followed by pastries before being handed over to the chefs for use until after lunch when it is fired again. 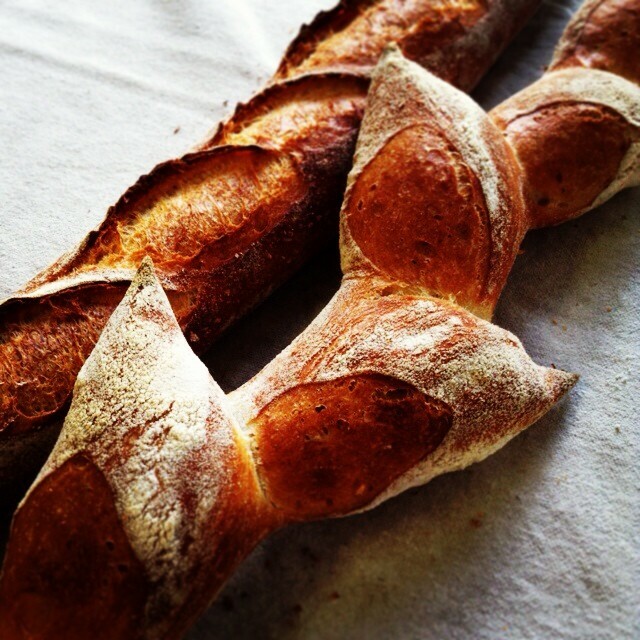 Throughout the day I spent time in the kitchen with the chefs assisting in various odds and ends, shaping croissants, rolling puff pastry and generally trying to be helpful until Nick and I would spend the afternoon shaping bread. 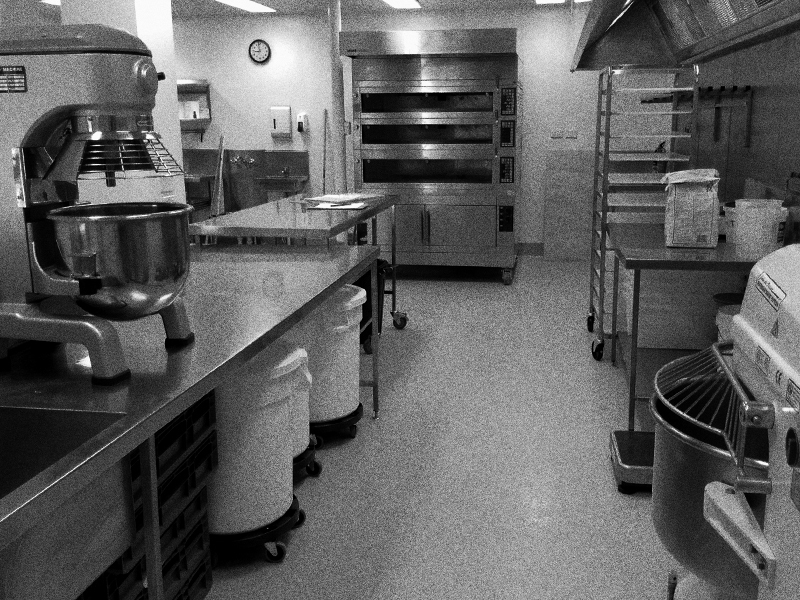 A large timber table was the centre piece of the kitchen and was wiped clean in the afternoon to allow for the bread production. After only being exposed to stainless steel benchtops the timber surface was a delight to shape on. 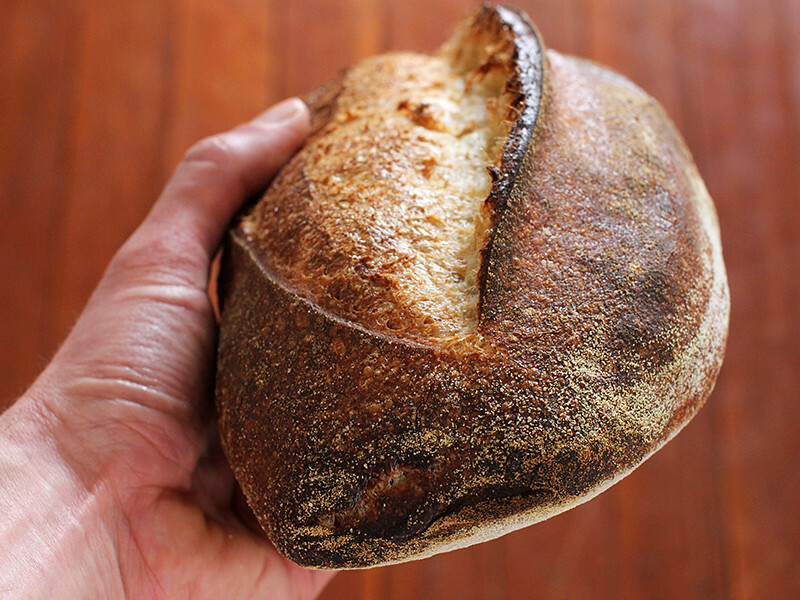 Nick keeps two starters for his bread–a liquid white and rye–and mixes a warm well hydrated dough that has a decent bulk ferment before dividing and shaping. 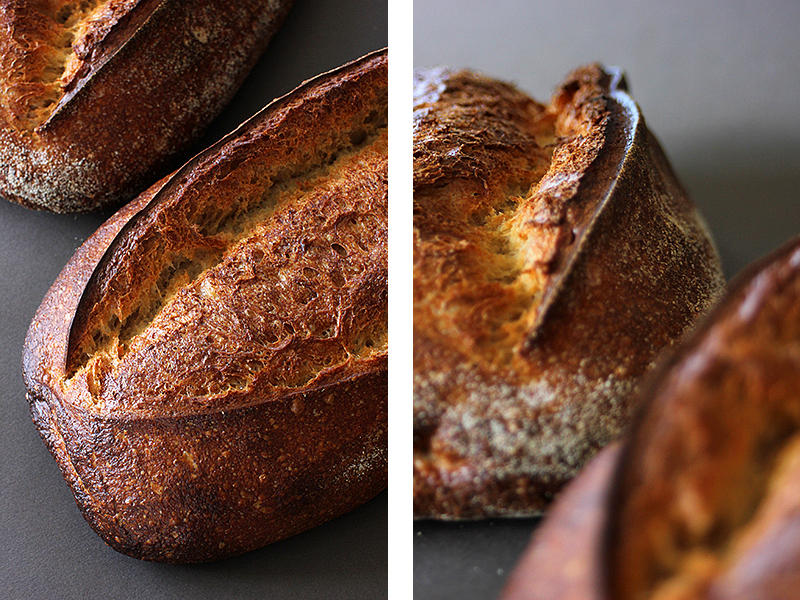 A usual days mixing would involve perhaps five batches–white sourdough, rustic white, soy and linseed, rye, fruit and perhaps a spelt dough or wholemeal. 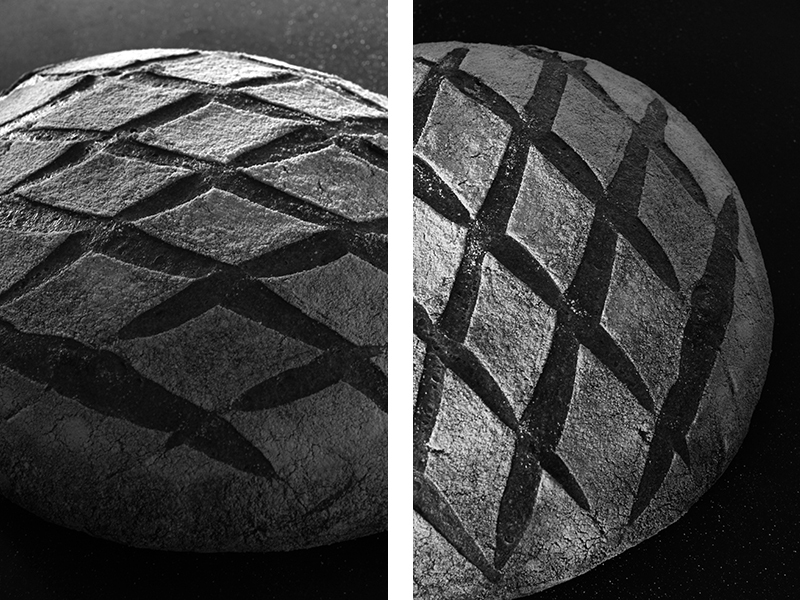 After shaping the bread is retarded until baking the following morning. The large oven that dennis built for the Goldfish Bowl is a thing of beauty. 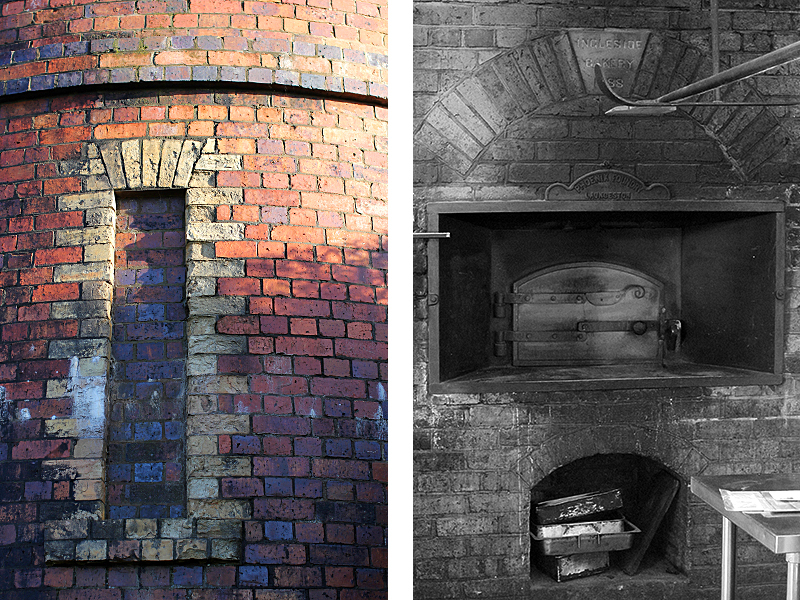 Red bricks cover the dome and large sandstone pieces feature at the oven mouth. 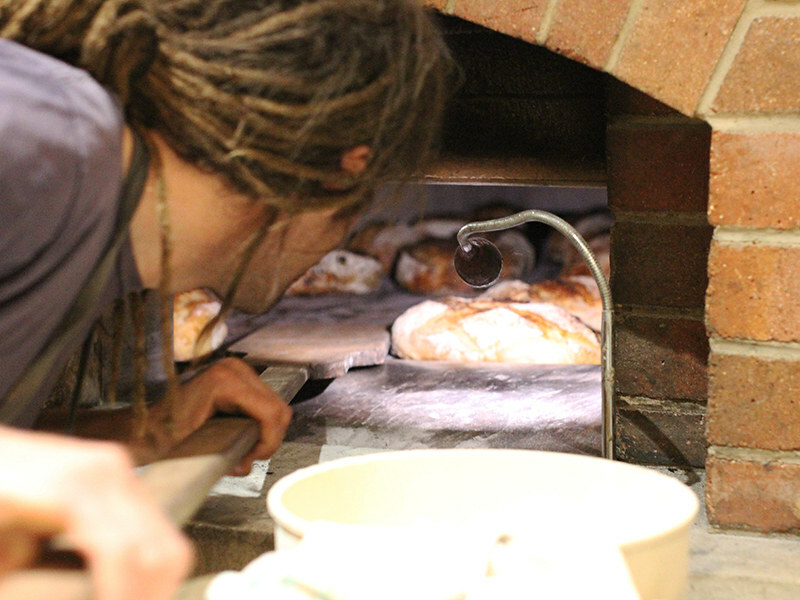 Watching Nick and Josh loading the oven briskly each morning and witnessing the amount of bread each oven load could produce I was reminded of the old adage that you build the biggest oven you can afford. On my way back to Brisbane I stopped by my parents for a few days in Warwick. 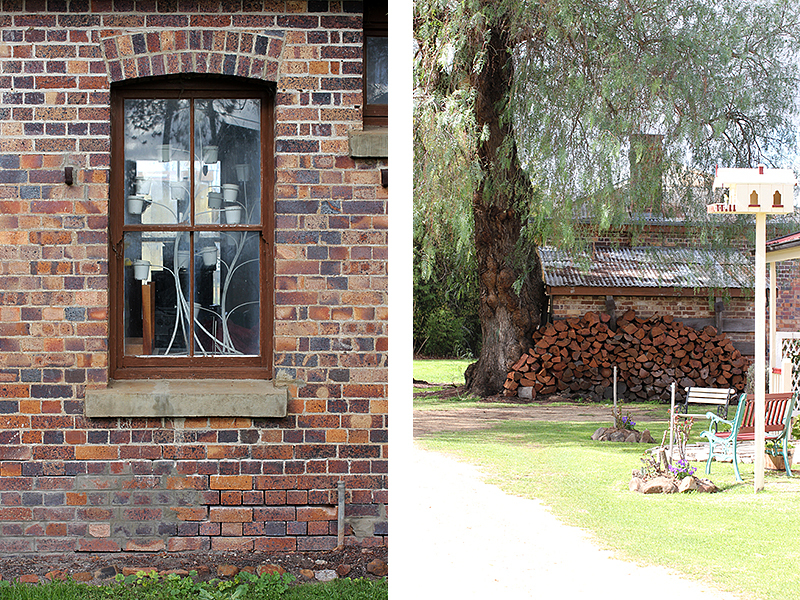 I had heard about a few scotch ovens in the nearby area so my mum and I took a short road trip and found a beautiful example of an old Australian bakery. A plaque near the front says it was built in the late 1890's ... 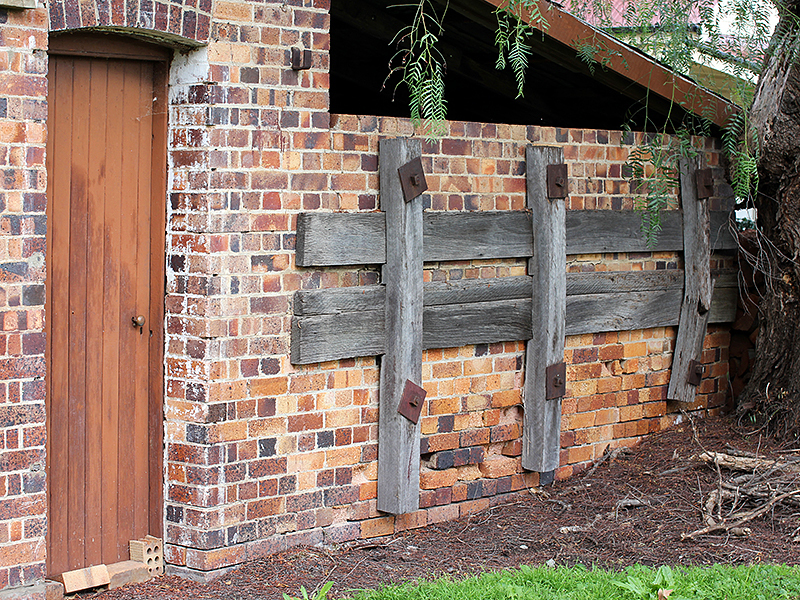 It is in remarkable condition and is currently used as a storage shed. I spoke briefly to owners and perhaps in the future when it is cleaned out, Dennis and I may have the opportunity to peer inside and step back in time again. Peering over my computer monitor I can see it is still raining. My computer lurks in the smallest room in our house with a single window that allows a narrow view through to another room and then another window before a tiny glimpse of the outside world finally emerges. 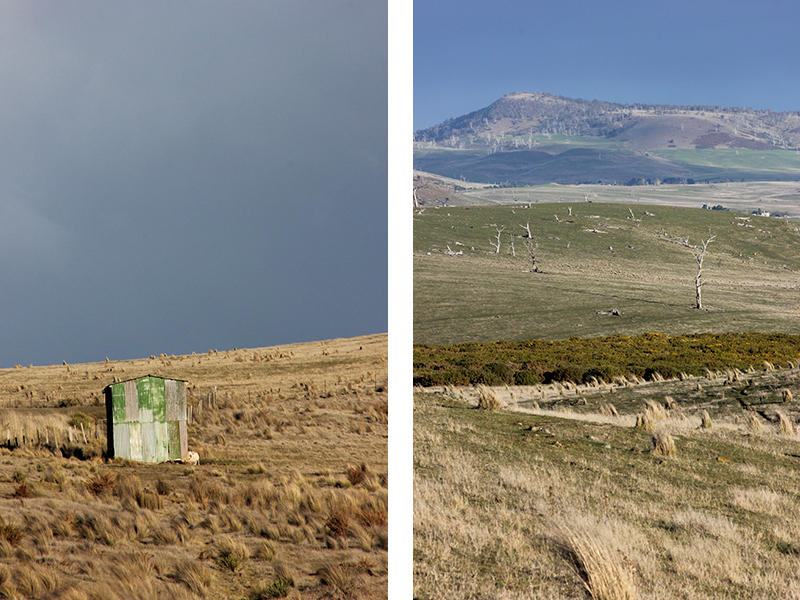 My computer cave seems so removed from the country roads under expansive skies that I was travelling on the week before. 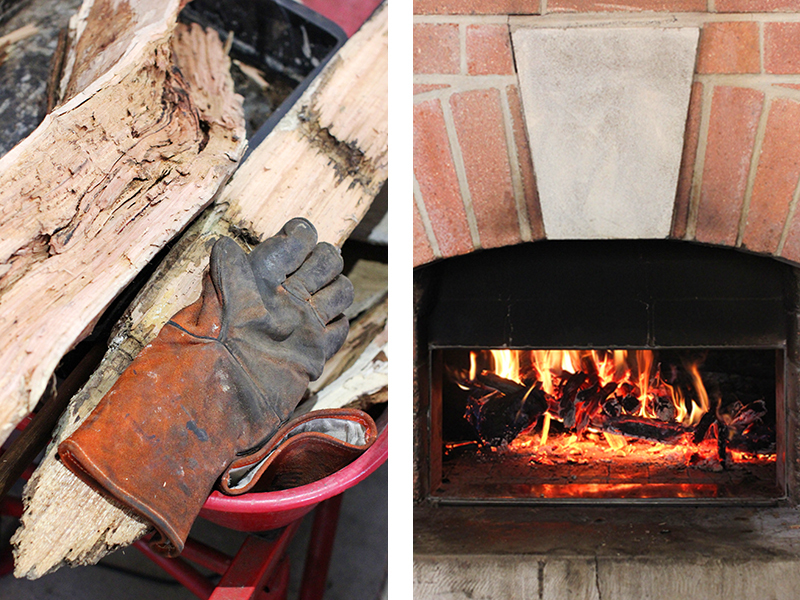 Some free time that week had allowed me the opportunity to spend a time out of the city in Pittsworth baking wood-fired breads with my friend Laurie. I always treasure the time spent with Laurie and Rhonda and try to breath in as much country air as I can possibly hold before making the trip back to my city home. 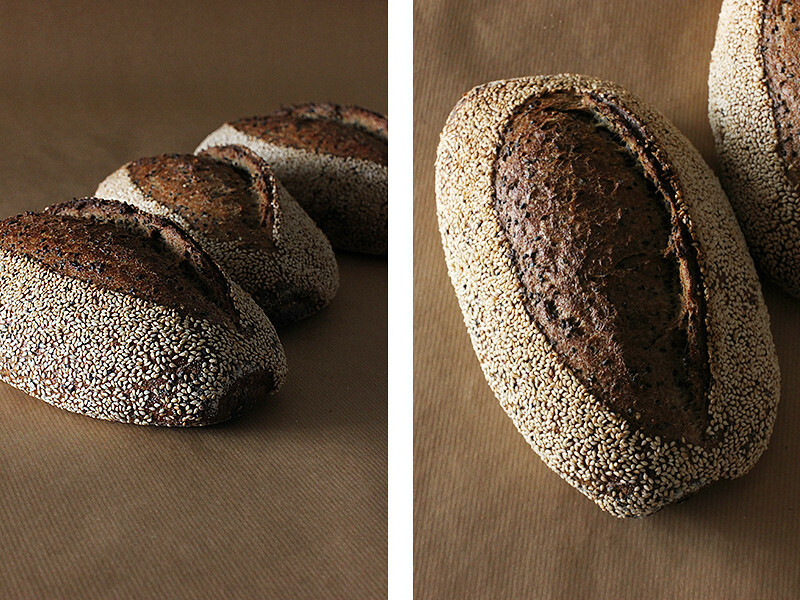 Arriving home I wanted to further pursue the wholegrain baking I have been working on—freshly milled flour, high hydration dough and sourdough starters. 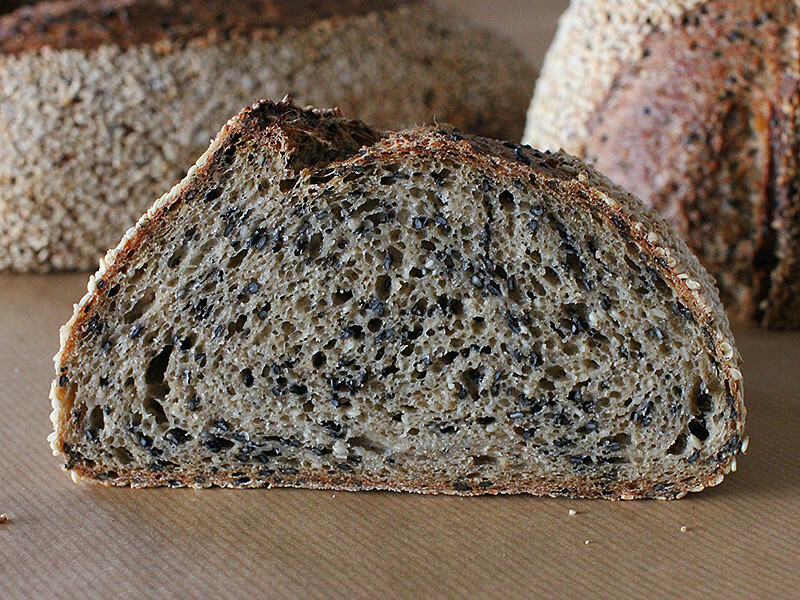 I had picked up a bag of richly coloured organic unhulled sesame seeds while out of town and this was to be the catalyst for a delicious bread. 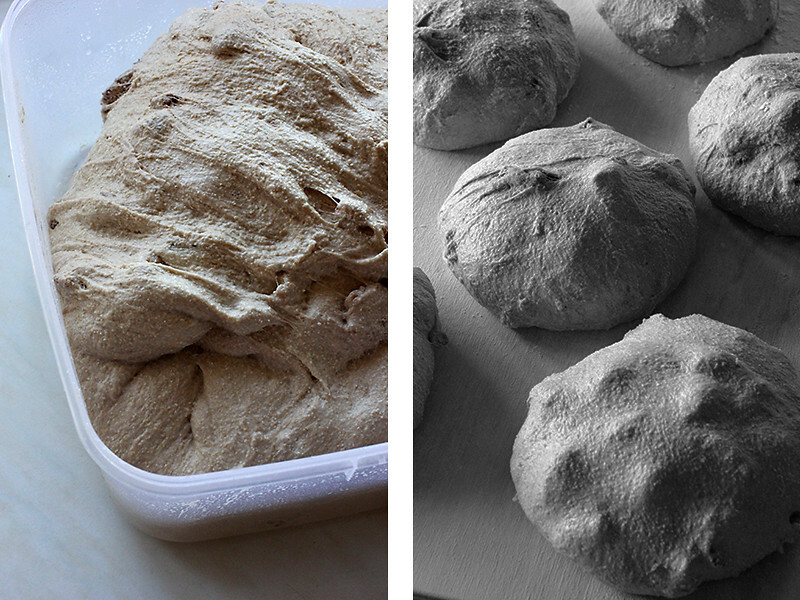 I am continuing the practice of retarding the wholegrain dough in bulk. 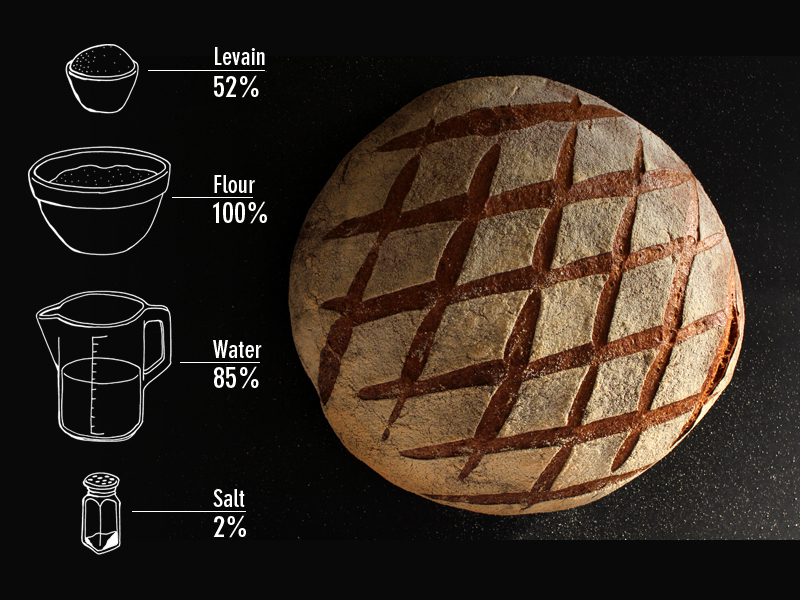 Not only does this control the fermentation, but it also allows for an extended ‘wet time’ … this is always a good thing when baking with wholegrains. 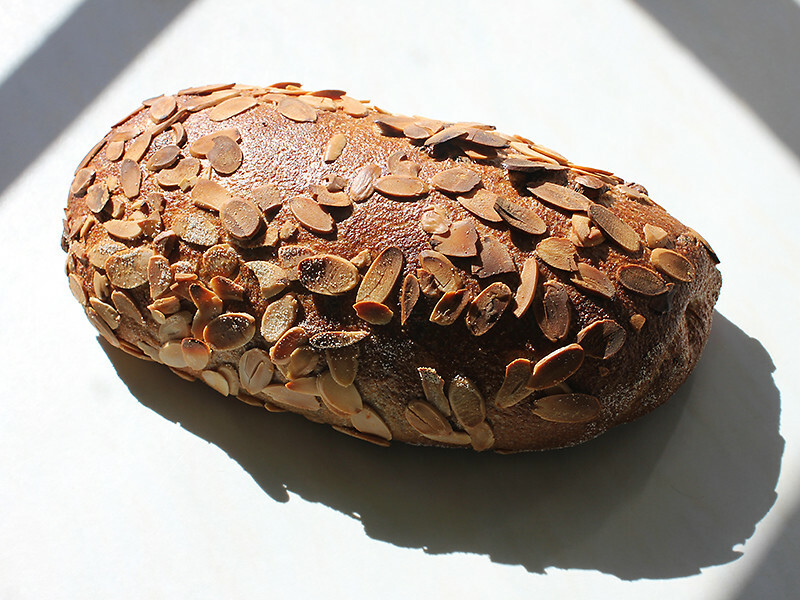 The roasted seeds mixed through the wet dough add flavour, texture and a softness that remains for days after baking. 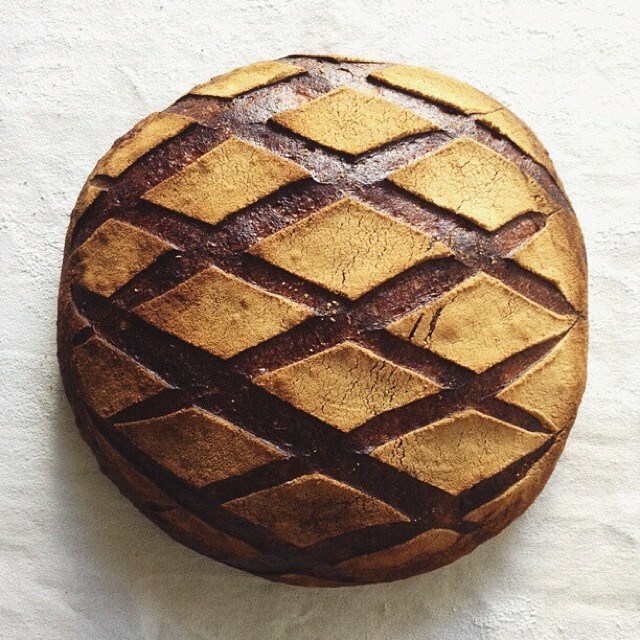 This is bread that tastes and feels as good as it looks. 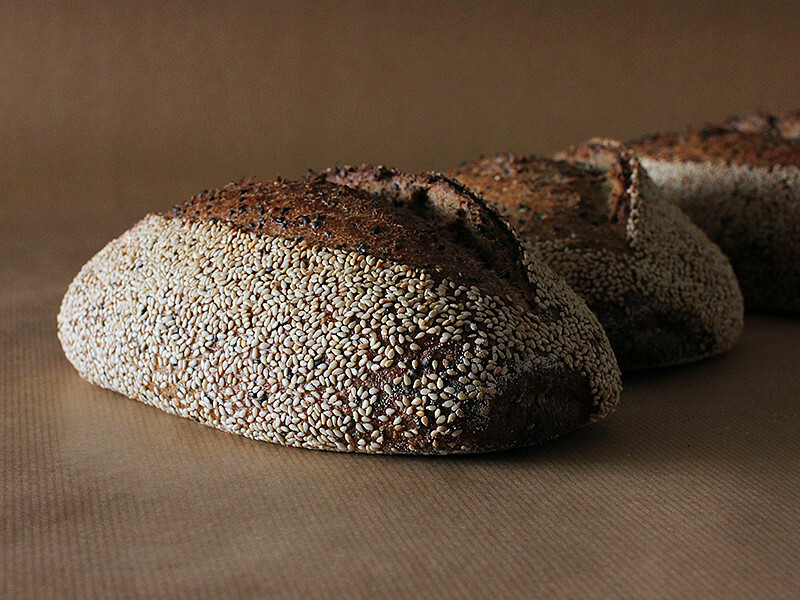 Roast sesame seeds for 10 mins. Turn occasionally to redistribute. Mill flour and mix with water (hold back 10% of water) and autolyse for 20 mins. Add starter to autolyse then mix in bowl for 5 mins. 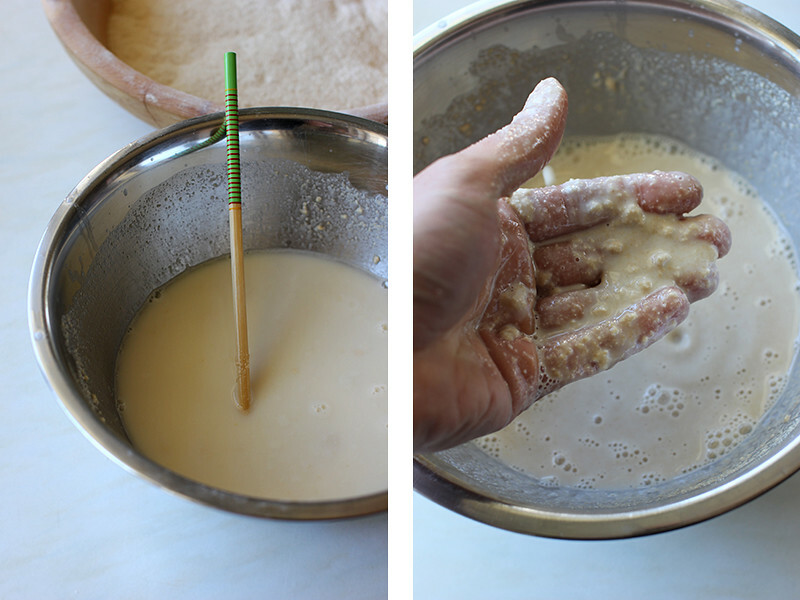 Add salt and remaining 10% of water and squeeze through bread to incorporate (dough will separate then come back together) then mix and squeeze a further 5-10 mins. 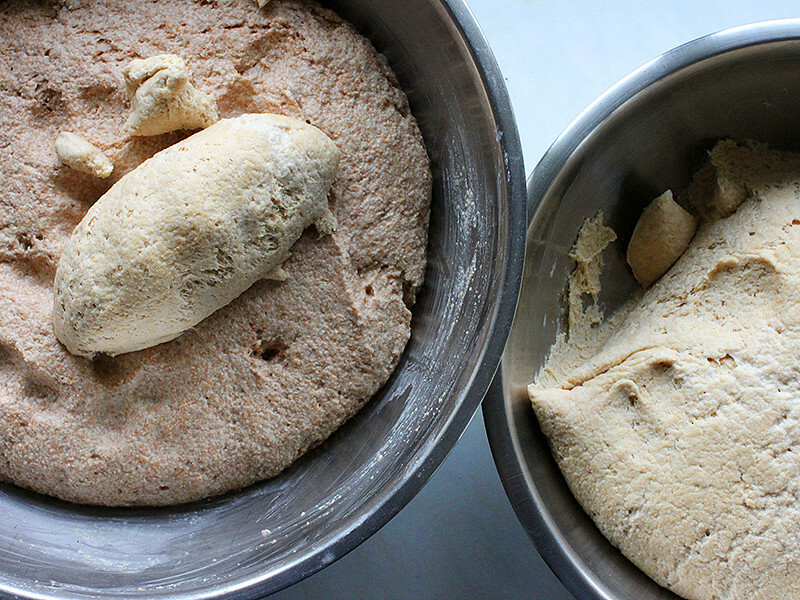 The dough is very wet but should start to feel some strength by the end of this mixing. 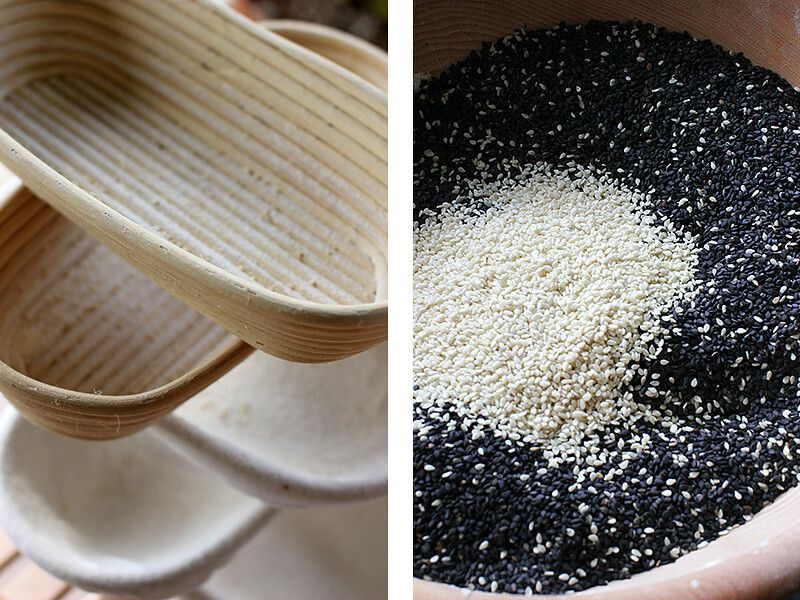 Add roasted sesame seeds at the end of mixing. Place in a fridge at 4°C for 15 hours. I gave the dough three folds at 30mins apart. 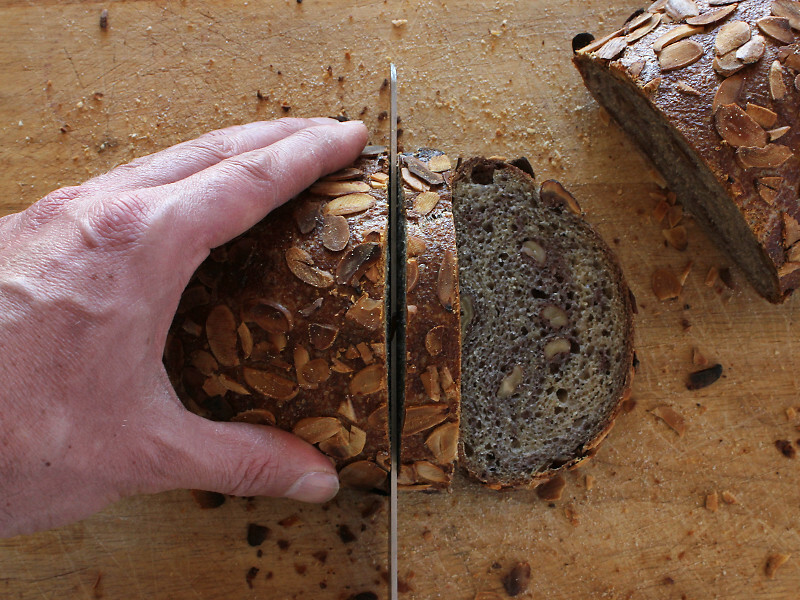 Increase or decrease the number of folds depending on the strength of your wheat. Remove from fridge. 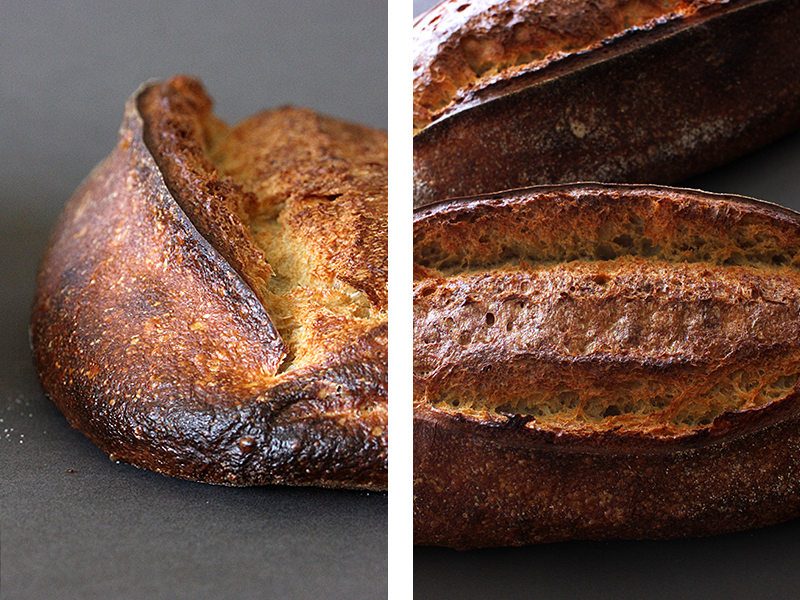 Divide at 750g. Preshape. Bench rest 45–60mins. 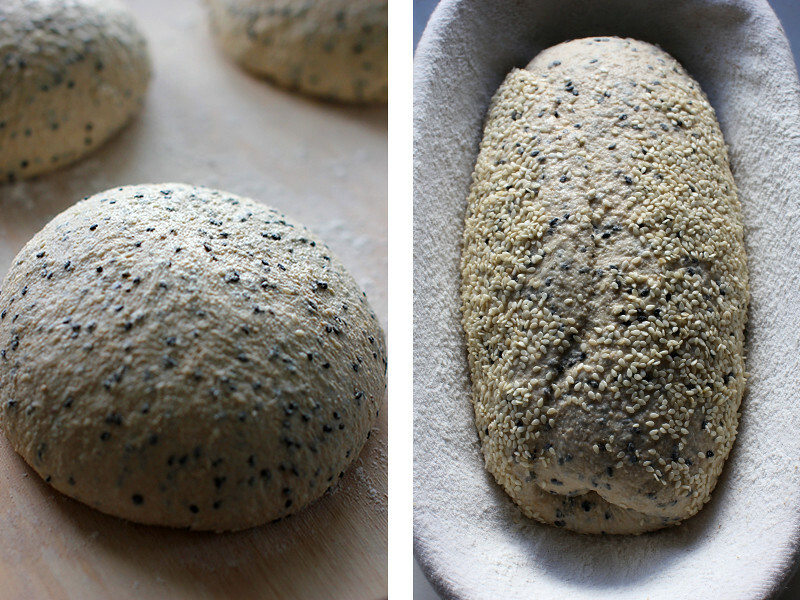 Shape and roll the dough on a wet cloth and then hulled sesame seeds. Proof in couche or narrow basket. 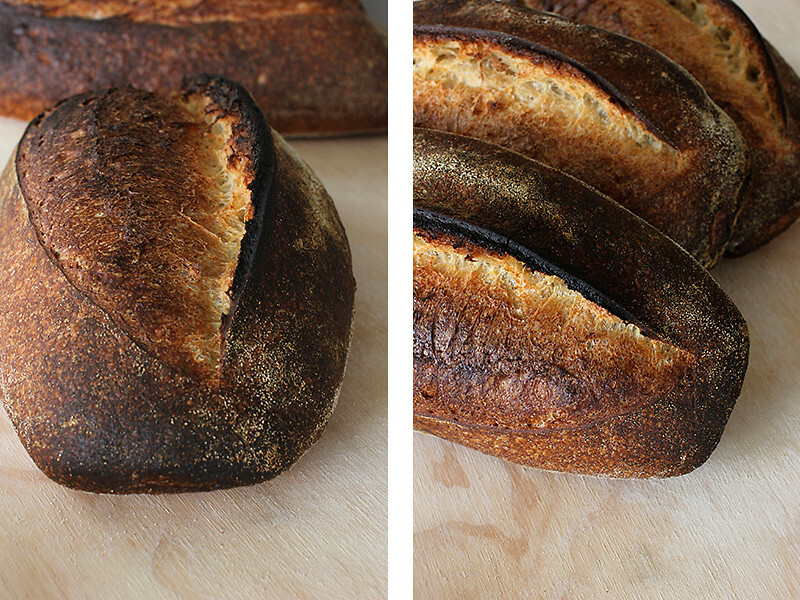 Final proof was two hours at room temperature. Watch the dough! Bake in a preheated oven at 250°C for 10 mins with steam. Reduce temp to 200°C then bake for a further 40 mins. The day before the bake while the oven was full of fire, Laurie and I travelled out along straight flat roads to local biodynamic farmer Barry Bowden. 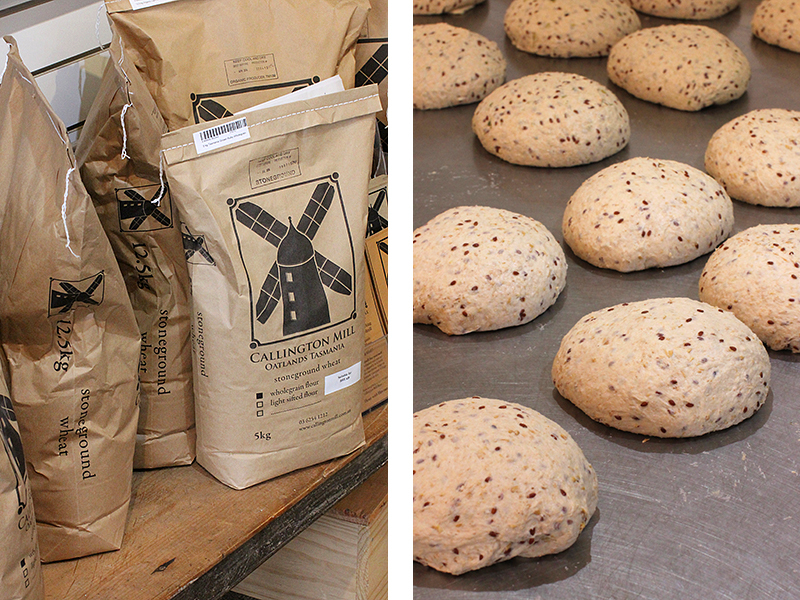 Barry is milling grains and selling flours under the name of Red Gum Milling. 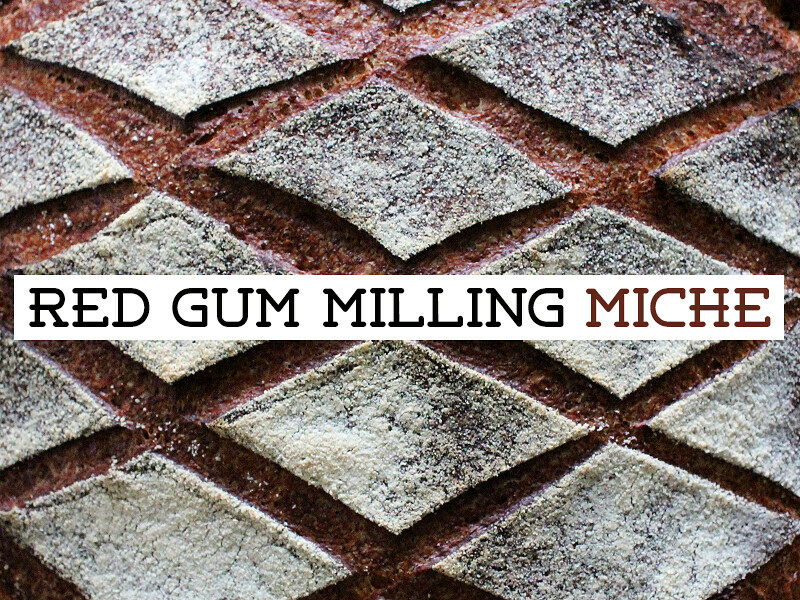 Laurie has been using Red Gum Milling flour for quite a few years now and I have always been a little jealous that he had such a great local resource at his disposal. 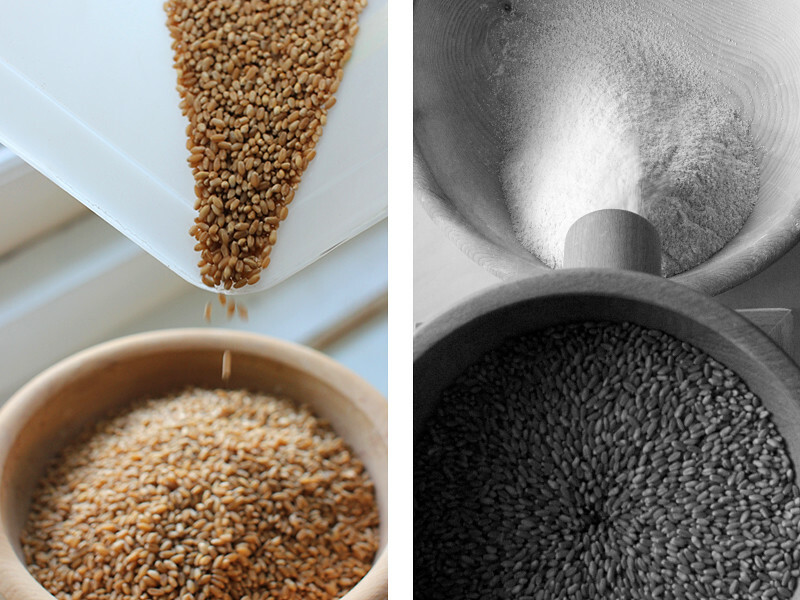 Barry is an ingenious bloke … he has built his own milling and sifting equipment that sits within a large flour-coated shed on his farm. 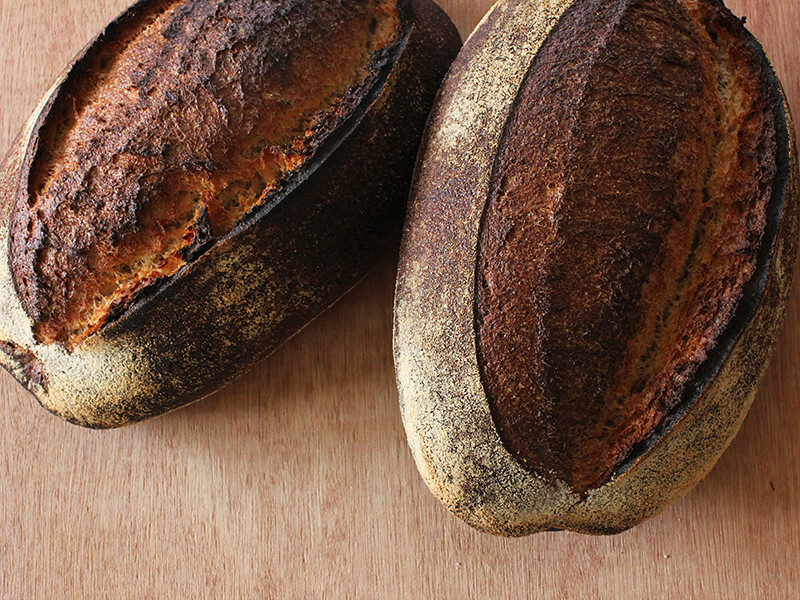 I arrived back in Brisbane a few days later with a few kilograms of Red Gum Milling’s ‘plain flour’and couldn't wait to bake with it. It is most definitely a high extraction flour, and although Barry couldn't give me an extraction level, I would guess that it was 80% or higher. 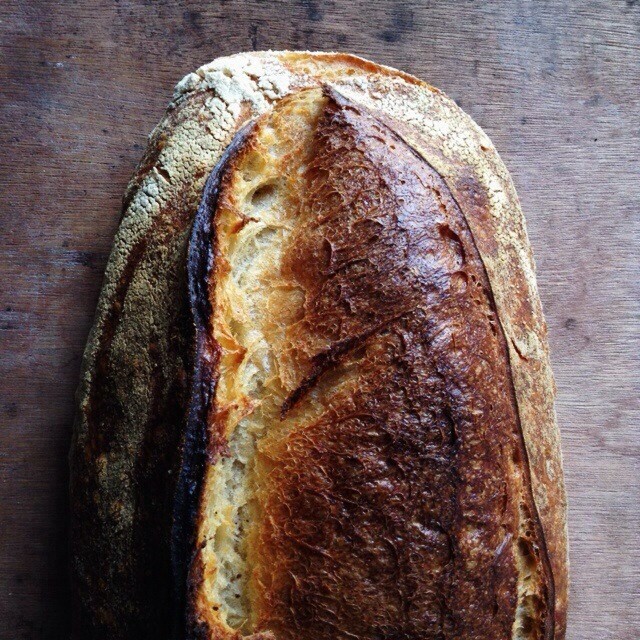 It has lovely golden colour and fresh aroma but what surprised me most about this flour was its strength. 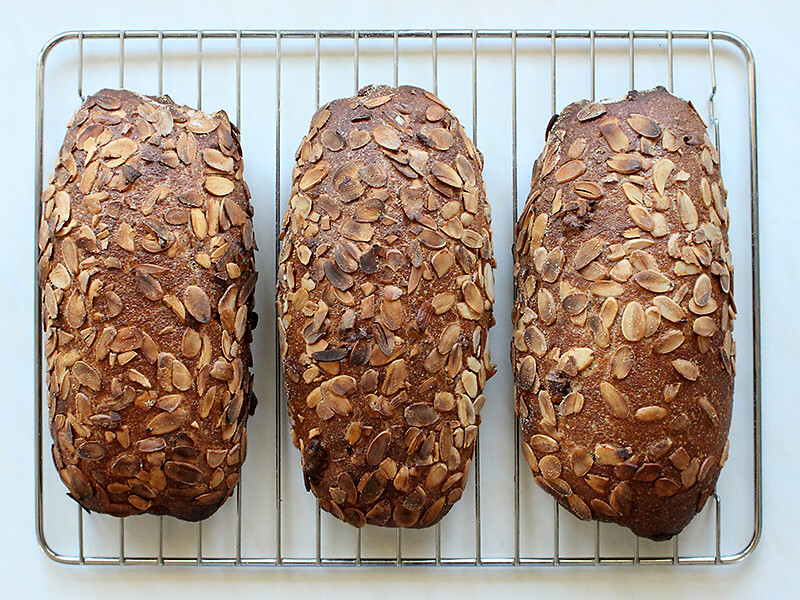 I have been baking a lot of wheat breads of late and I need to start diversifying. 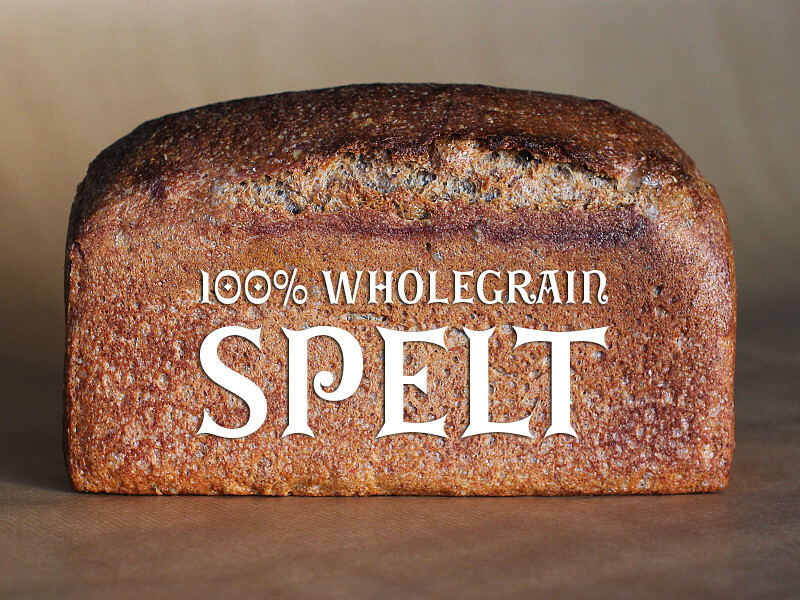 Spelt has been a long time challenge of mine, and although I have baked successful white spelt breads on a hearth, I find they are usually to dry for my liking. 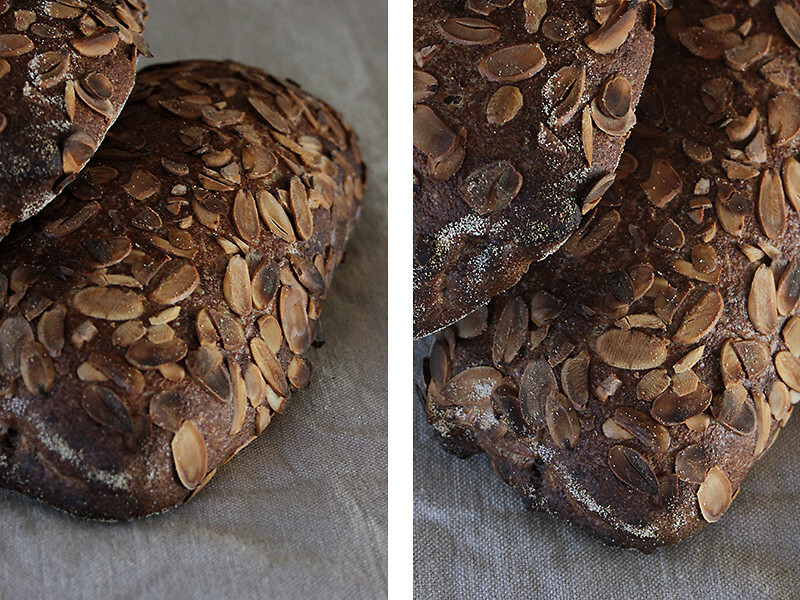 For me, it’s actually the colour of the spelt bran that is most appealing—rusty coloured bran that peels off nicely even in my little Komo mill. 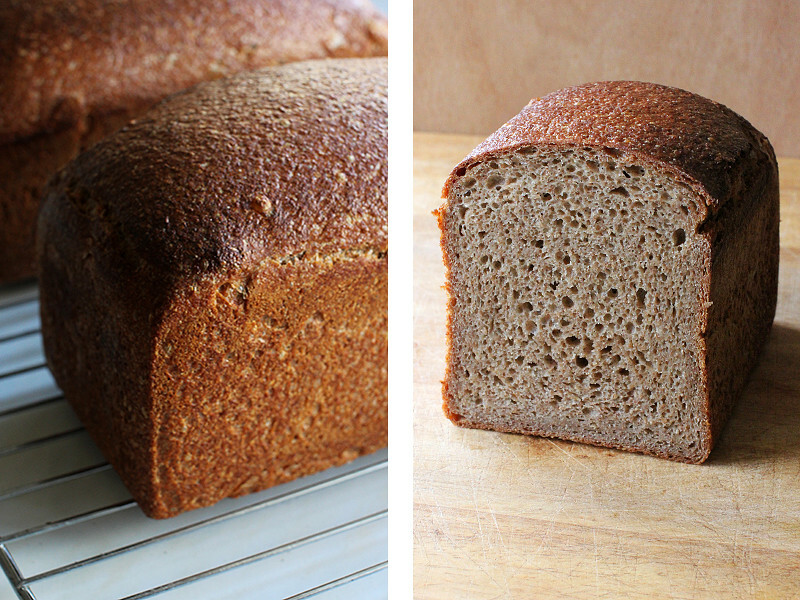 The nicest spelt breads I have eaten have been baked in tins—and this seemed to fit nicely with my current method of baking wholegrain breads using lots of water. 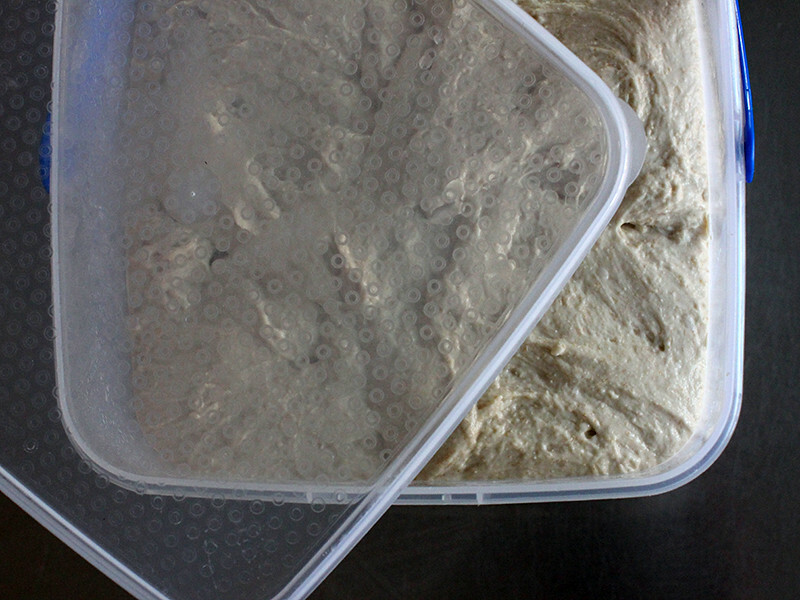 The tin supported the slack dough through it's final rise and pushed it further upwards during the bake. 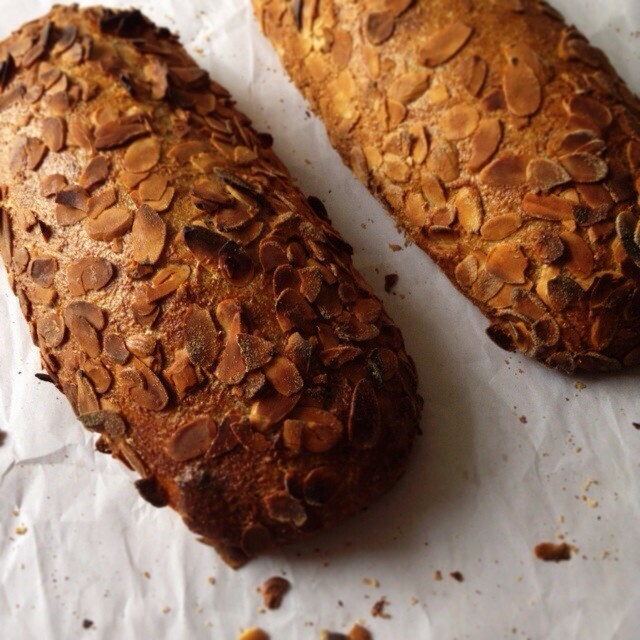 This has been my go-to bread all week … I cannot get enough of it! 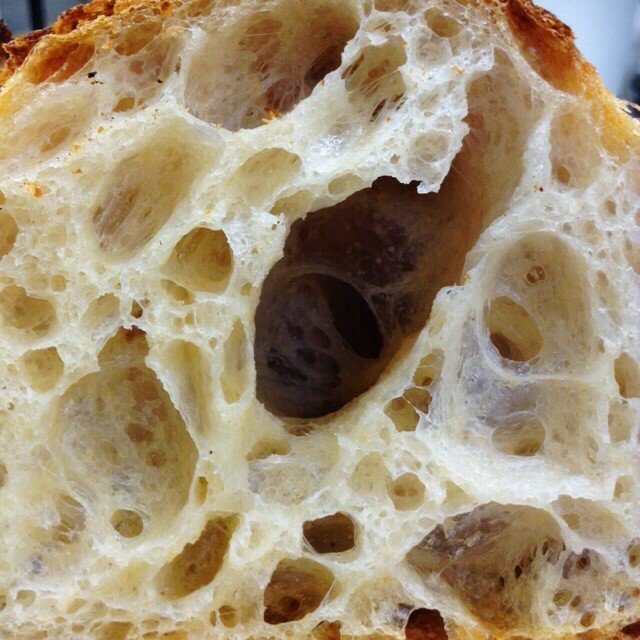 The crumb is soft and moist—hardly comparable to the dry crumbly feeling that some breads seem to have. Remove from fridge. Divide and preshape. 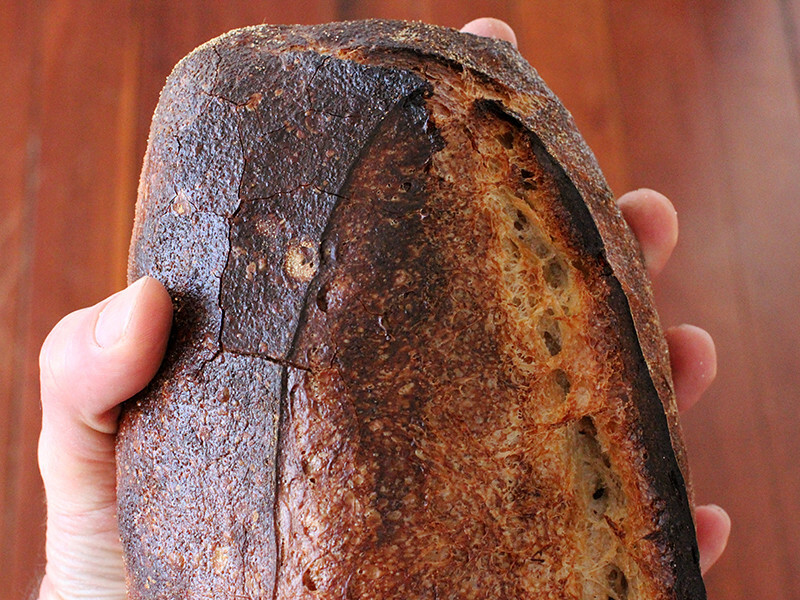 Final proof was three hours at room temperature. Watch the dough! Bake in a preheated oven at 250°C for 10 mins with steam. 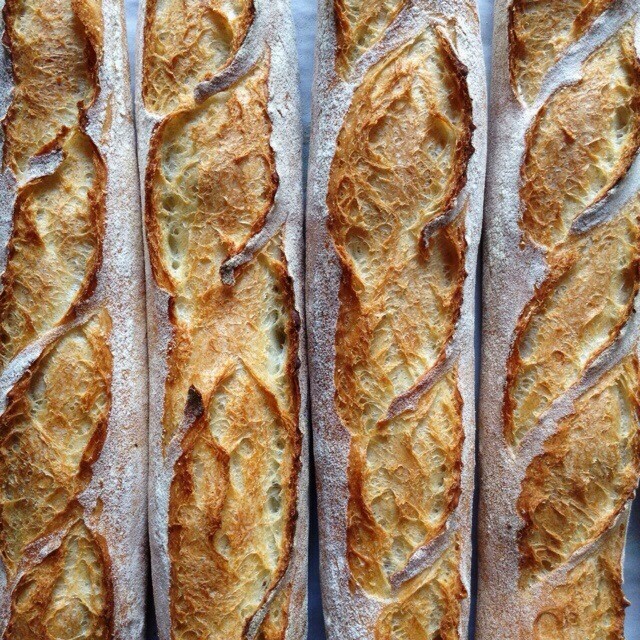 Reduce temp to 200°C then bake for a further 60 mins. 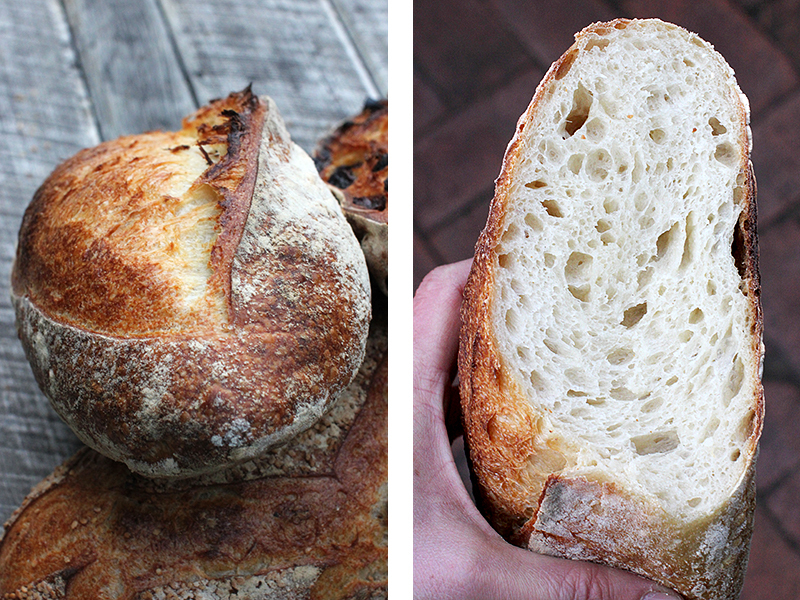 And it seems the word is out on the street that I am baking at home again … and this has meant quite a few ‘home sourdough’ have been baked for friends and family. Happy baking to all ... I know I am! A new prospect is on the horizon. This new prospect keeps me focused, keeps me pushing, keeps me mixing and baking. 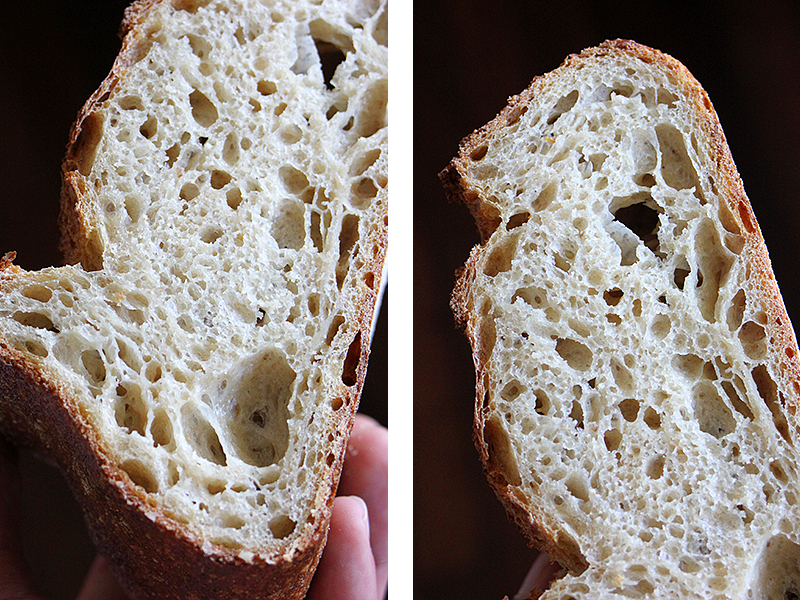 At breakfast and dinner my starter is fed freshly milled flour still warm from its transition from grain to powder. 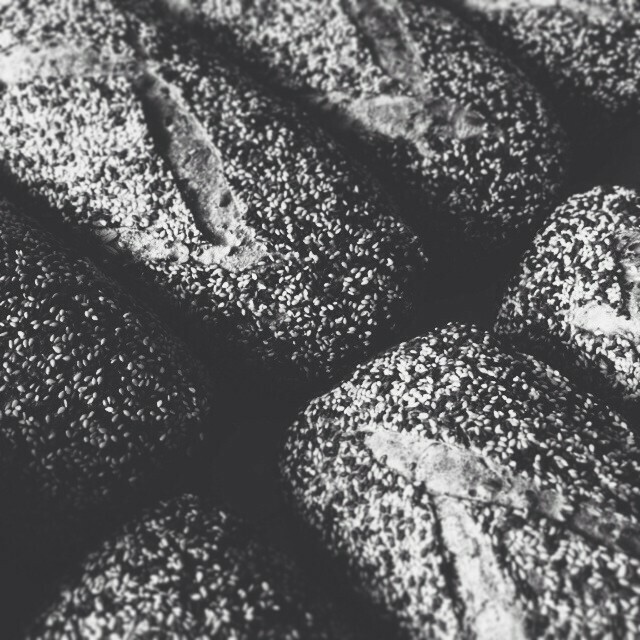 Everyday I watch, smell and taste the starter and notice how temperature and different milling techniques play a role in its development. The biggest change I have ever noticed took place this week when I changed my milling practice. Reading an article about Dave Miller in the 2012 Spring issue of the BreadLines newsletter I noted that he considered the flow rate of grains into the stones an important factor. I have no control over the high speed of the stones in the Komo mill so perhaps I could control the flow rate rather than just filling the hopper? So began a series of experiments in slow, time consuming milling ... grains trickled into the hopper bit by bit ... and the results? ... 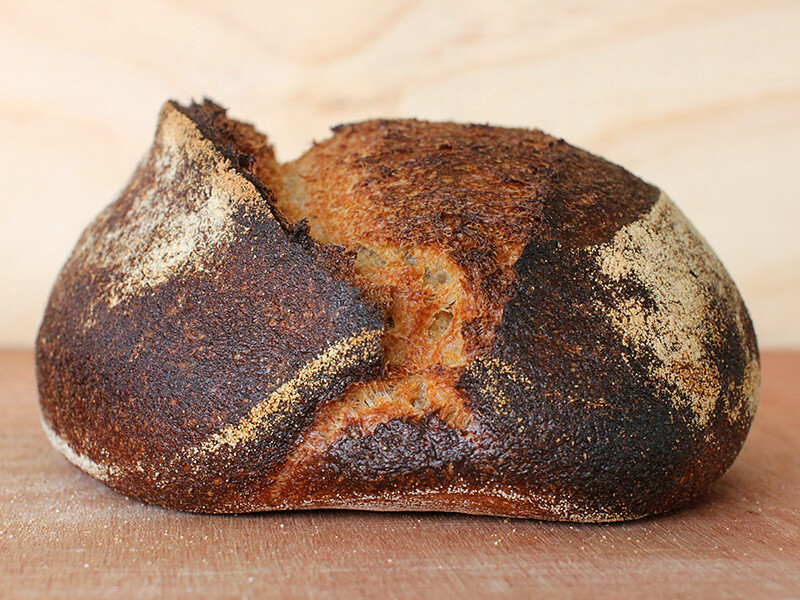 I started producing the coolest, finest flour that my little mill has ever produced. The flour was silky to the touch and no heat was created. 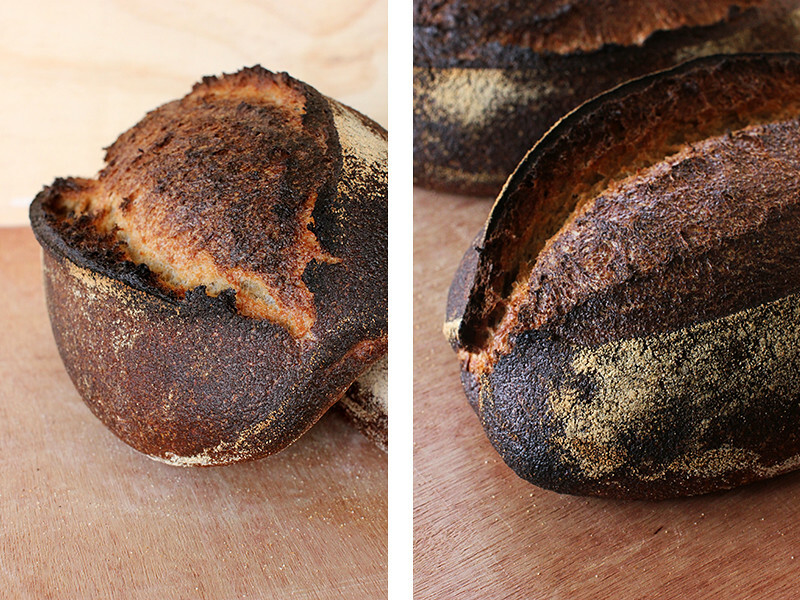 The change in flour had an immediate effect on the starter feedings ... Water was absorbed more rapidly in the mixing and volume had increased by 10% at the end of a cycle with even aeration throughout. Unfortunately there was a downside to this milling practice—one I am still to fully understand as I am not an engineer. The mill motor started to overheat quite badly when milling large amounts of grain ... noticeably ... I could smell it ... then it shut off. I had to wait for the motor to cool down before it would switch back on. (I was not even sure if it would) Needless to say I was a little stressed about this! So I have returned to my normal milling routine of producing high speed, high temperature flour, but all the time thinking of ways to slow this process down. 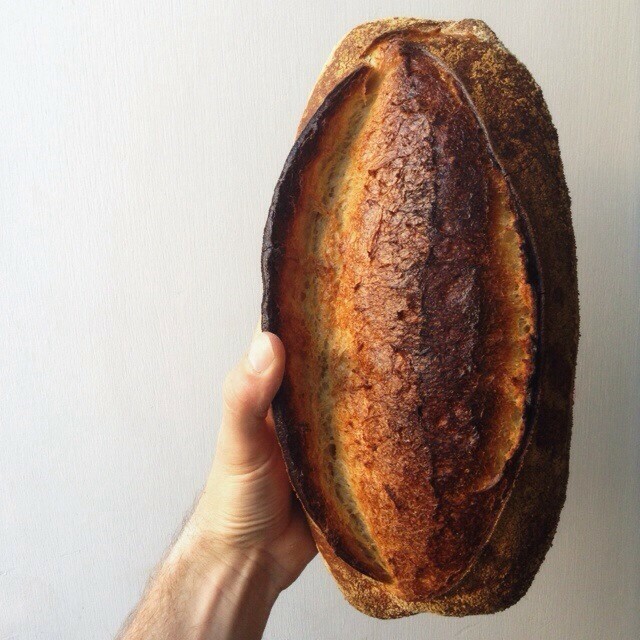 I came to the idea of utilising freshly milled grains by the way of Gerard Rubaud and his unending quest for flavour. This was a completely new idea for me having only been exposed to bags of flour sitting on store shelves. 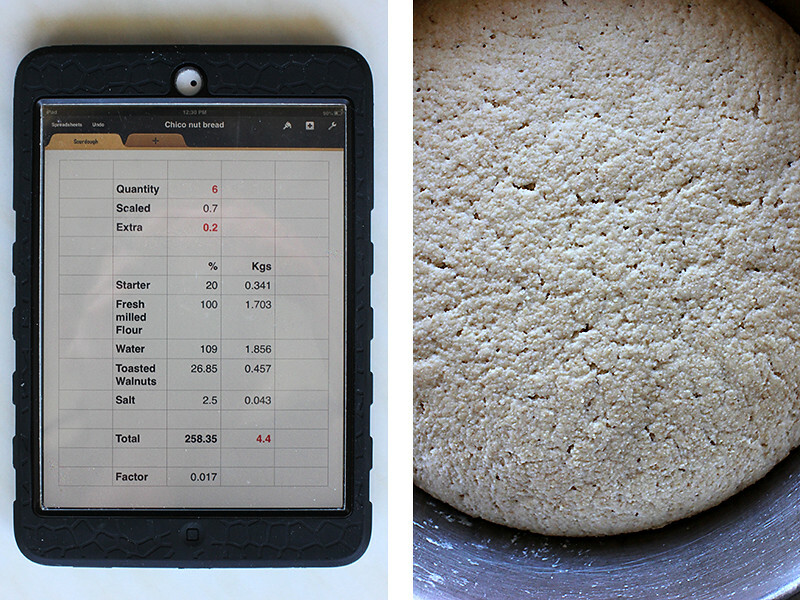 So I bought a small stone mill and from that moment when I first experienced fresh, sweet whole grain flour I knew I was hooked. 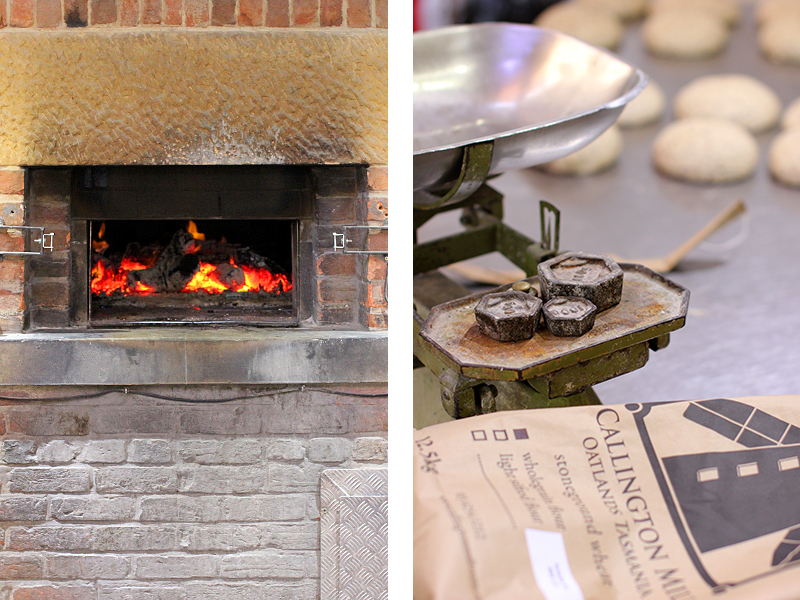 This ever increasing fascination in stone milling and how it can work within a bakery environment has been furthered along by the likes of Dave Miller of Miller's Bakehouse in Yankee hill. For Dave the mill is a necessary part of his bakery set up. His holy trinity he calls it - mill, mixer and oven. He is a one man show and for me is the epitomy of the local village baker. 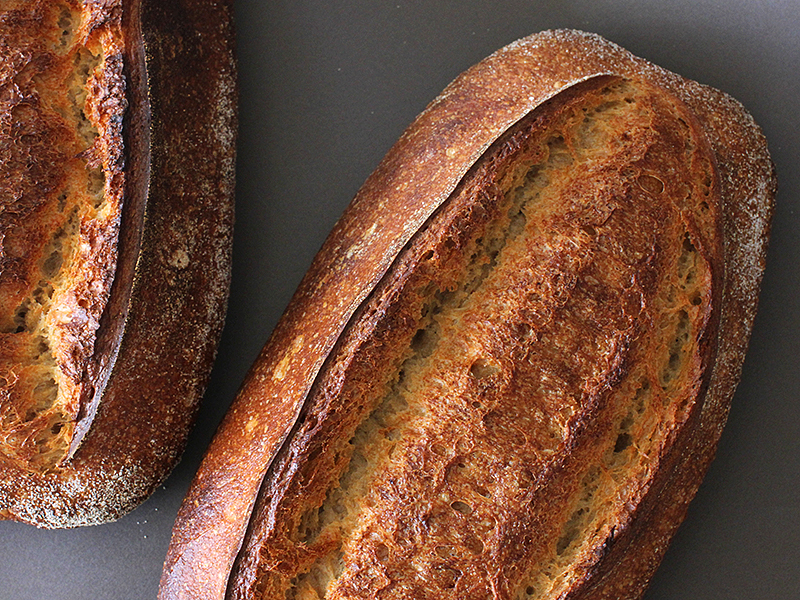 The wheat is grown, milled and made into bread—all locally. 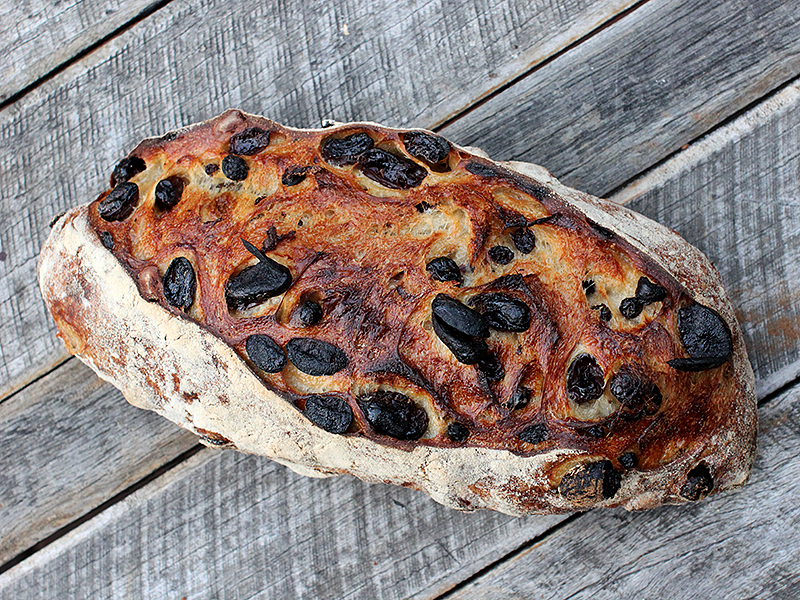 In the BreadLines newsletter Dave contributed a formula for his 'Chico Nut Bread'. 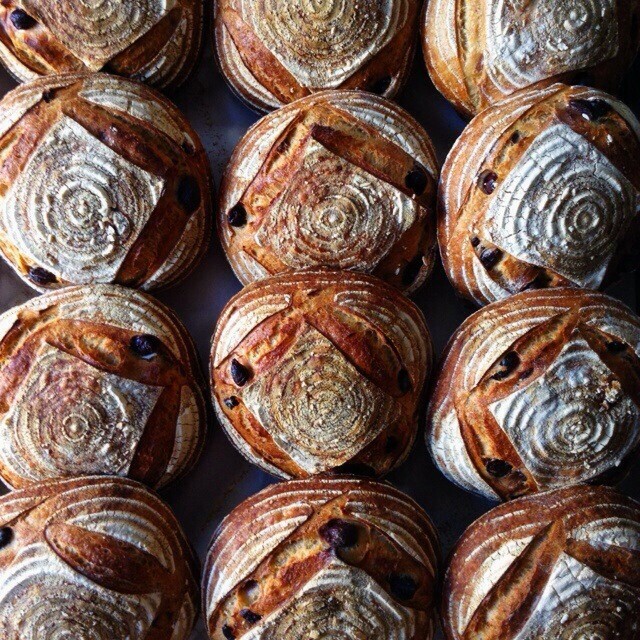 Chico, California where Dave sells his bread is surrounded by walnut and almond orchards ... "a natural choice for whole grain doughs" says dave. 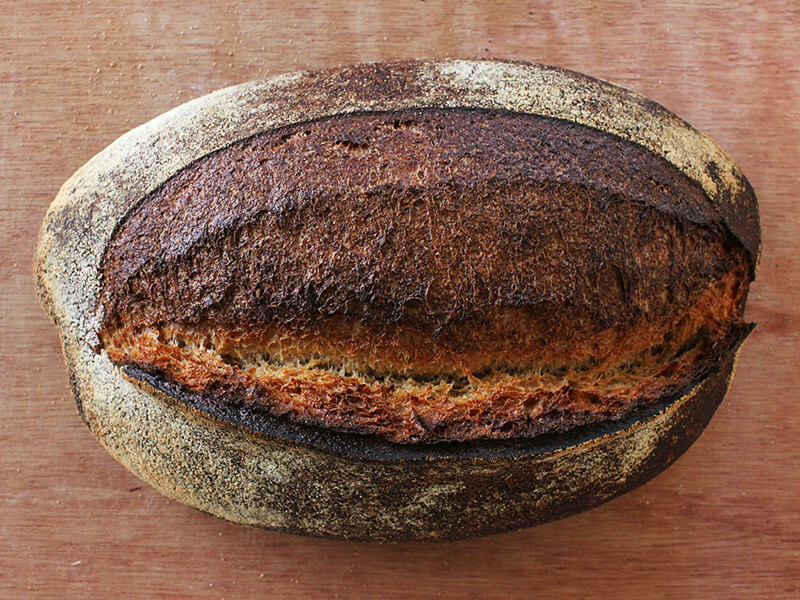 I was excited by this bread ... a walnut sourdough is one of my favourite breads to both make and eat. 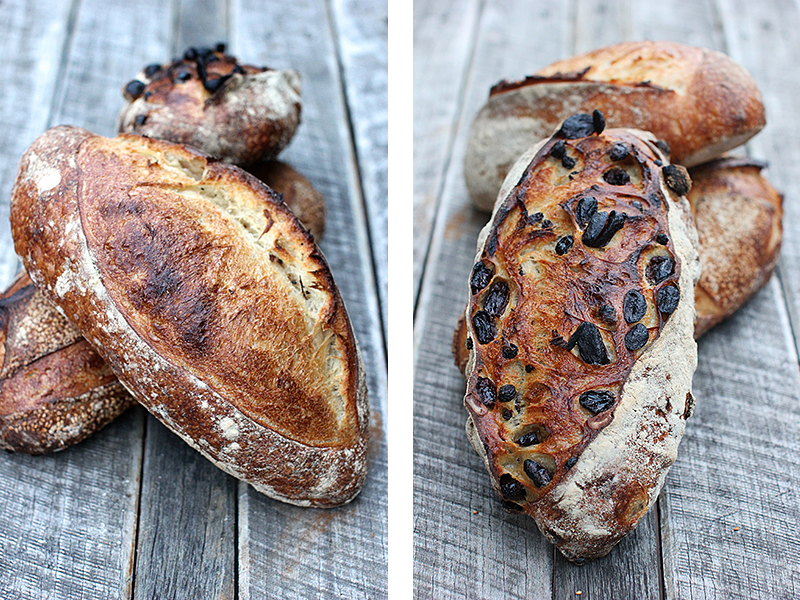 This is my adaptation of Dave’s process for home baking. 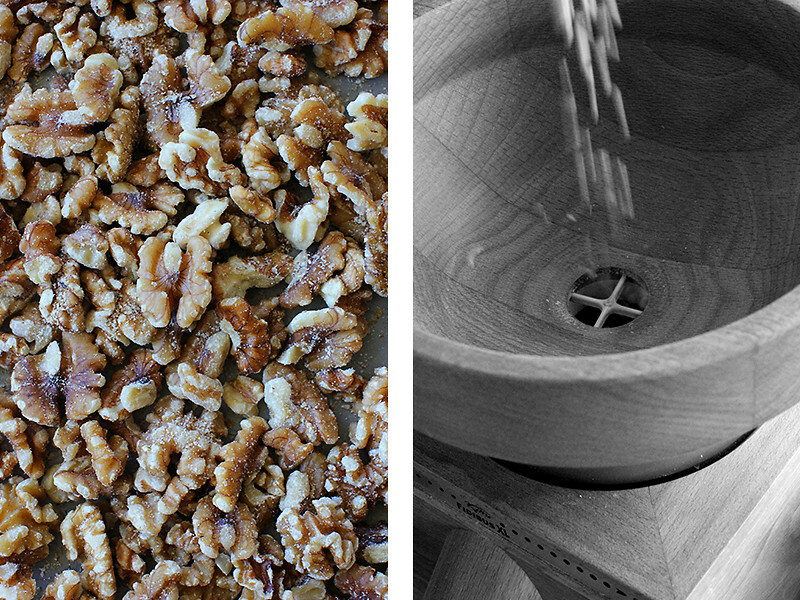 Add walnuts at the end of mixing. Place in a fridge at 4°C for 15 hours. I gave the dough a fold at 30mins and 1.5 hrs. Remove from fridge. Divide at 700g. Preshape. Bench rest 45–60mins. 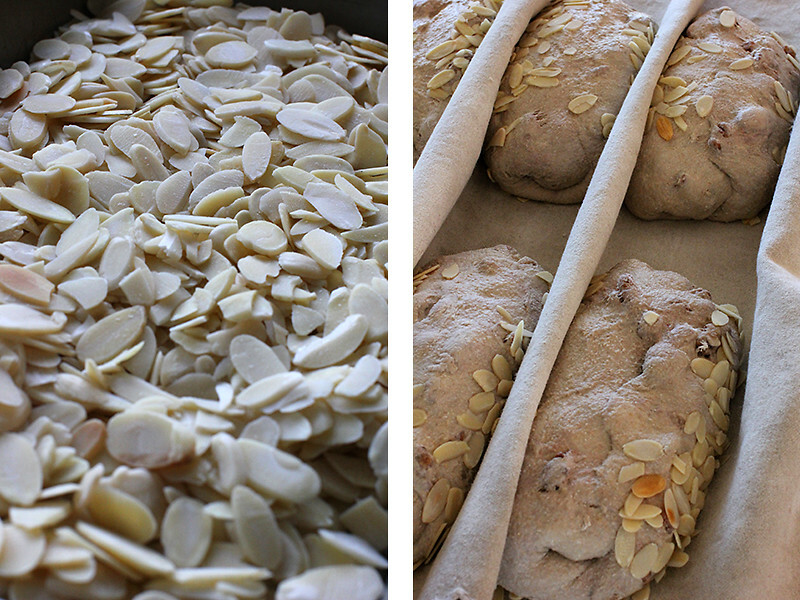 Shape and roll the dough on a wet cloth and then in sliced almonds. 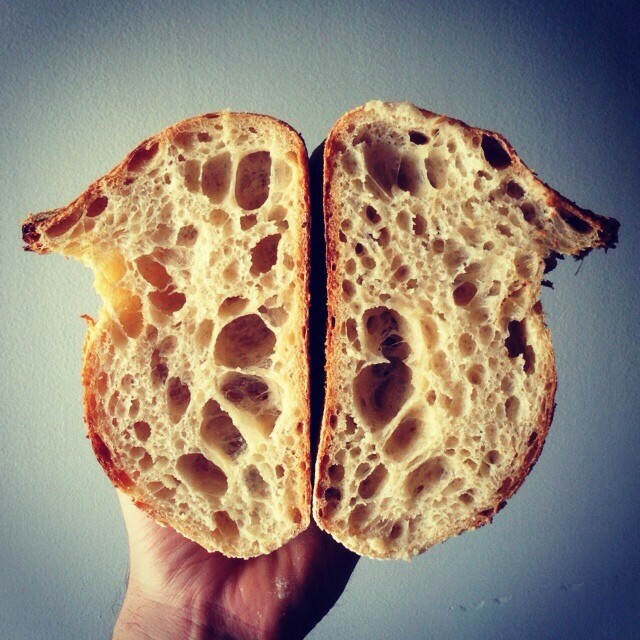 Proof in couche or narrow basket. 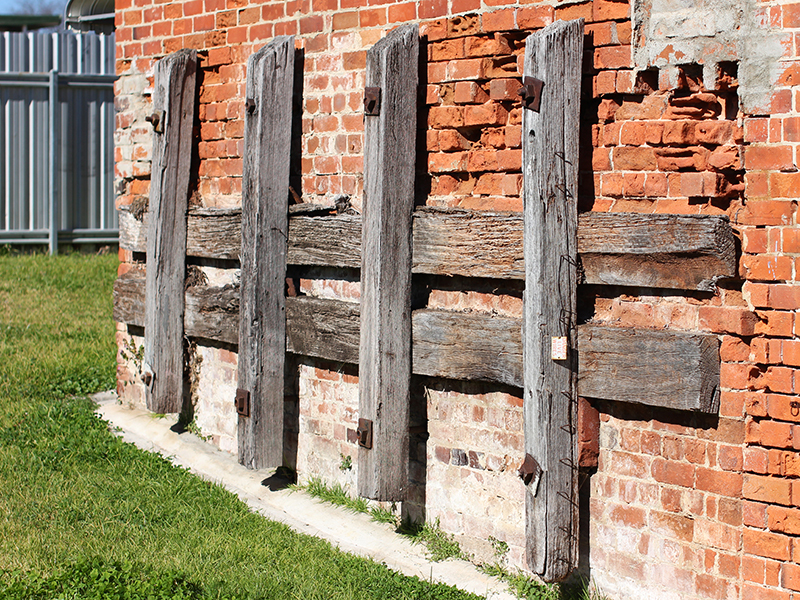 Work quickly, utilise your scraper and be brave! This is the most alive feeling wholegrain dough I have ever made. It is a little hard at first to believe the amount of water that is being poured into the bowl and even after the autolyse I was nervous. 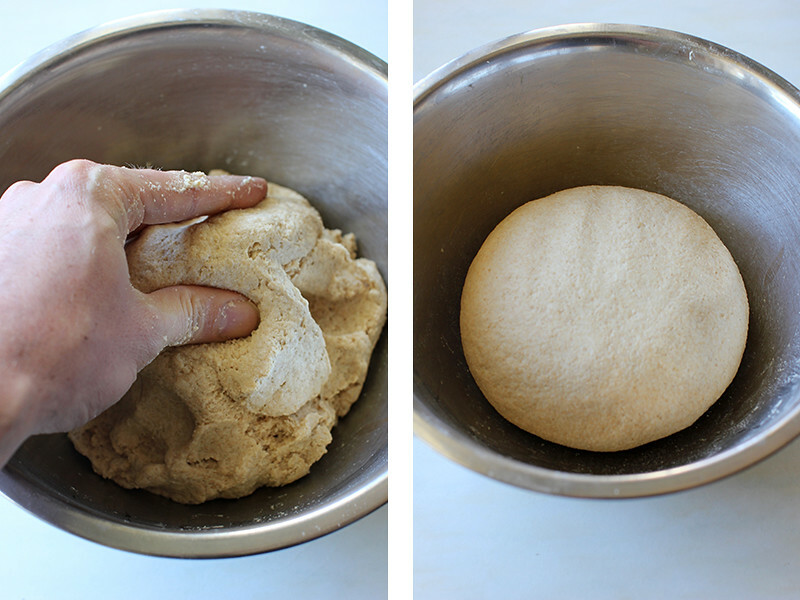 Mixing is the only way to describe the initial dough development. 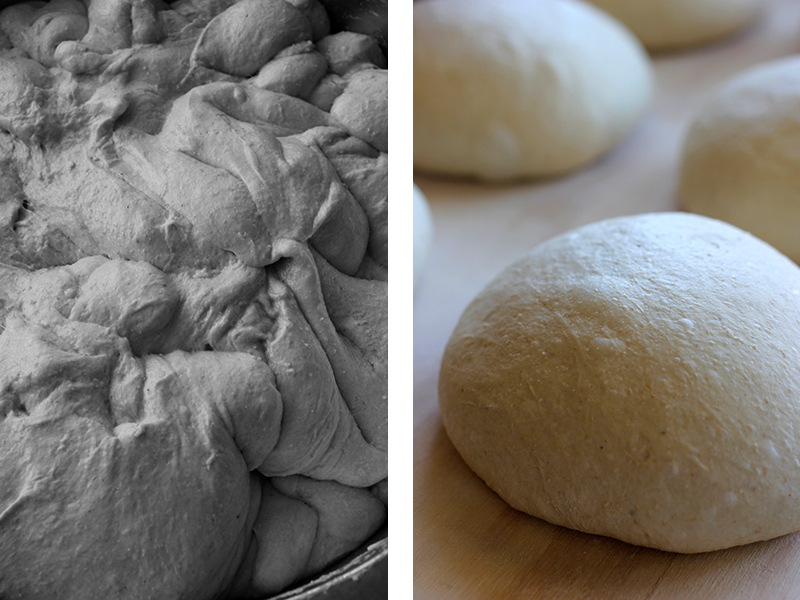 I dared not take it out of the bowl and used both hands to squeeze, fold and turn the dough … it’s not until you perform folds during bulk ferment that you feel the strength really increase. 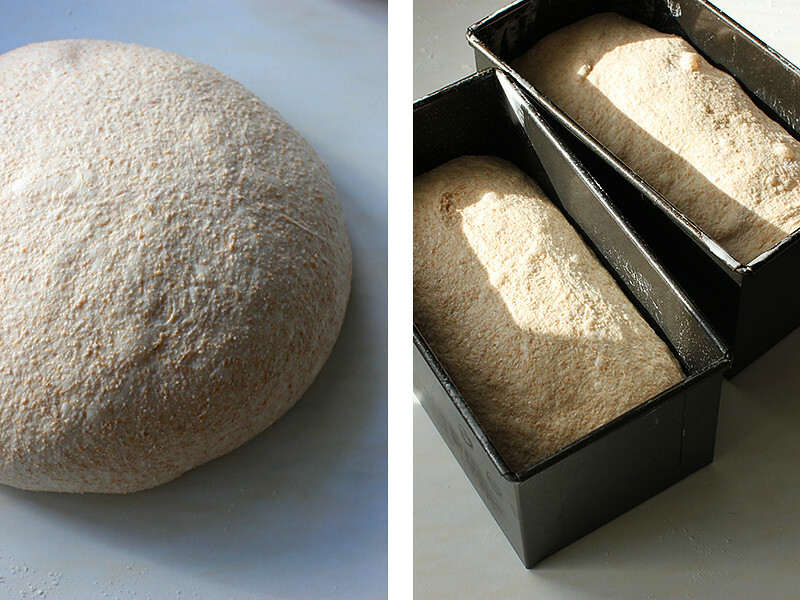 The long cool bulk ferment also allows for maximum water absorption and makes handling the dough a little easier the following day! 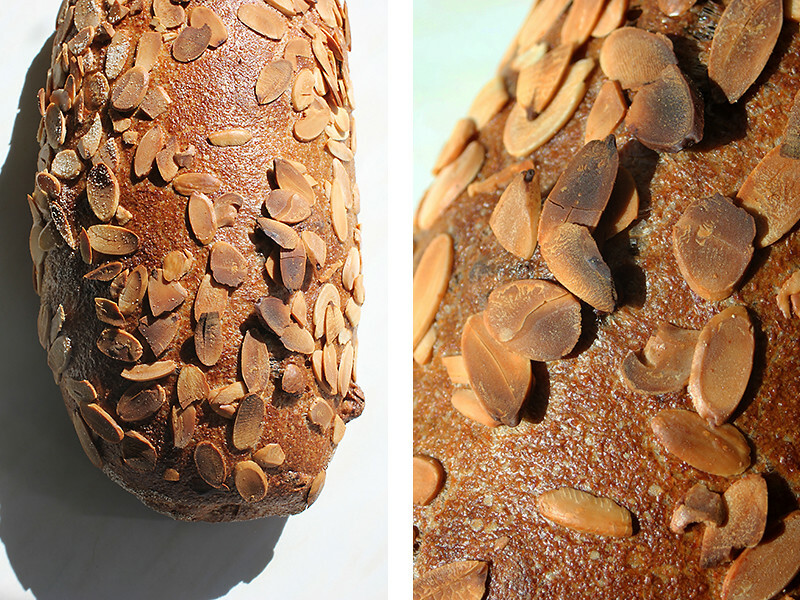 The toasted almonds scattering the outside makes for beautiful looking bread bursting with texture and aromas … but it was the taste that won both Nat and myself. 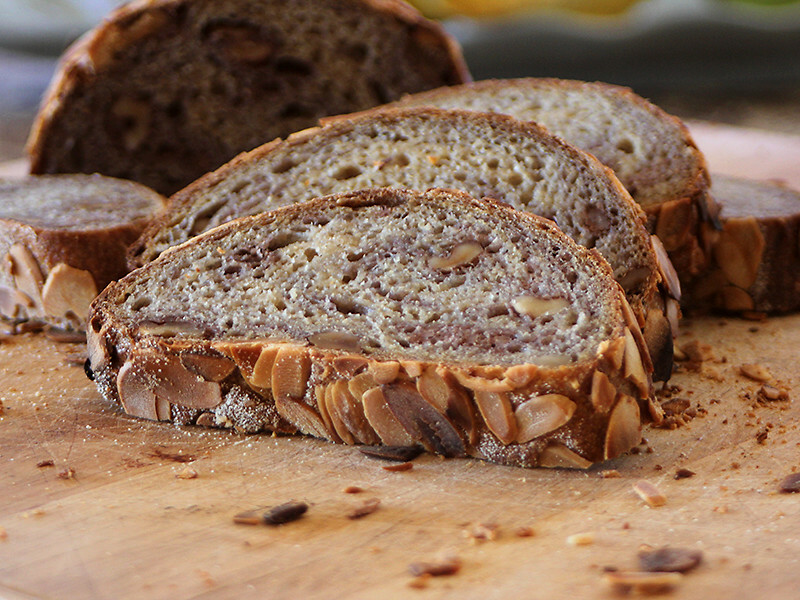 The walnuts and almonds flavours almost seem to merge and it’s hard to distinguish between them—making indeed a true ‘nut bread’. 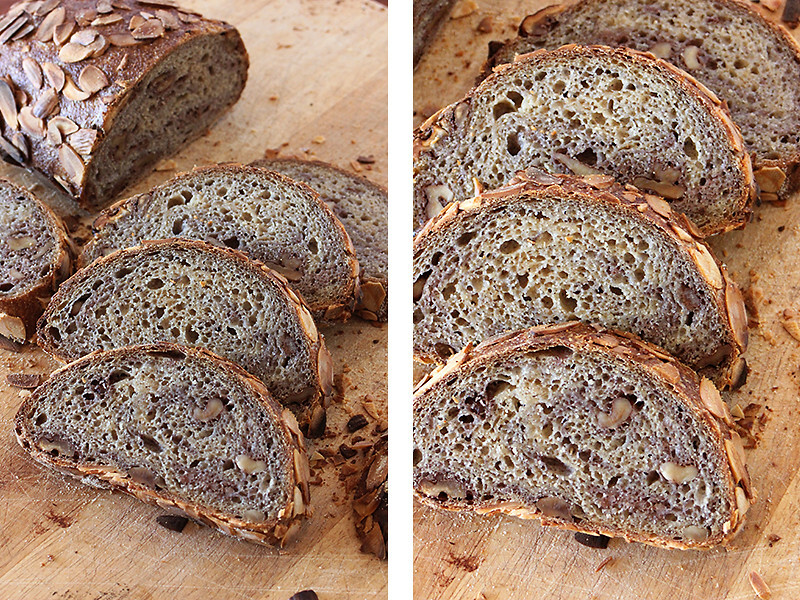 The walnuts give the crumb a creamy texture and it’s characteristic purple hue. 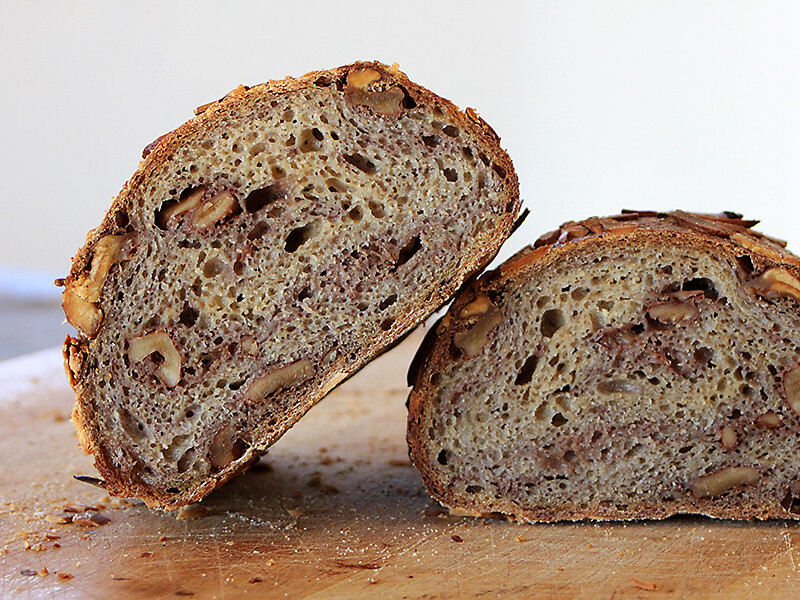 We love this bread toasted until the walnut pieces turn white within that coloured crumb. 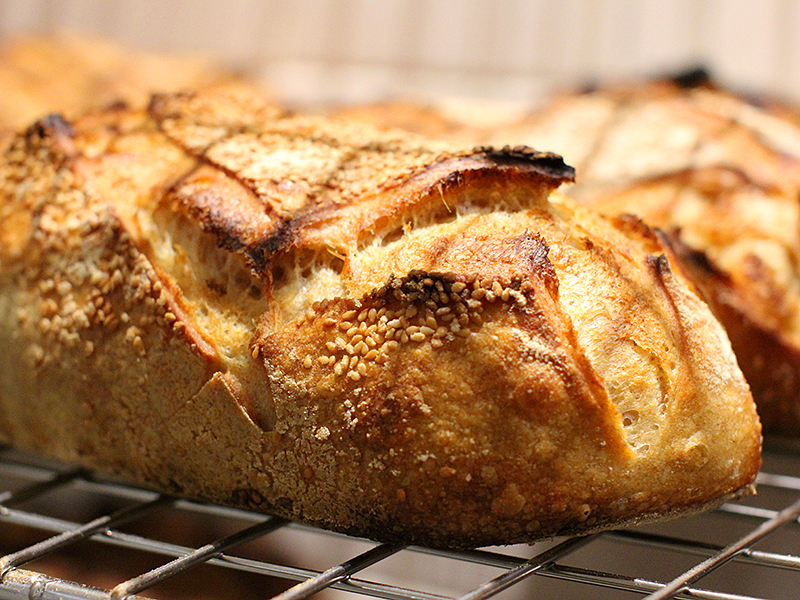 For the first time in five months I baked bread at home and it made me very nervous. 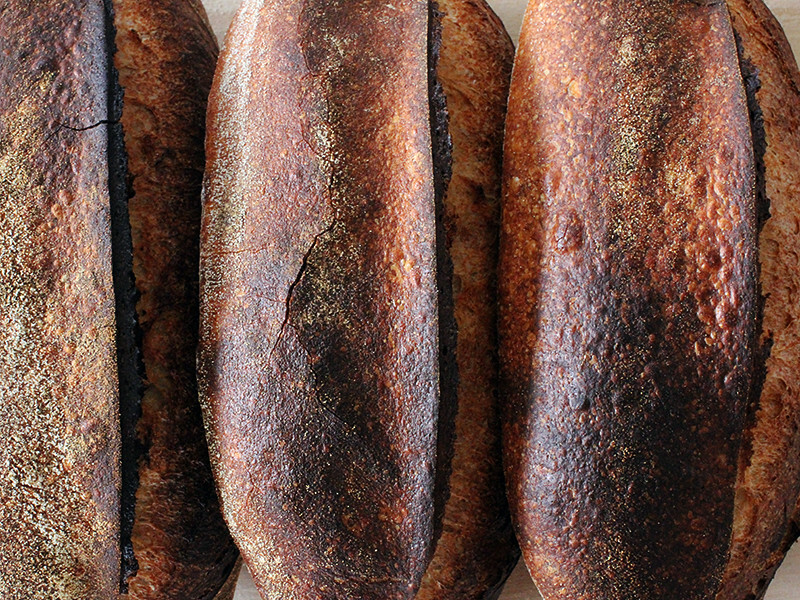 It is an entirely different proposition to make a hand full of breads in a home oven as opposed to the rhythm and flow that working in large batches provides. My attention and perfectionist streak is focused on too few ... the dough is essentially the same (though not quite as rewarding) ... but the loading of a home oven is problematic and inefficient. 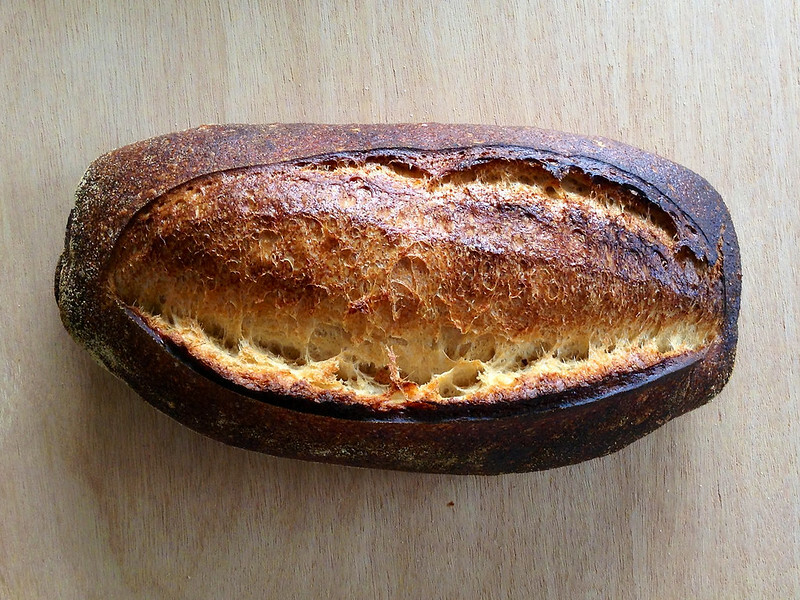 ... the nicest dough in the world can be ruined by a lousy oven. So while my time with a wood-oven at Chester St has come to a close it seems that more possibilities may be ahead of me soon. 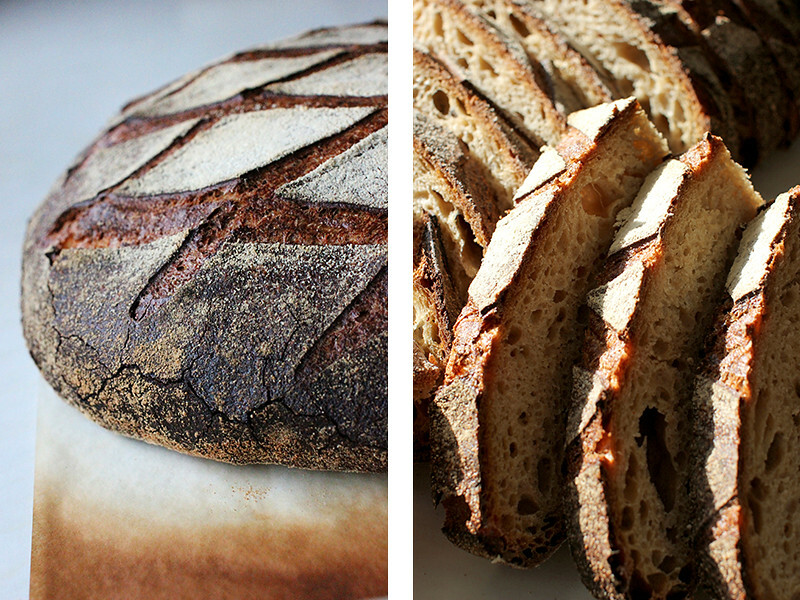 Bread is my way forward ... it is my future ... but in the meantime I am thankful for some time to spend with my family and friends ... they have missed this busy baker. There has been sadness this week though, as my good friend Daryl sadly lost his father Keith Taylor. Daryl worked with me in the kitchen at Chester St and his parents would visit us on occasions which was always a treat. 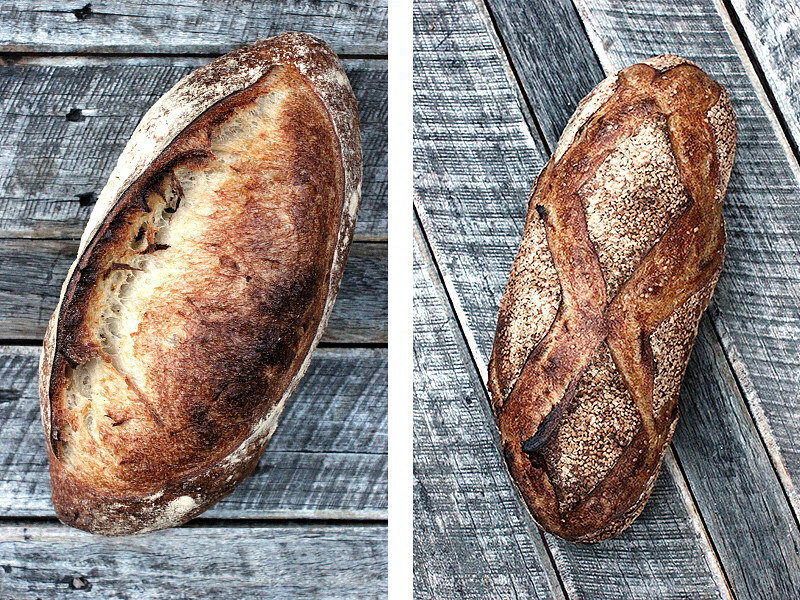 Keith would stand opposite my bench and chat as I busied myself shaping or rounding loaves. He loved bread ... it was from his past ... it was a part of him. 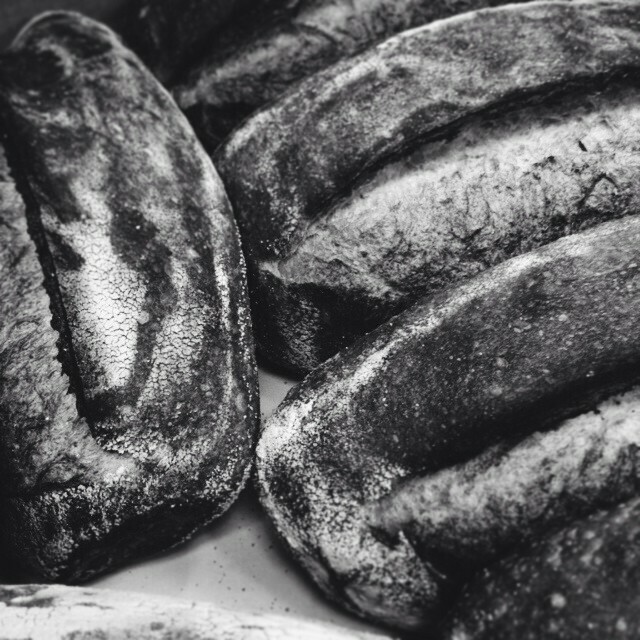 As a young boy his father owned a bakery in Brisbane running a large scotch wood-fired oven and Keith was granted a special license at the age of 14 to deliver bread to the local community. 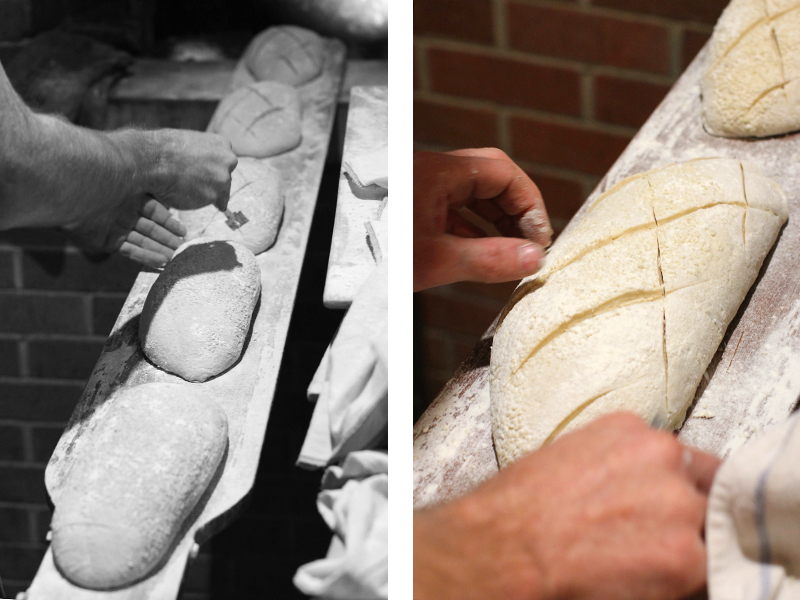 The smell of dough and baked bread transported him back and he had many tales to tell. I will cherish those talks. My time at home has also allowed me to catch up on another activity ... reading. The latest book I am ploughing through is Cooked: A Natural History of Transformation by Michael Pollan. 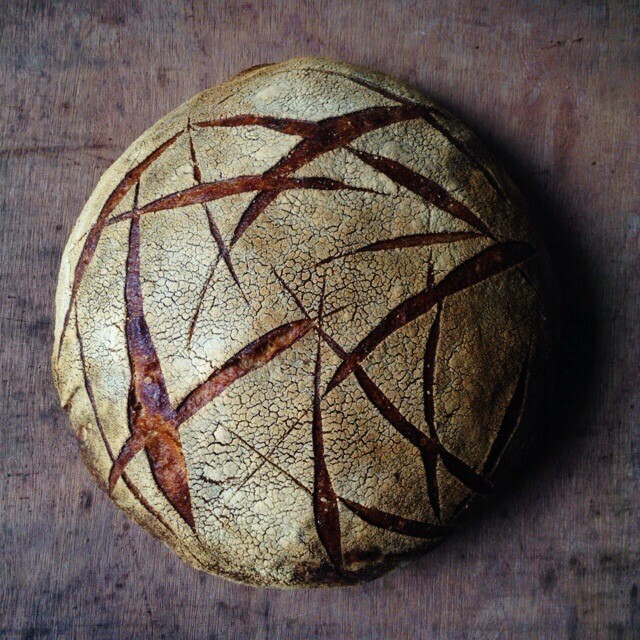 In it he has a chapter called "Air" which is related to bread fermentation where he discusses the many aspects of bread and its production with the likes of Richard Bourdon, Chad Robertson and Dave Miller (my biggest bread influences). 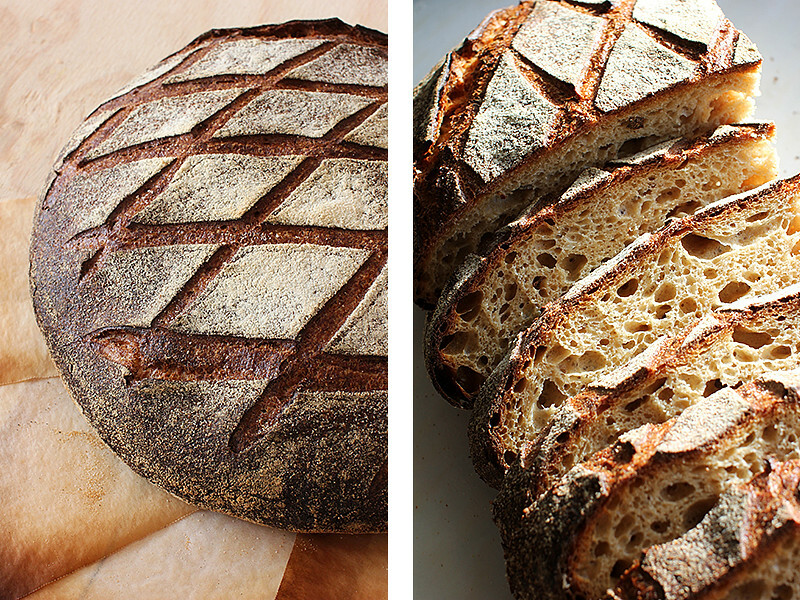 While reading this I was inspired to begin milling and fermenting freshly milled flour. I couldn't help but do it ... I had to ... 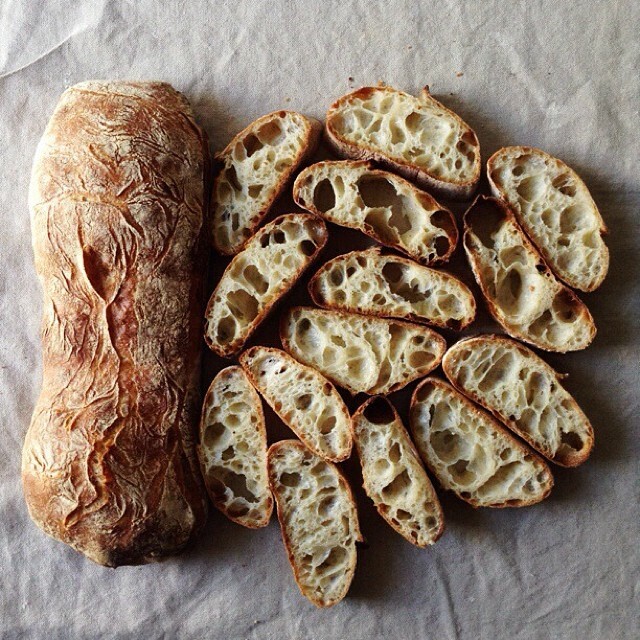 It has been so long since I have made honest heart-felt bread like this. 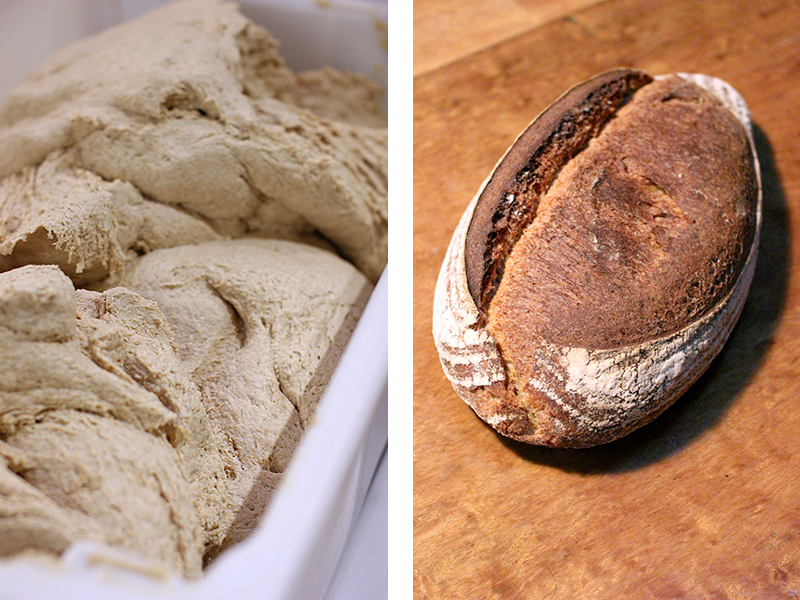 This formula is influenced by Dave Miller's method of milling and mixing on one day then shaping and baking the next. 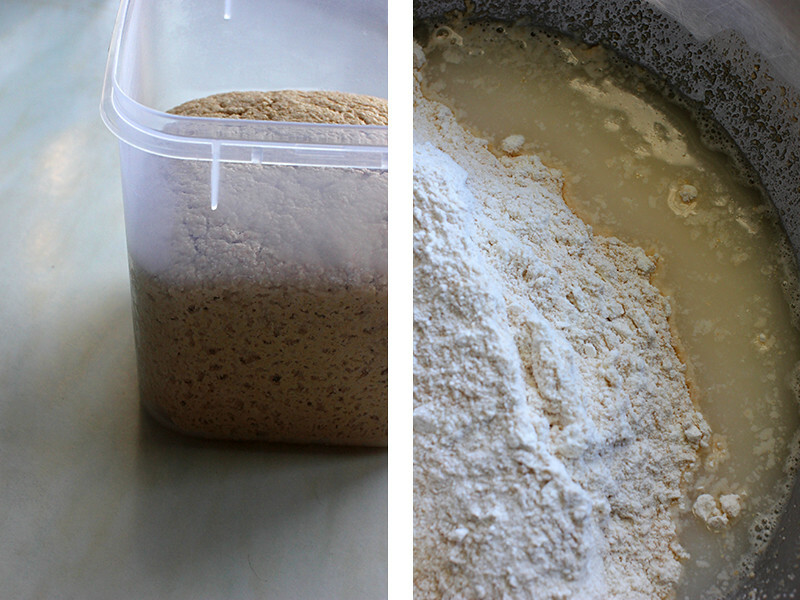 Mill flour and allow to cool to room temperature before mixing with water (hold back 100 grams of water) and autolyse for a one hour. Add starter to autolyse then knead (French fold) 5 mins. 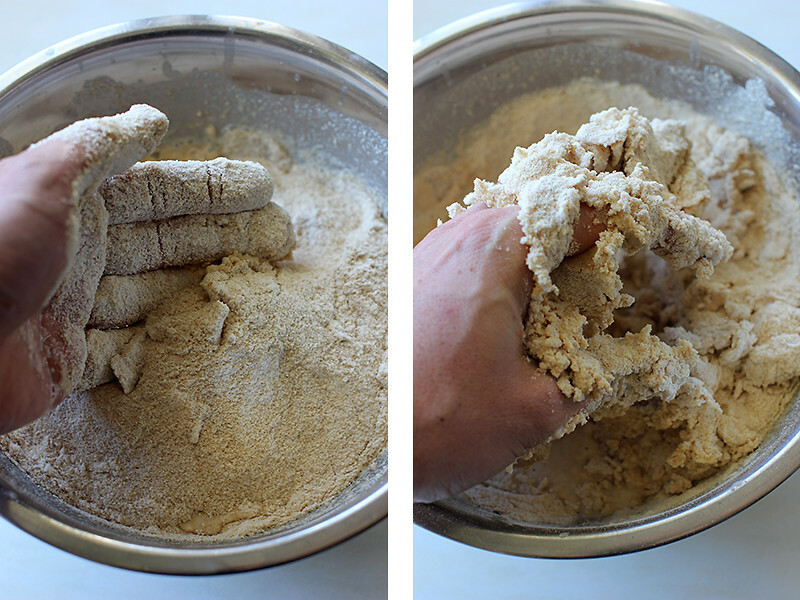 Return the dough to a bowl and add salt and remaining 100 grams of water and squeeze through bread to incorporate (dough will separate then come back together smoothly) then knead a further 10 mins. 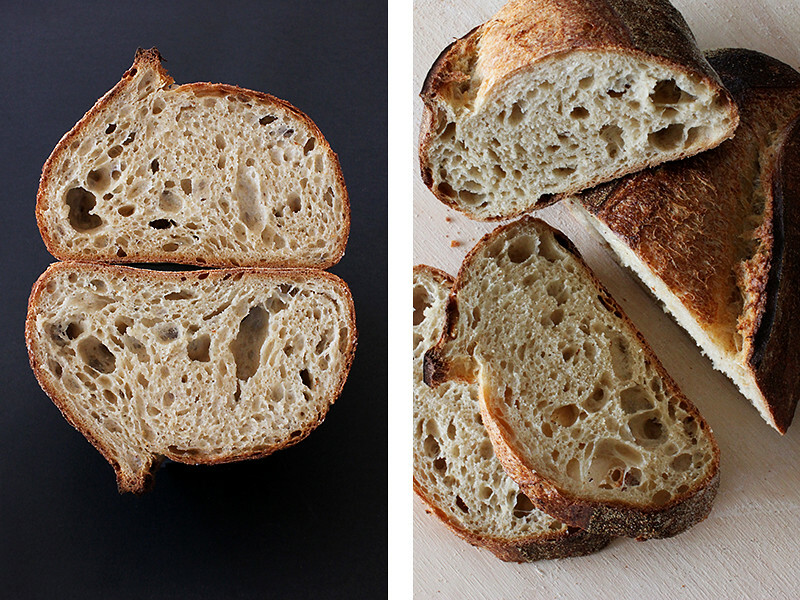 Bulk ferment for one hour at room temperature. 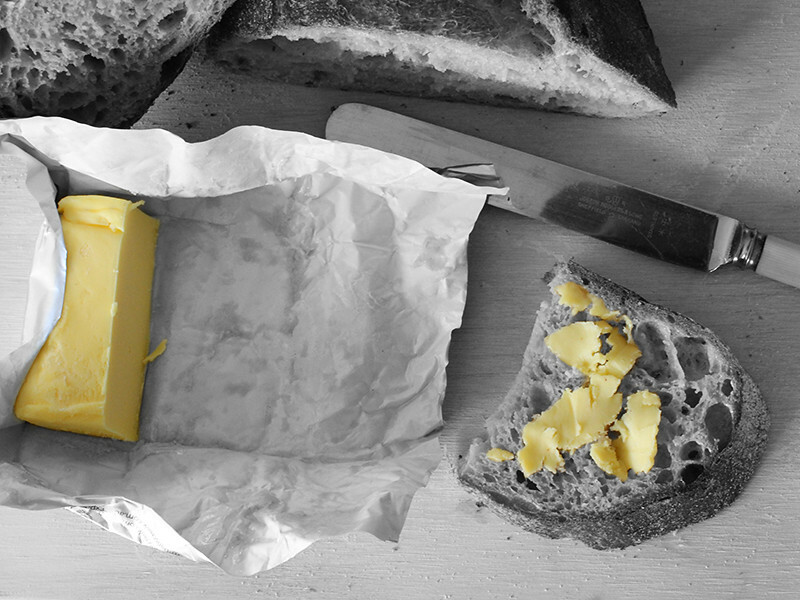 Stretch-and-fold after one hour and place in a fridge at 4°C for 12 hours. Remove from fridge. Divide. Preshape. Bench rest 30 mins. Shape. 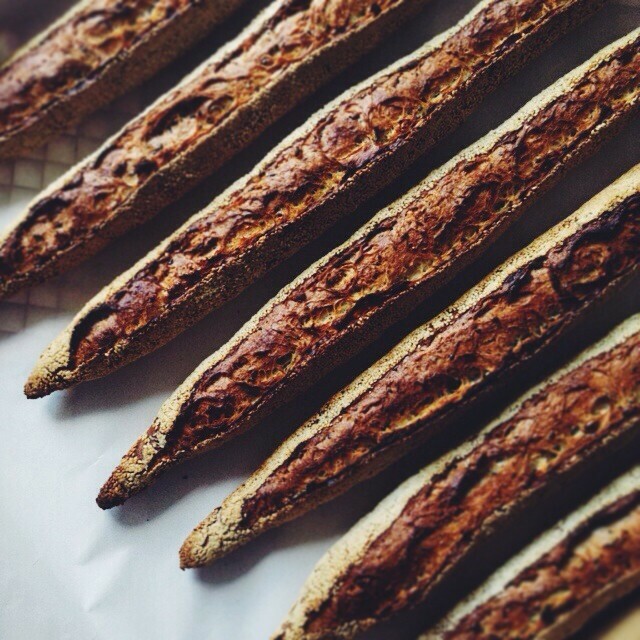 Bake in a preheated oven at 250°C for 10 mins with steam then bake for a further 40 mins. 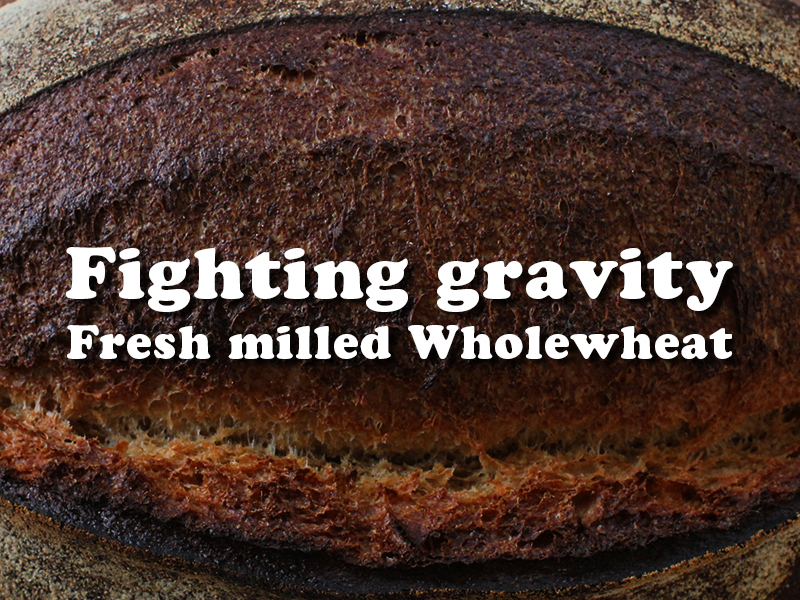 While shaping the bread the words of Dave Miller resounded in my head "You're always fighting gravity with wholegrains" ... I shaped them tight ... If I was going to struggle to get loft then I wanted bloom! Due to creative differences I am moving on from Chester St Kitchen to pursue a new venture ... I wish all the team at Chester St the very best for the future.